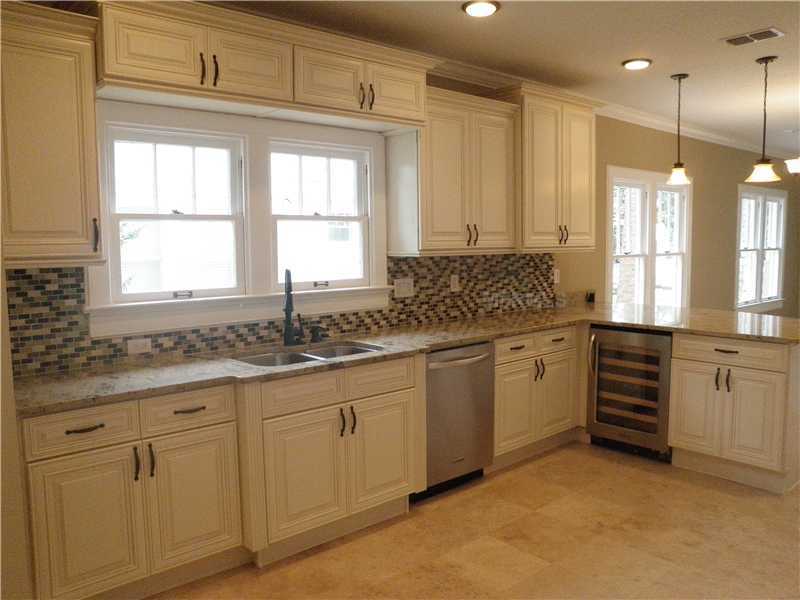 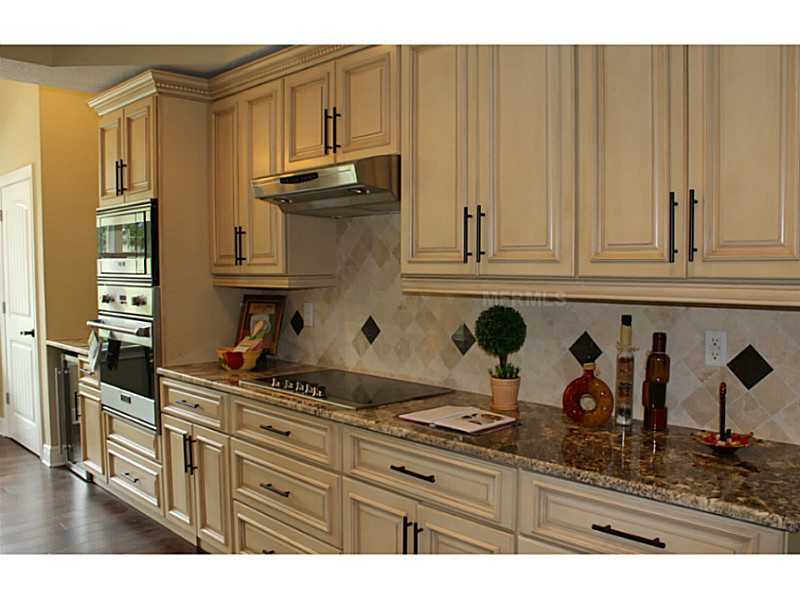 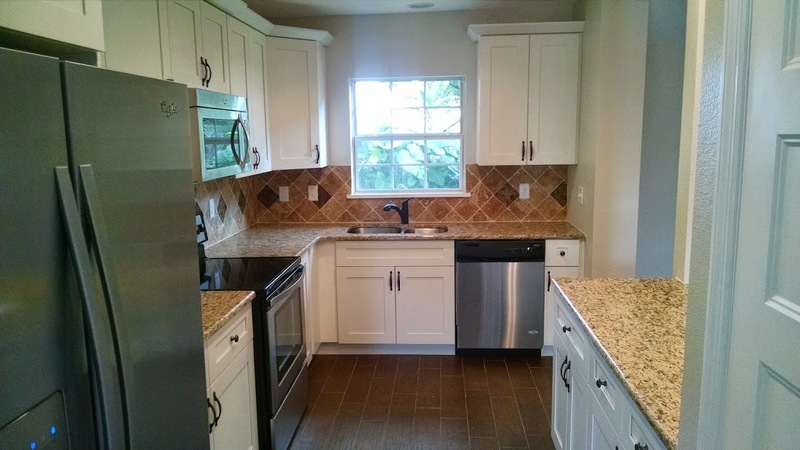 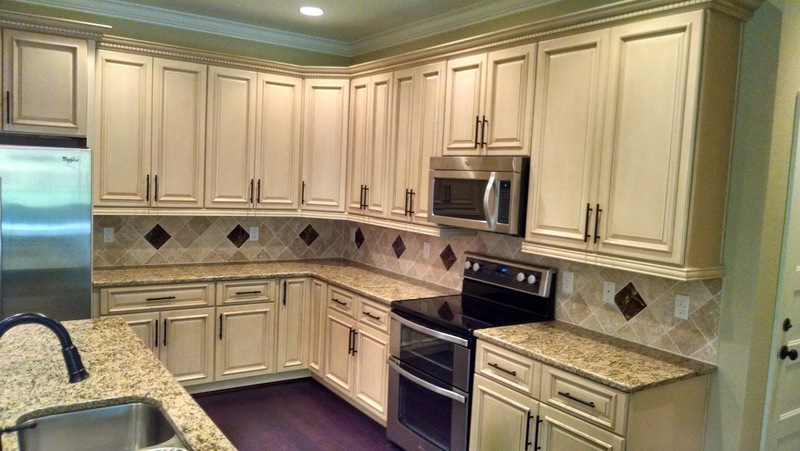 This home features a gorgeous new kitchen with wood soft shut cabinets, granite, new appliances and large pantry. 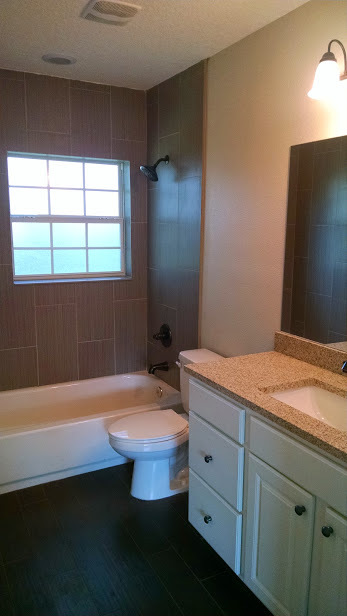 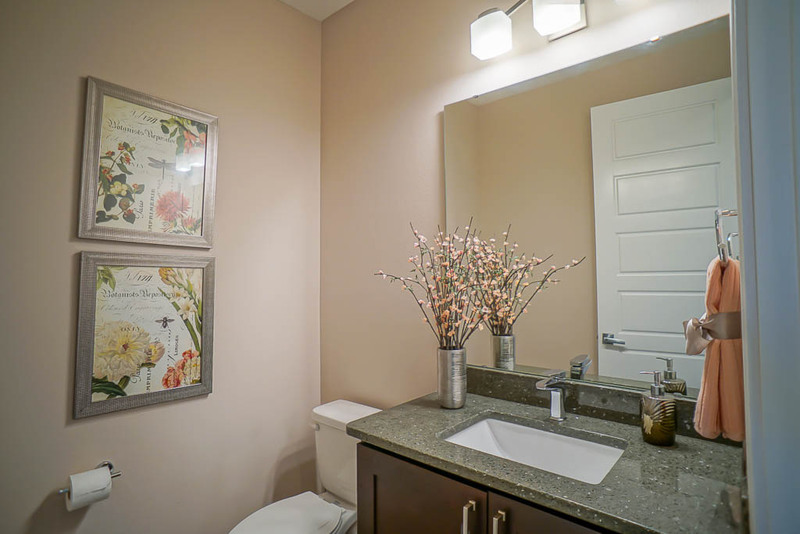 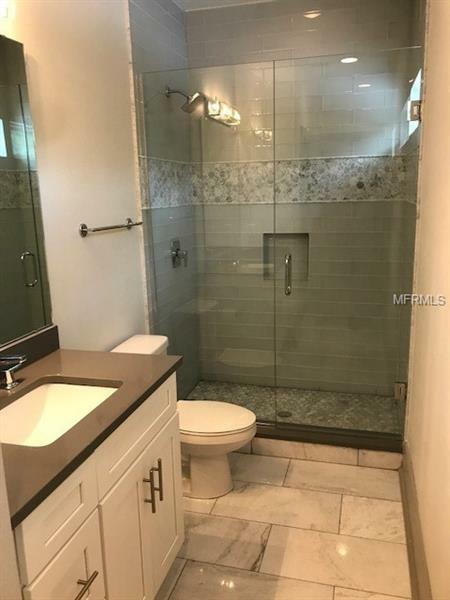 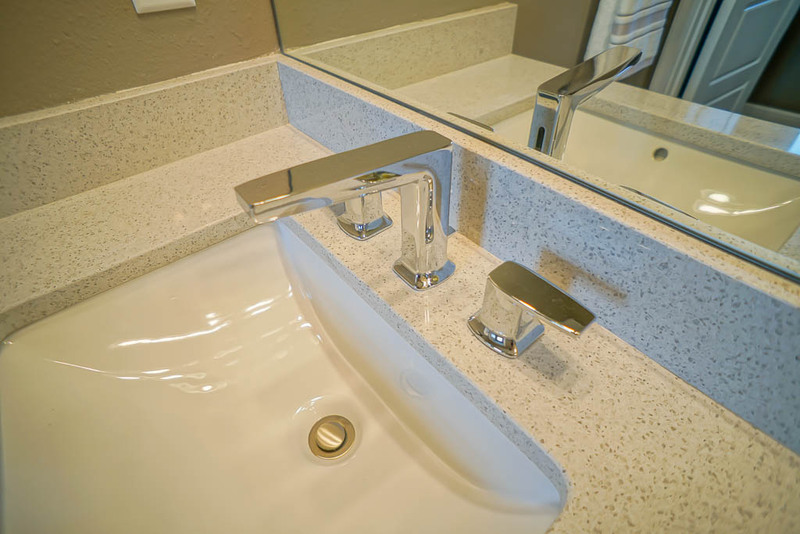 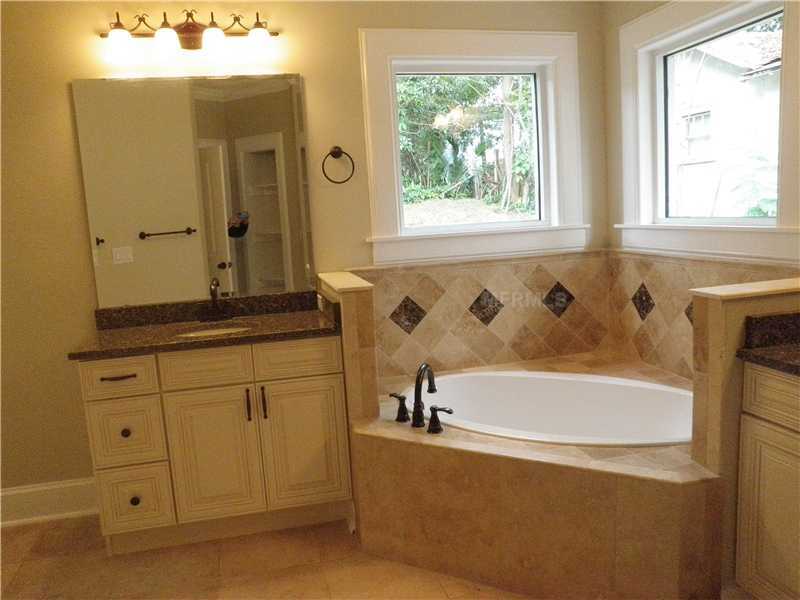 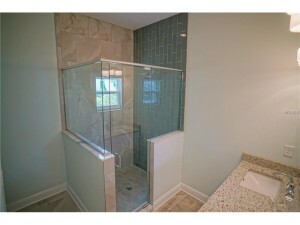 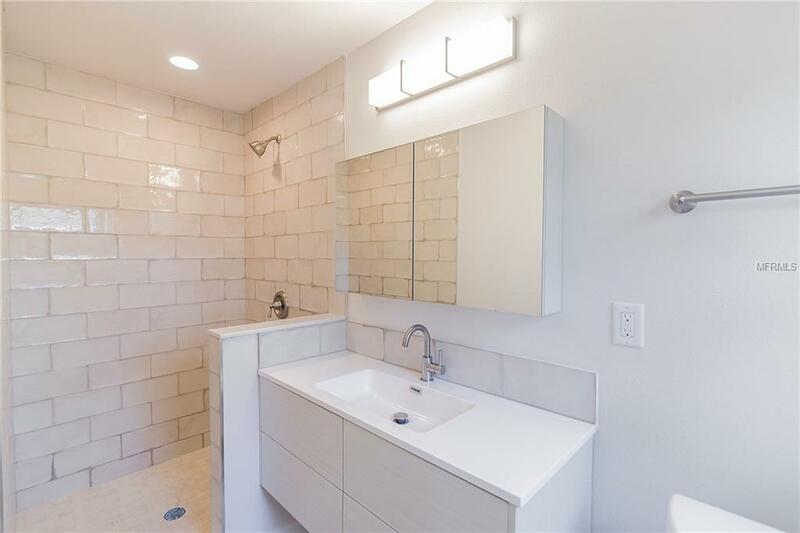 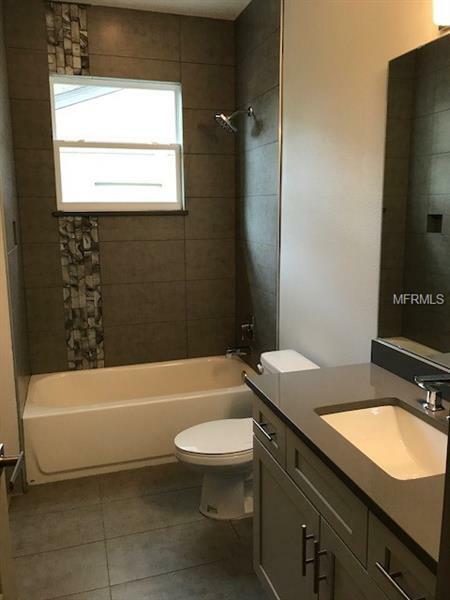 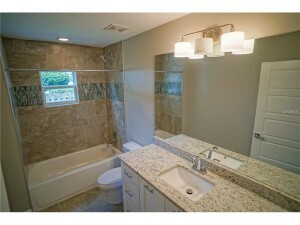 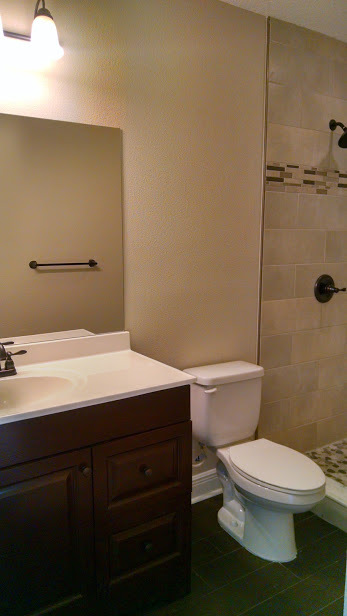 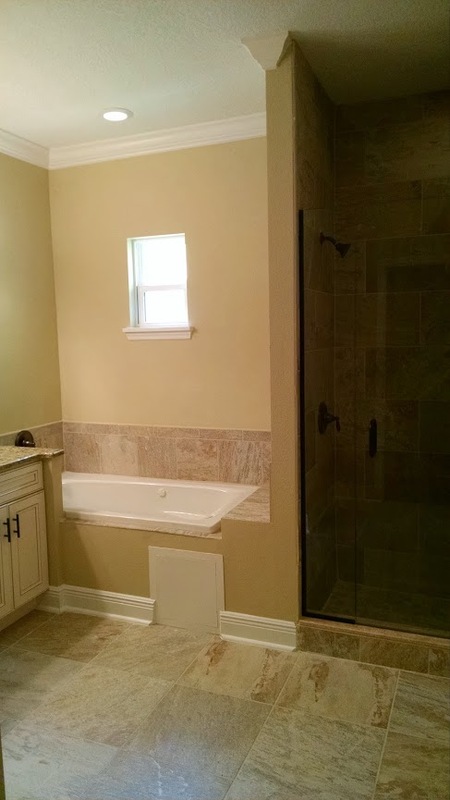 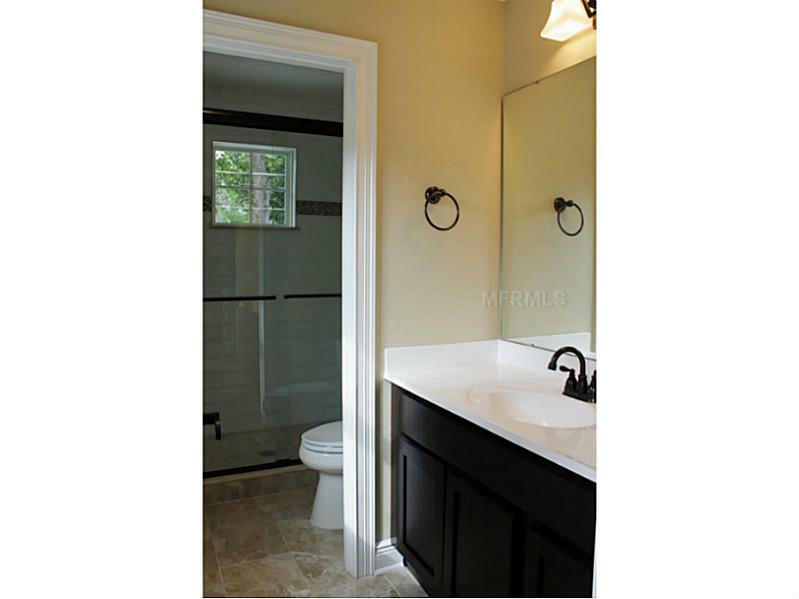 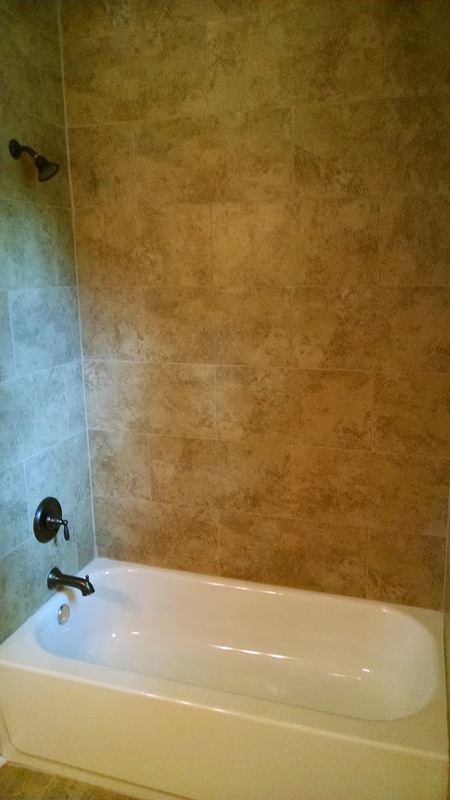 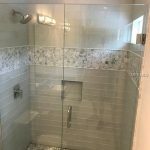 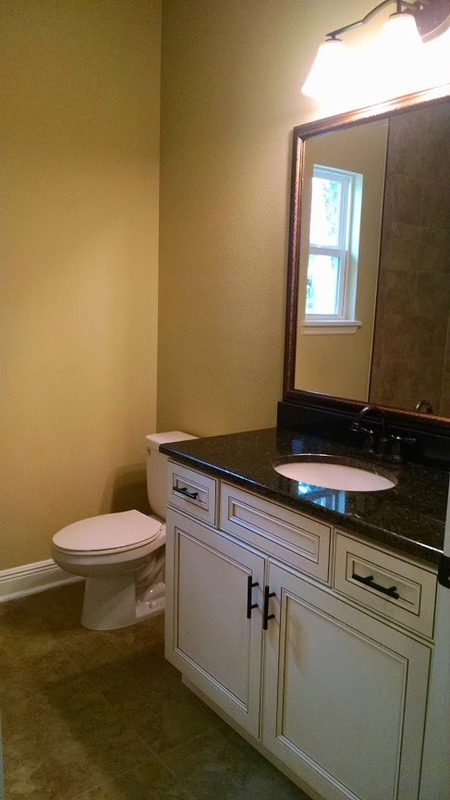 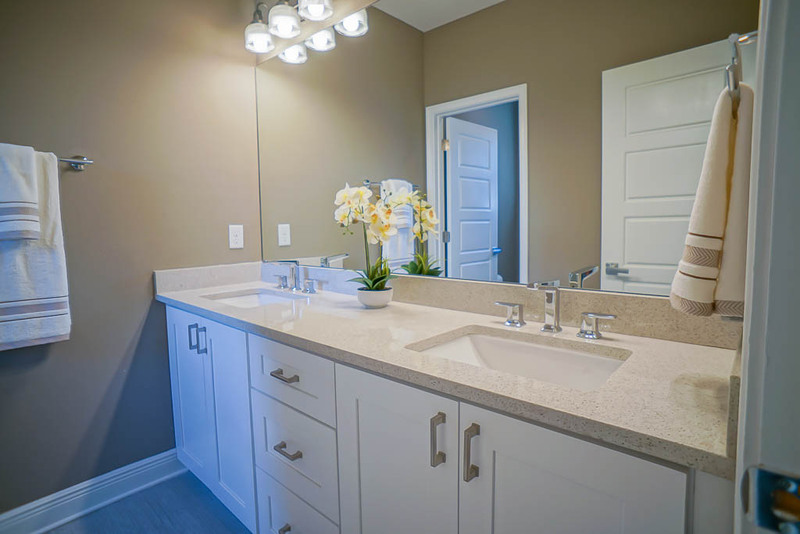 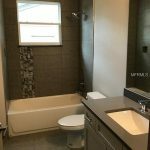 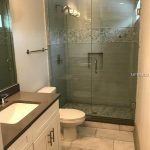 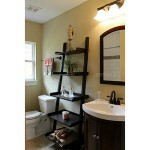 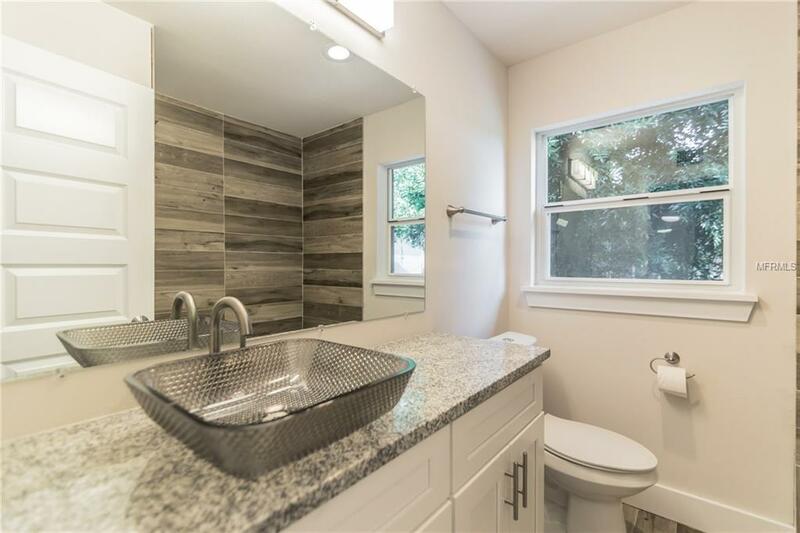 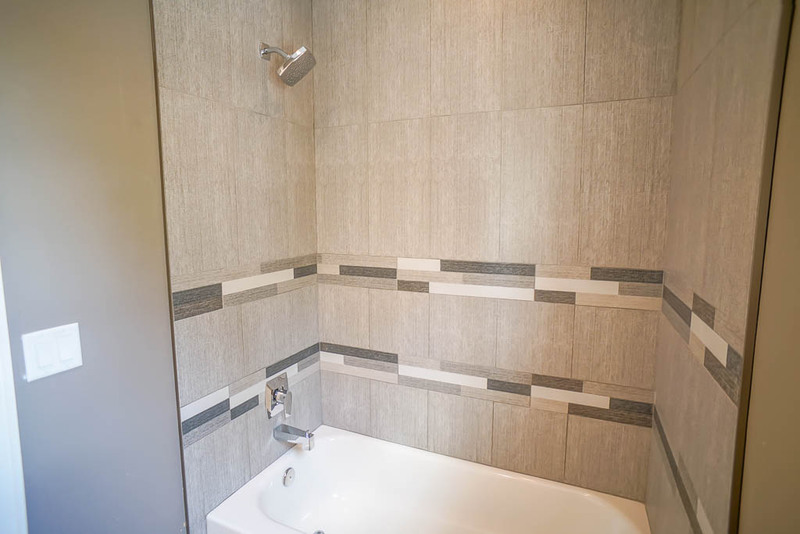 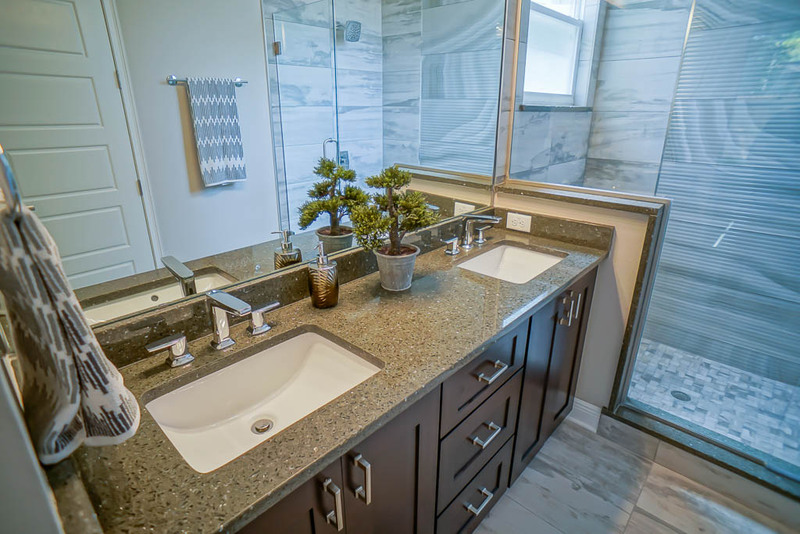 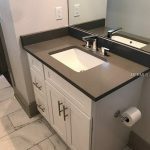 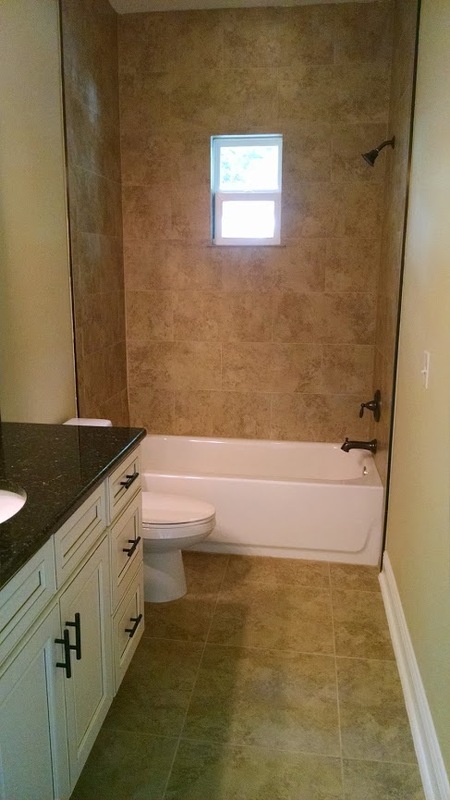 The updated bathrooms include new tub, tile, vanities and fixtures. 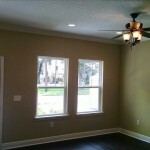 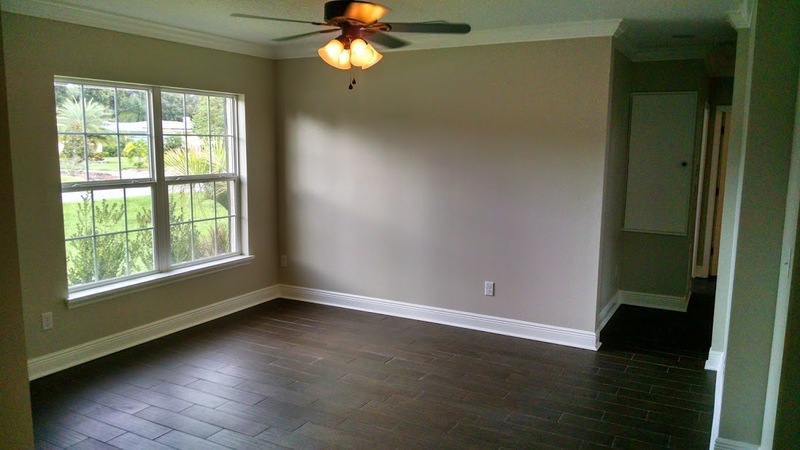 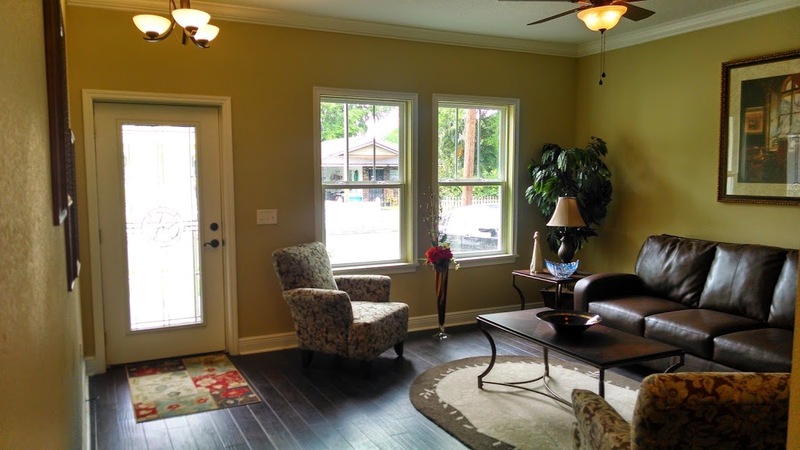 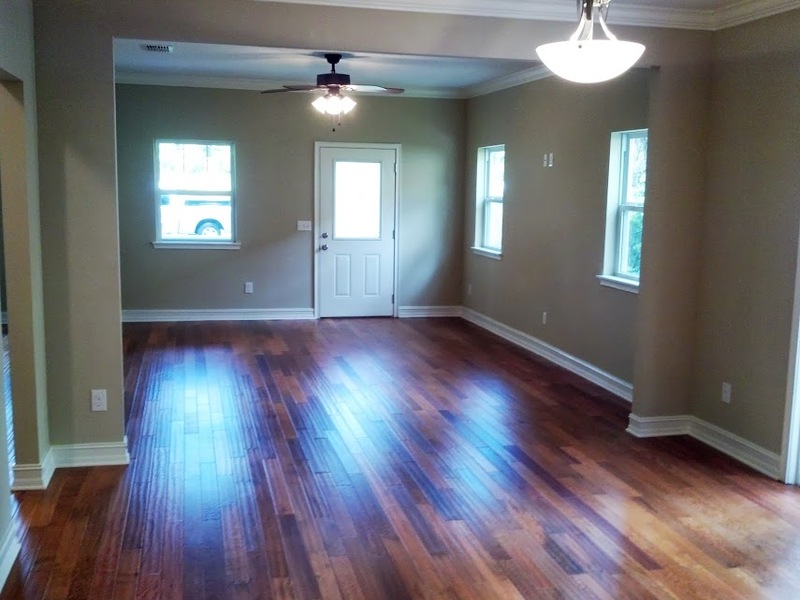 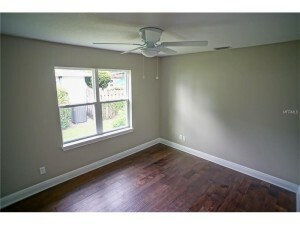 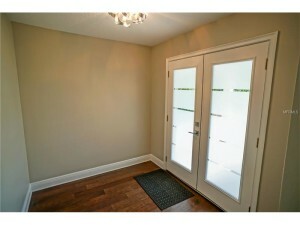 Other renovations include new flooring, paint, ceiling fans, trim and doors throughout the home. 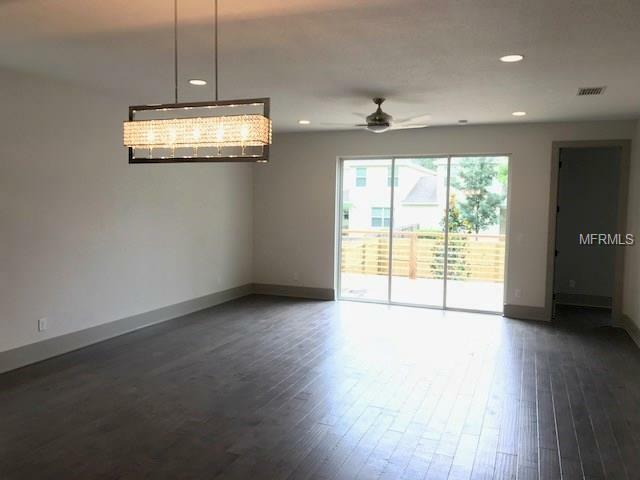 All the lighting has been updated with Mid Century Modern fixtures. 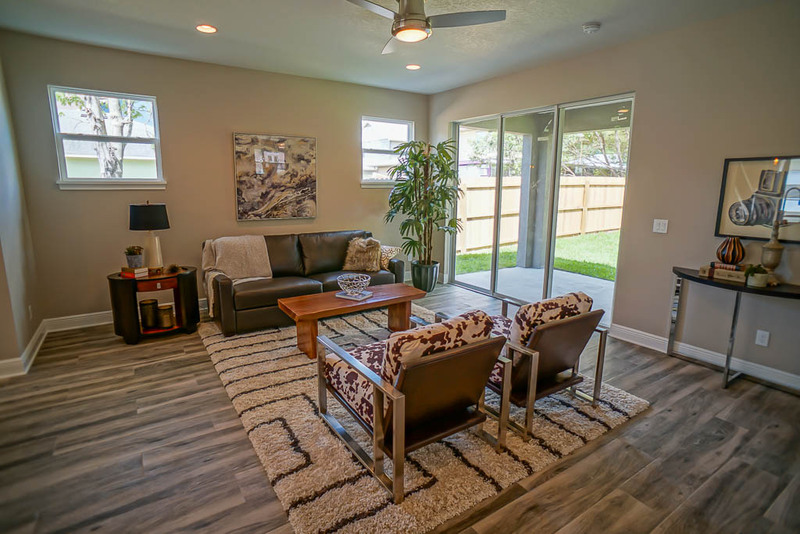 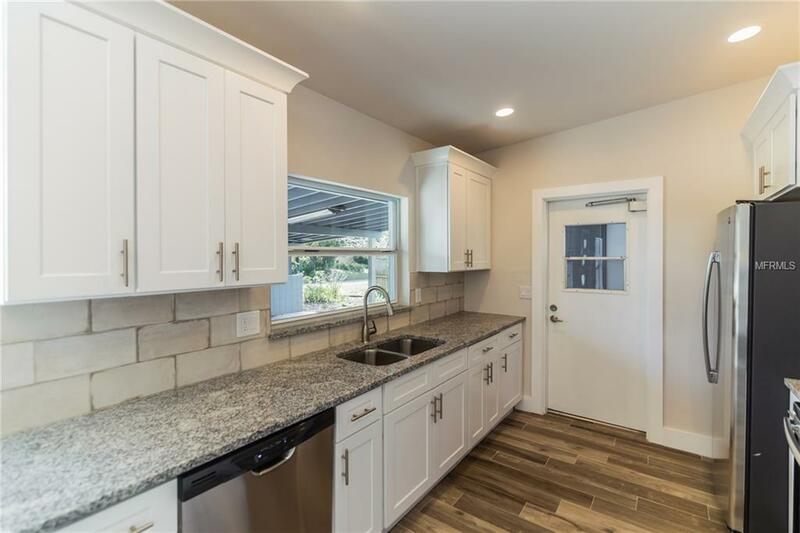 Additional features include master suite with 2 closets, split floor plan , big inside laundry room, storage room on carport, a large driveway with a two-car carport, and a large fenced backyard. 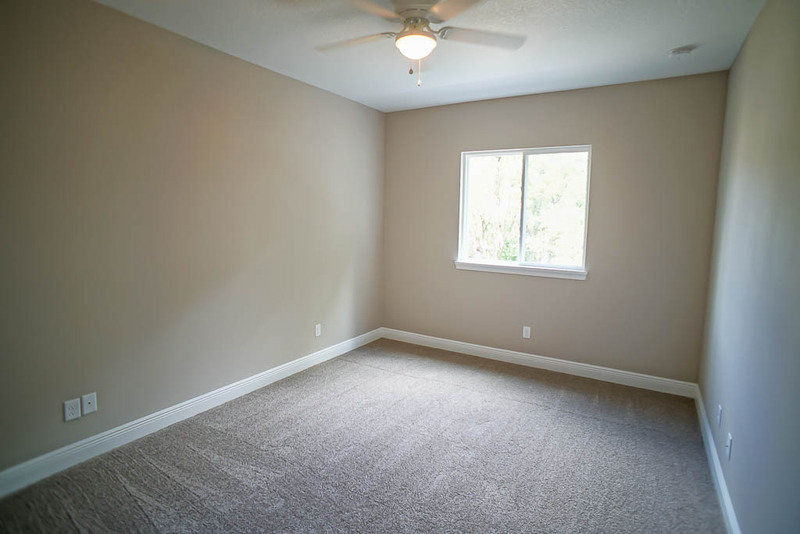 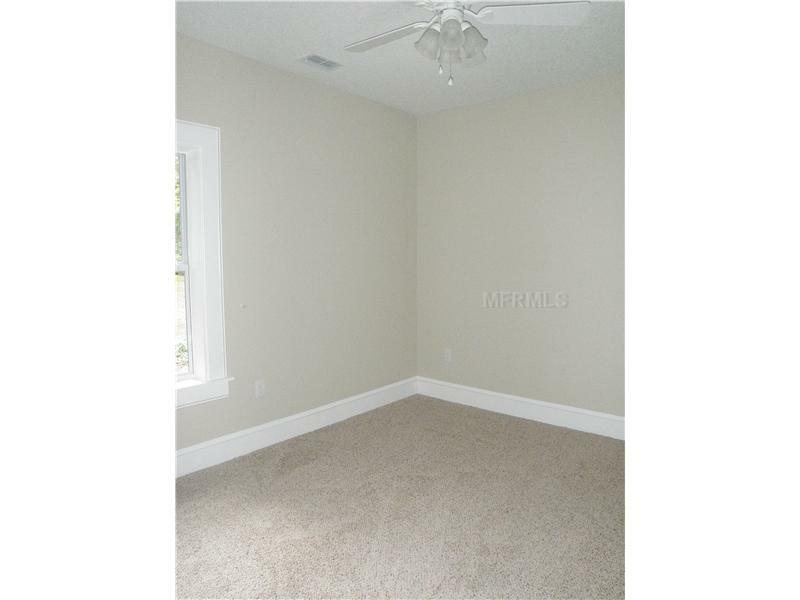 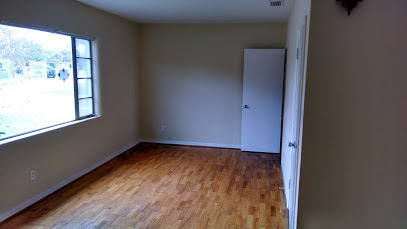 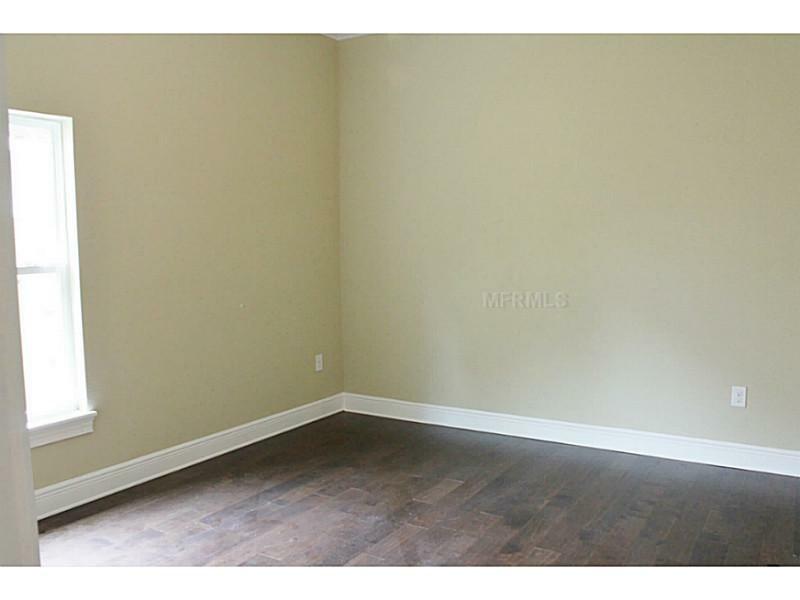 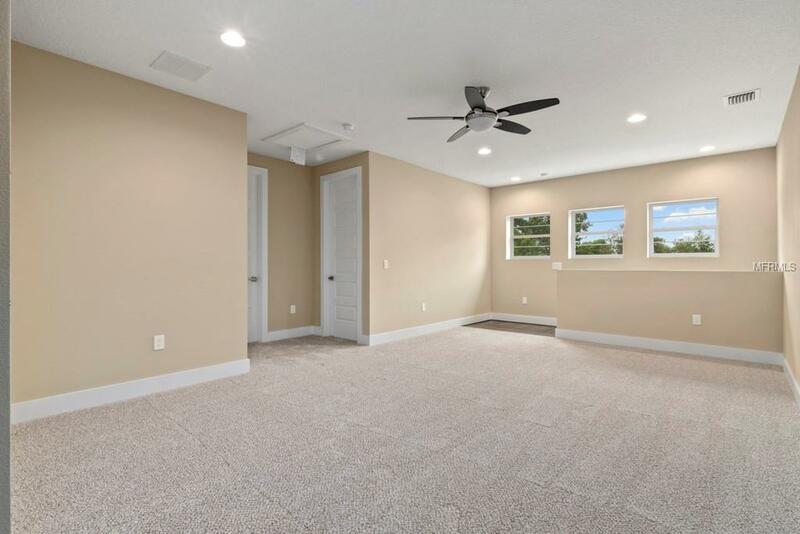 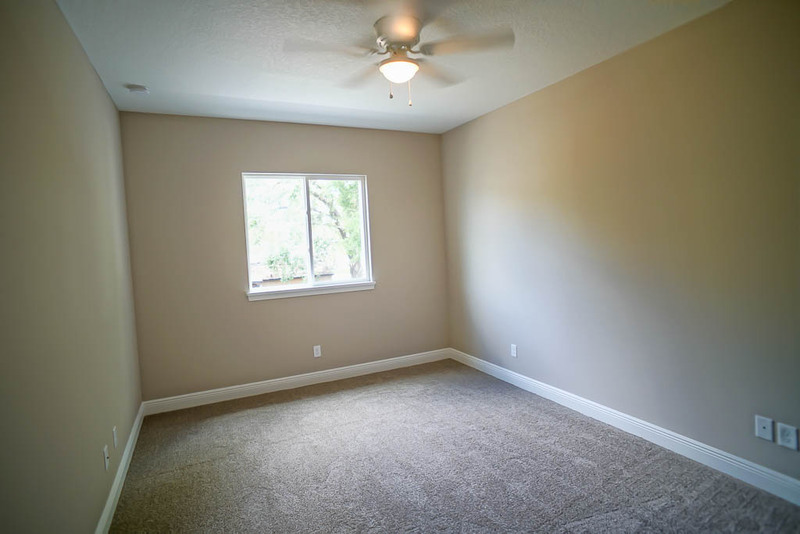 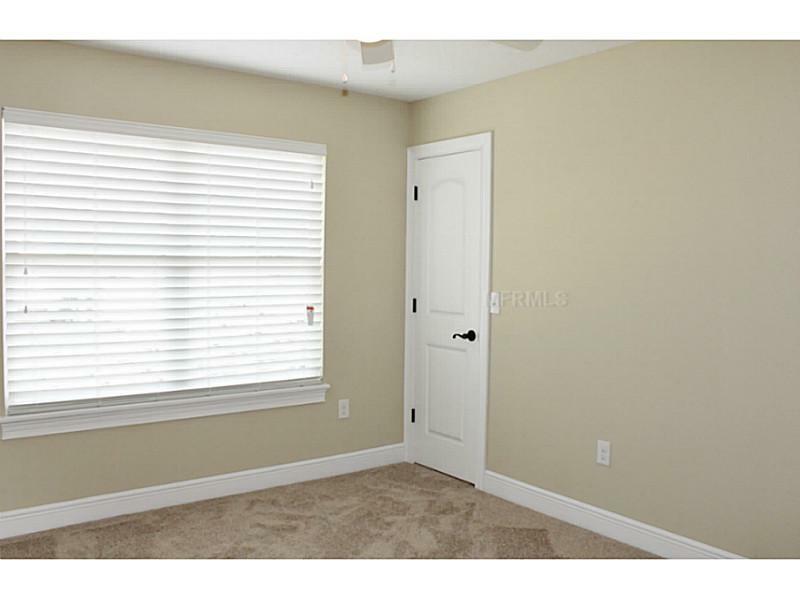 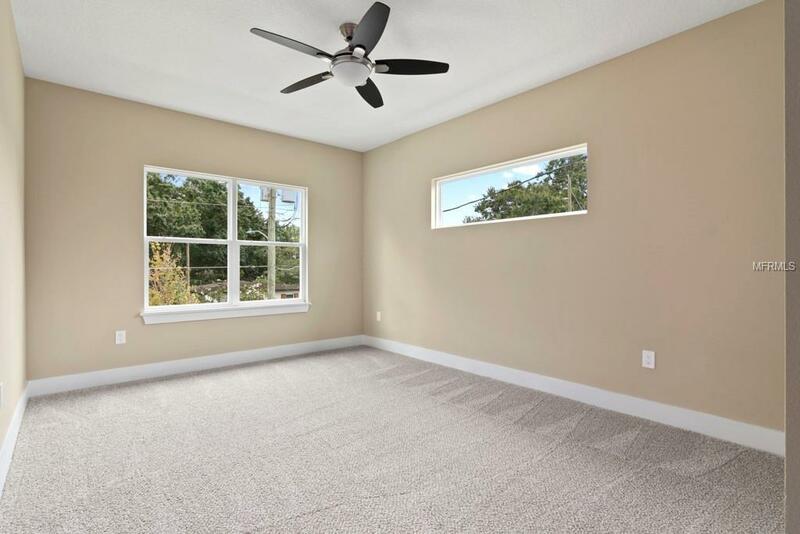 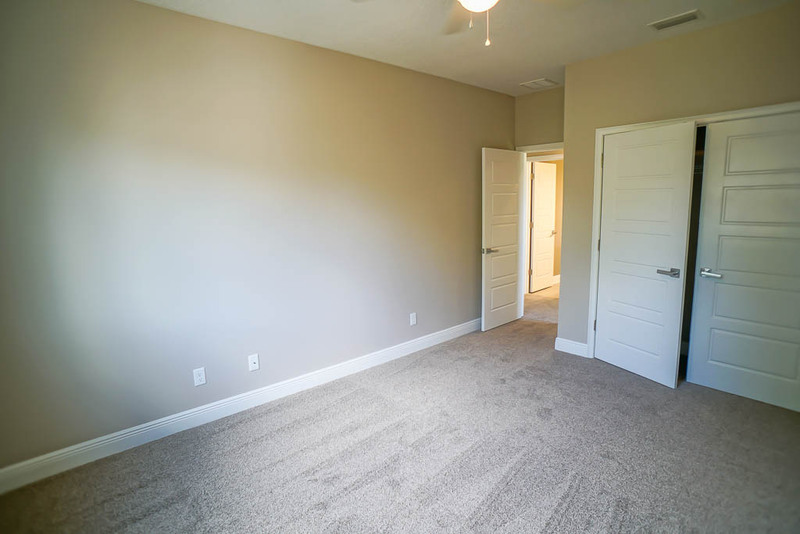 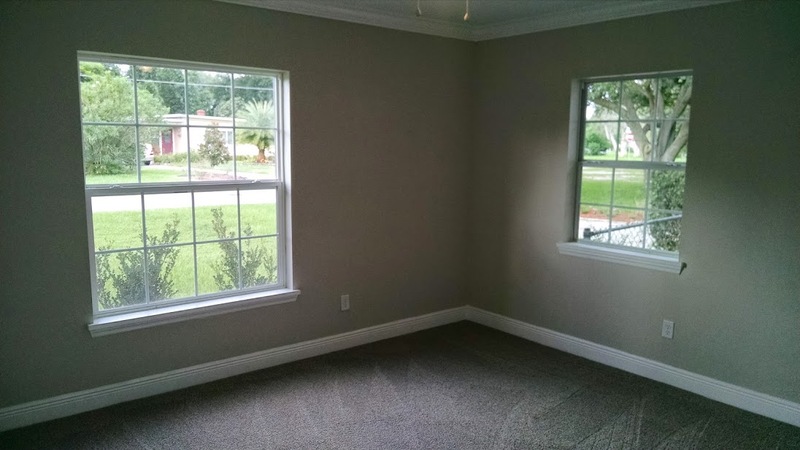 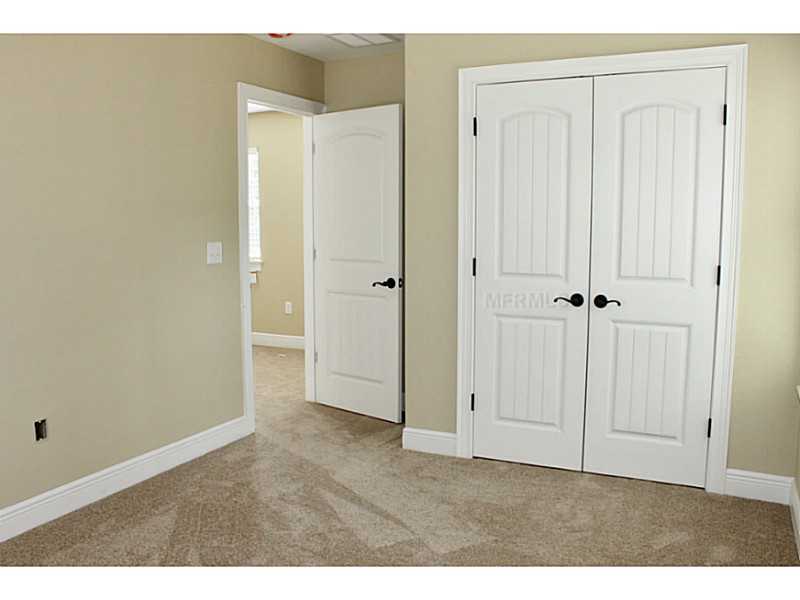 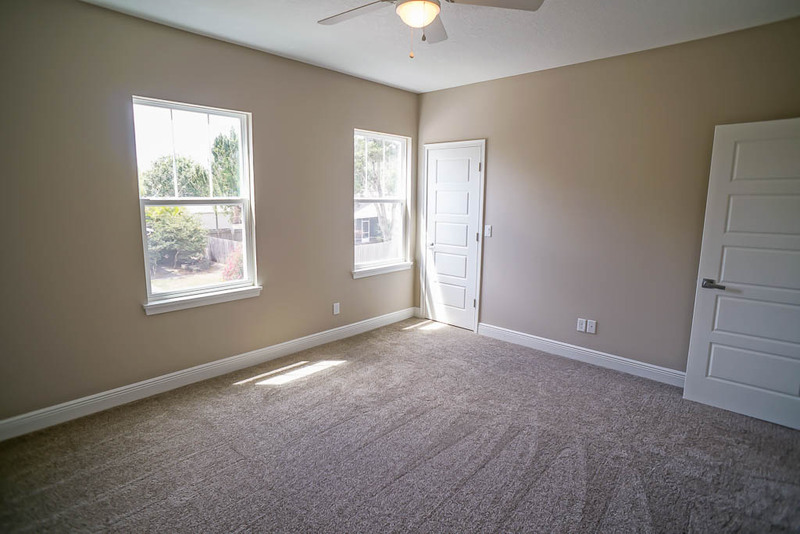 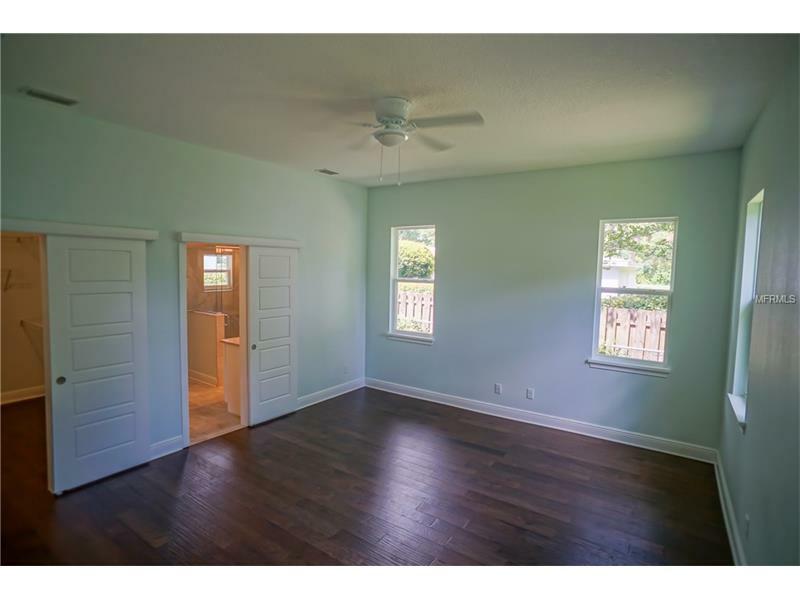 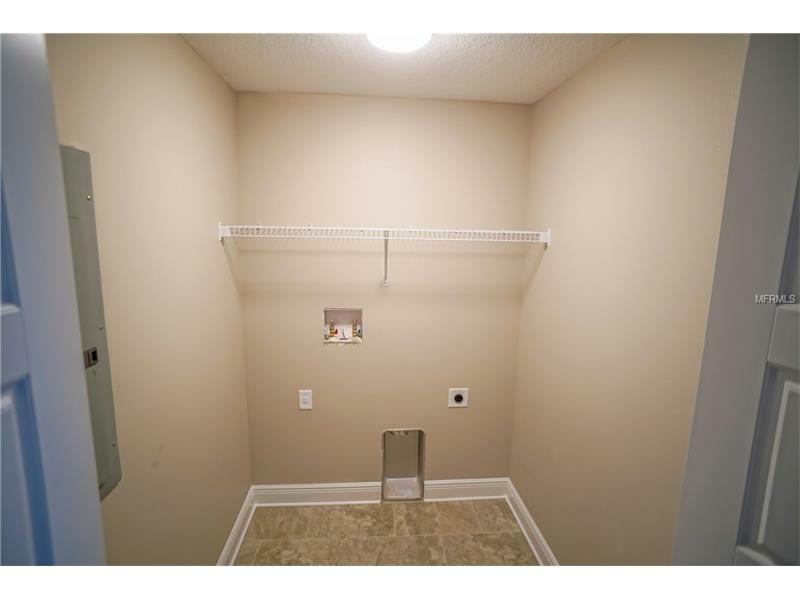 The 4th bedroom/bonus room has a walk-in closet and exterior door leading to the backyard. 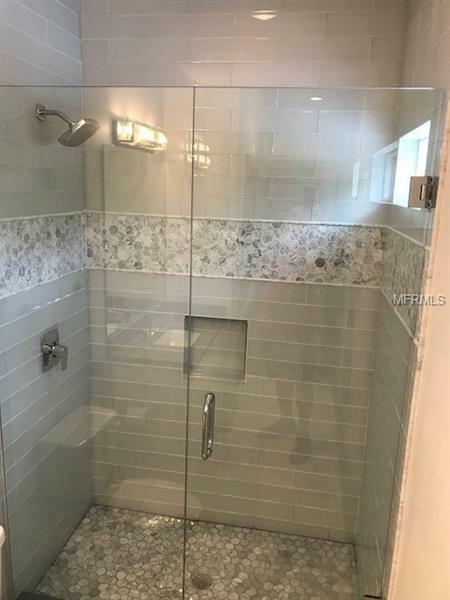 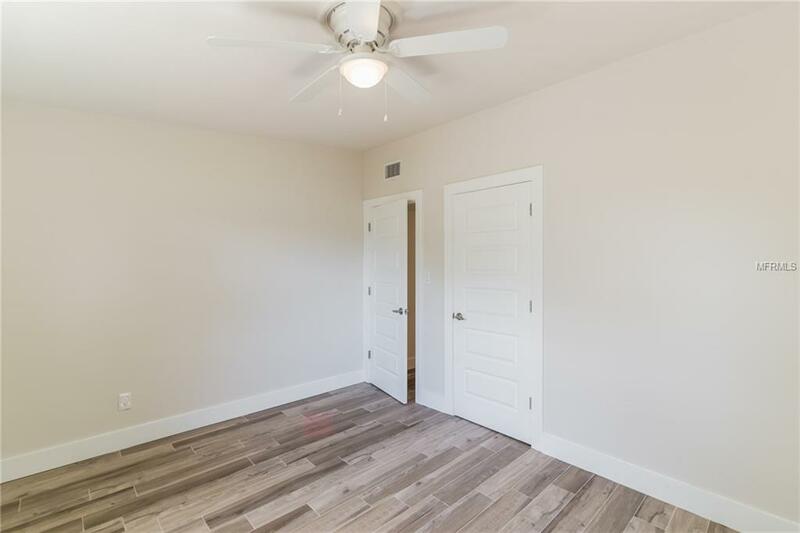 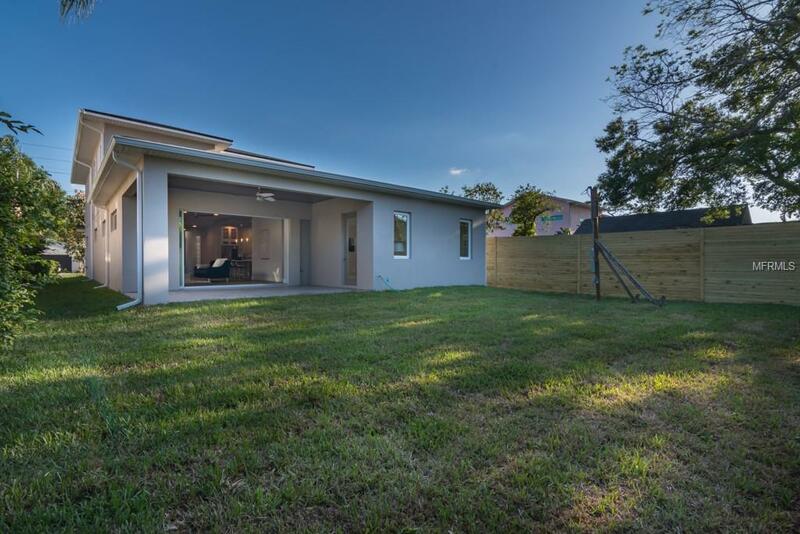 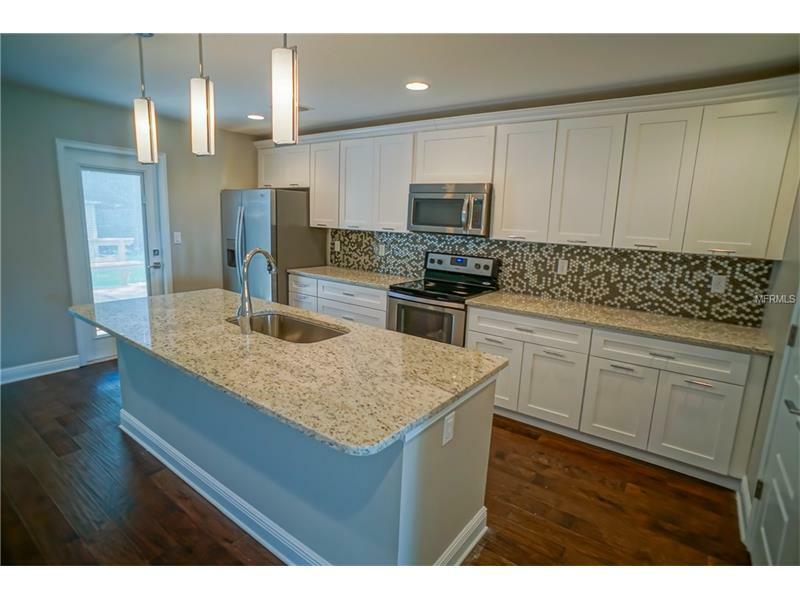 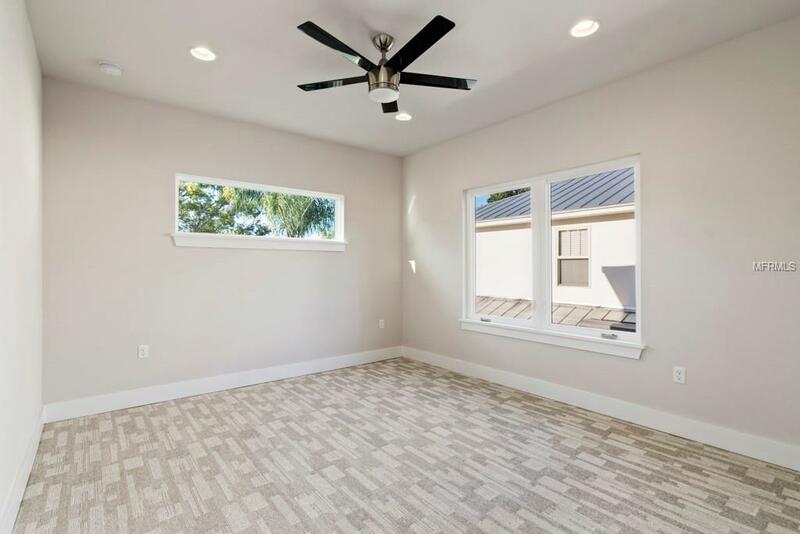 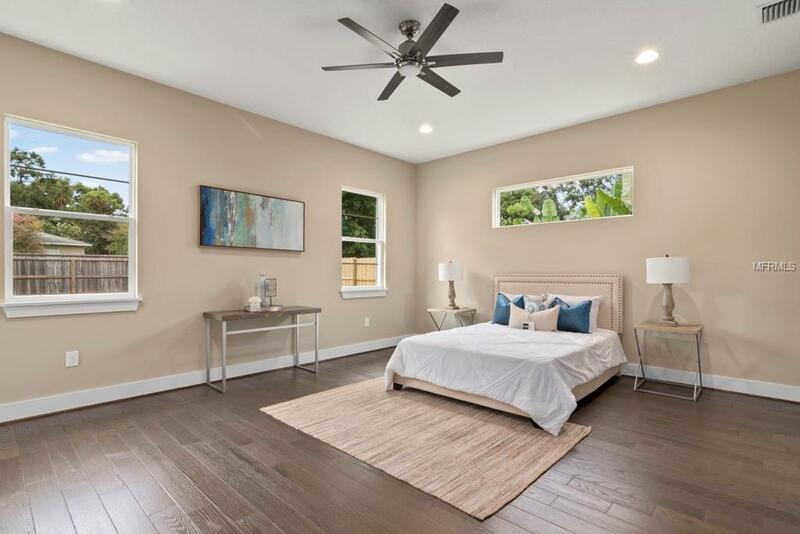 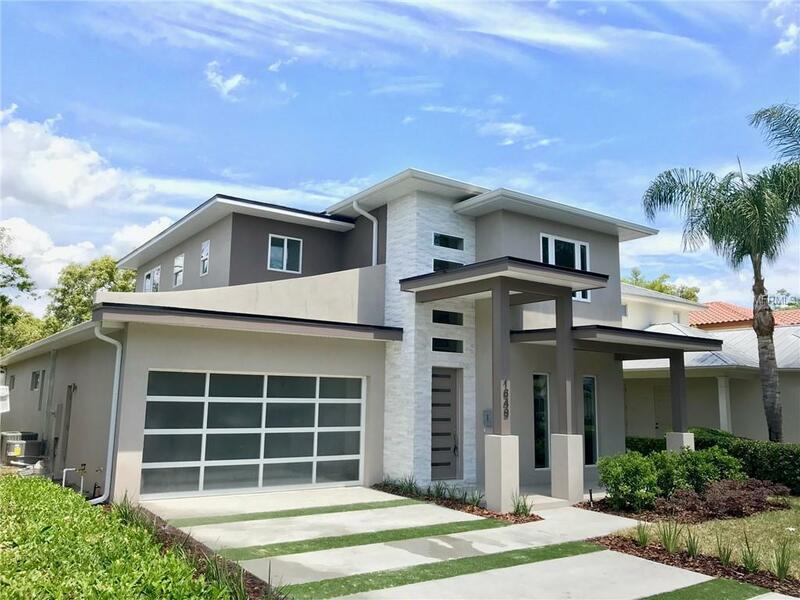 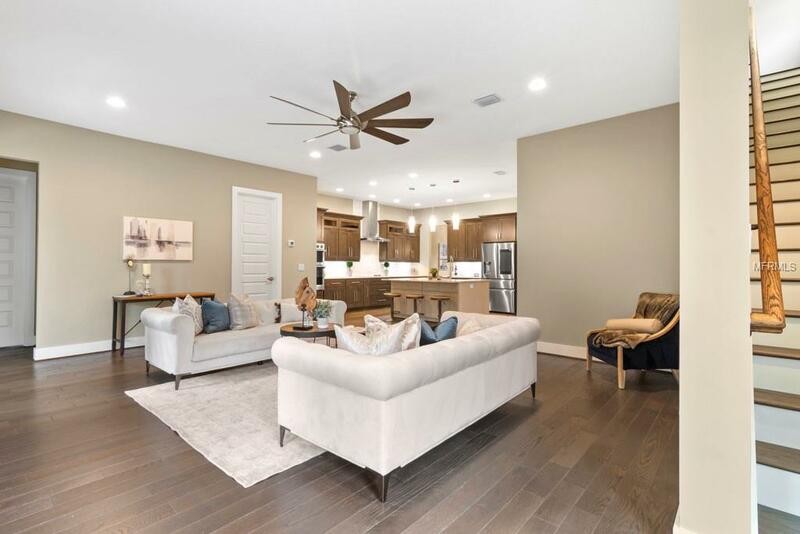 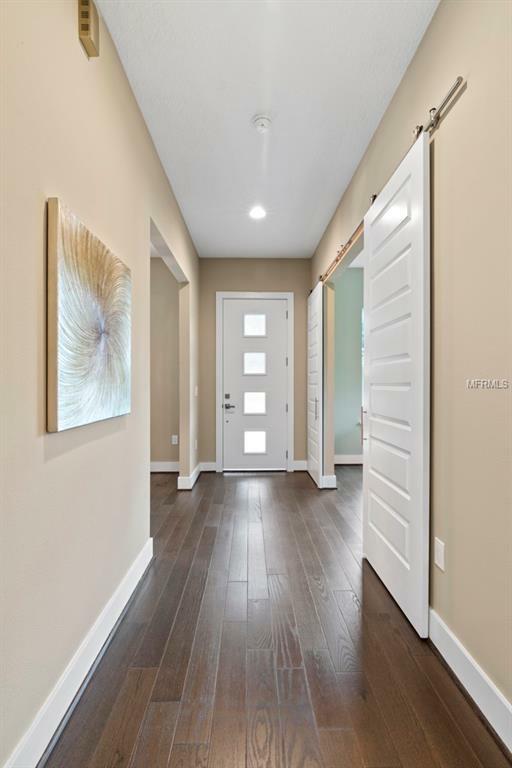 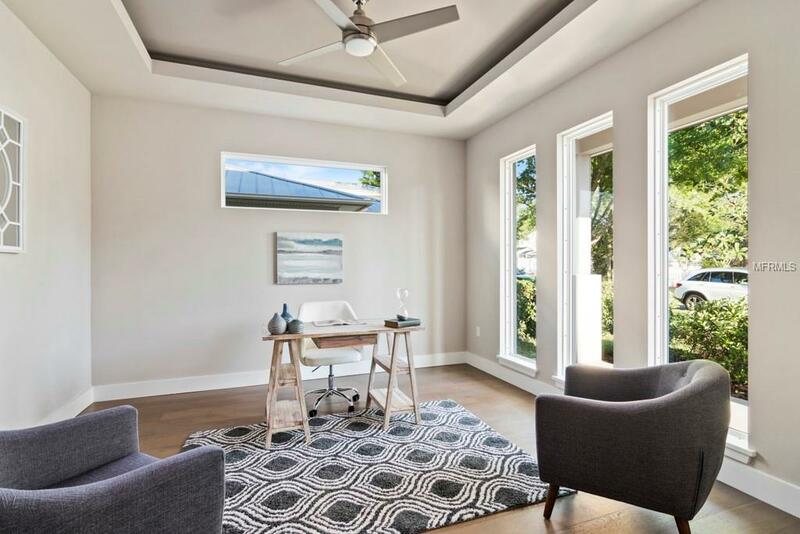 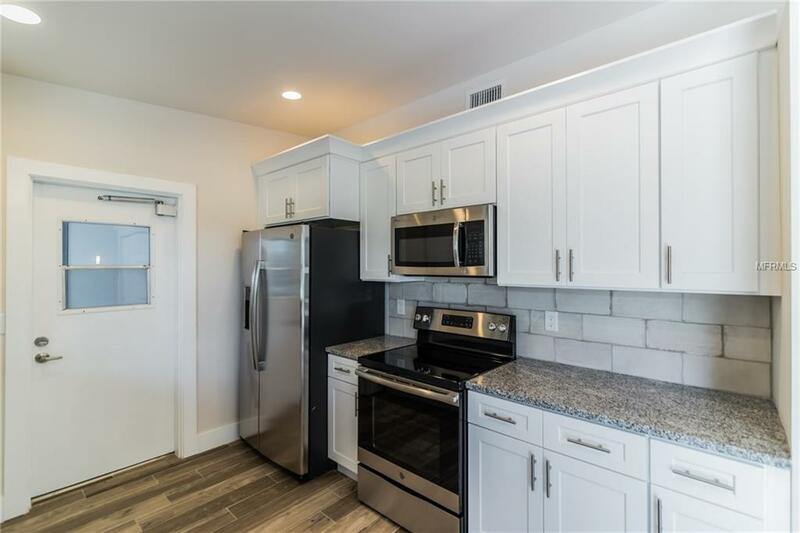 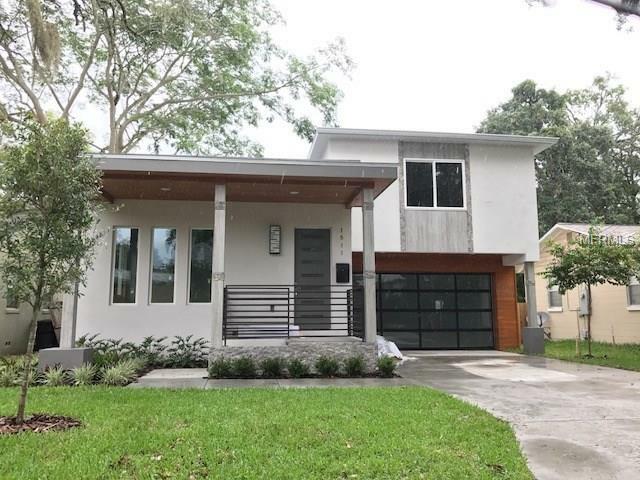 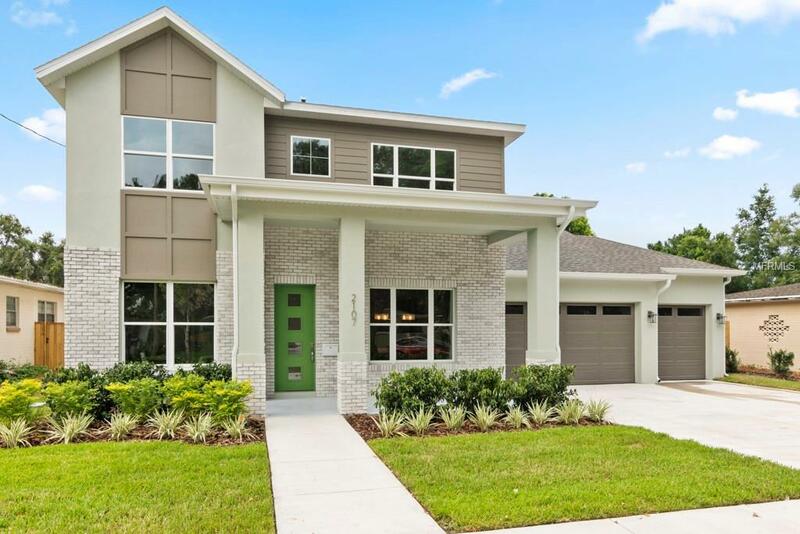 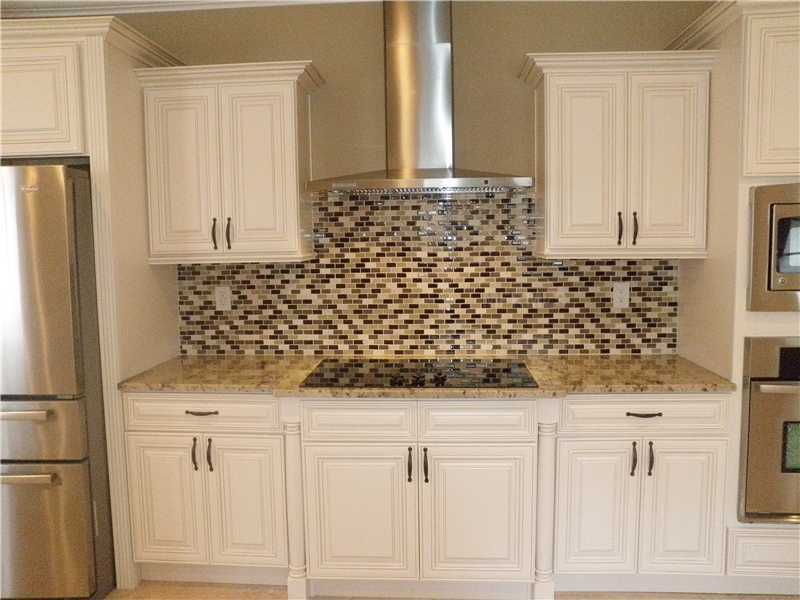 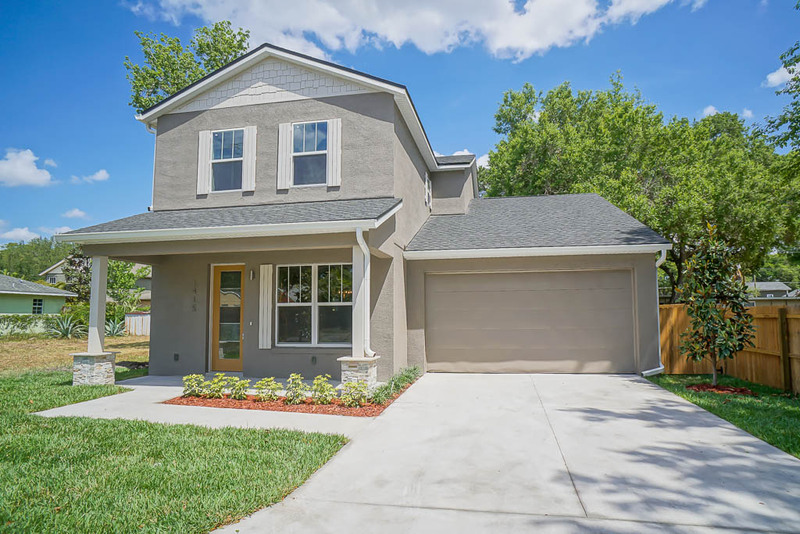 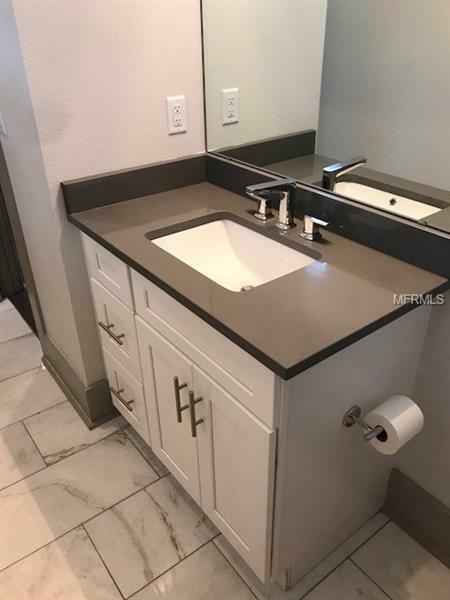 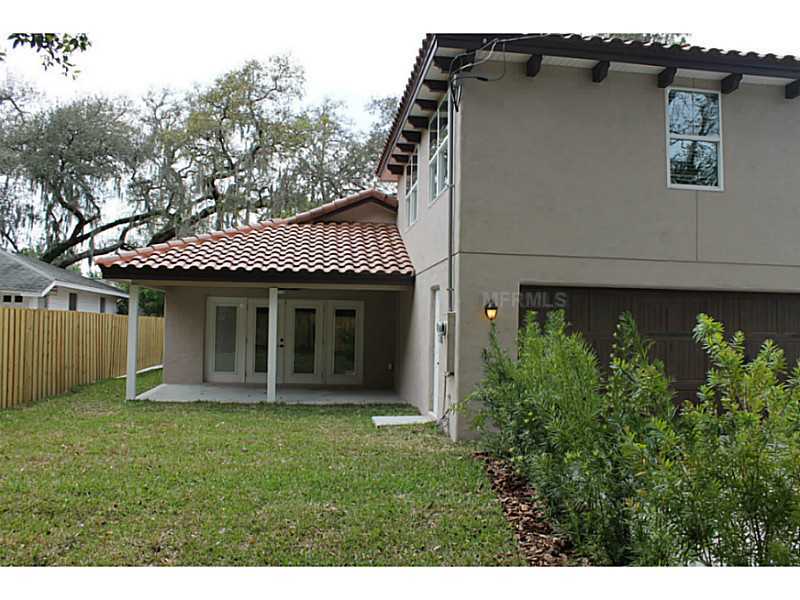 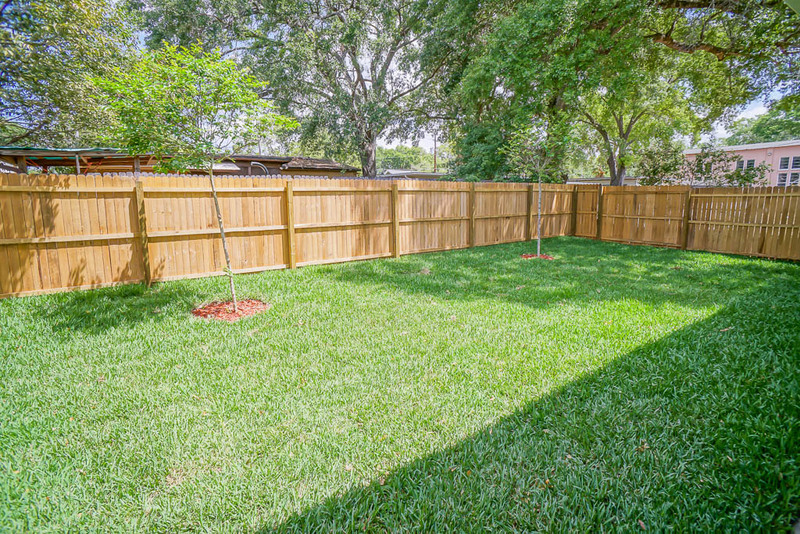 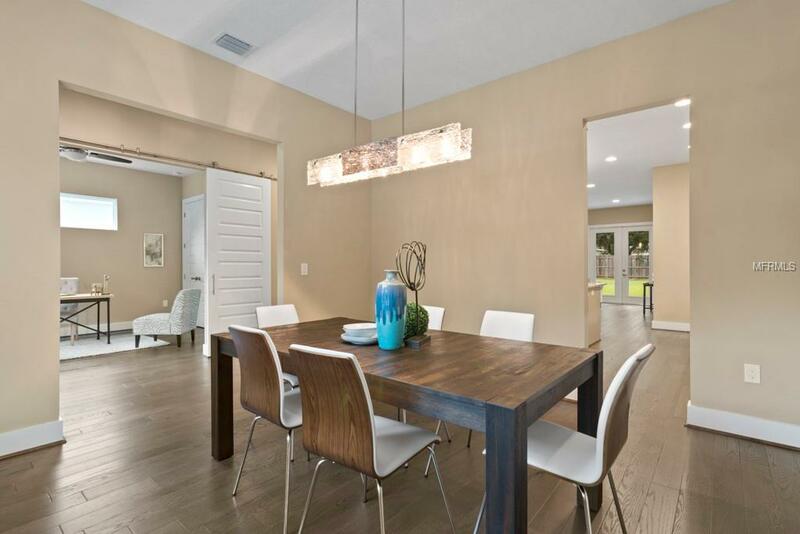 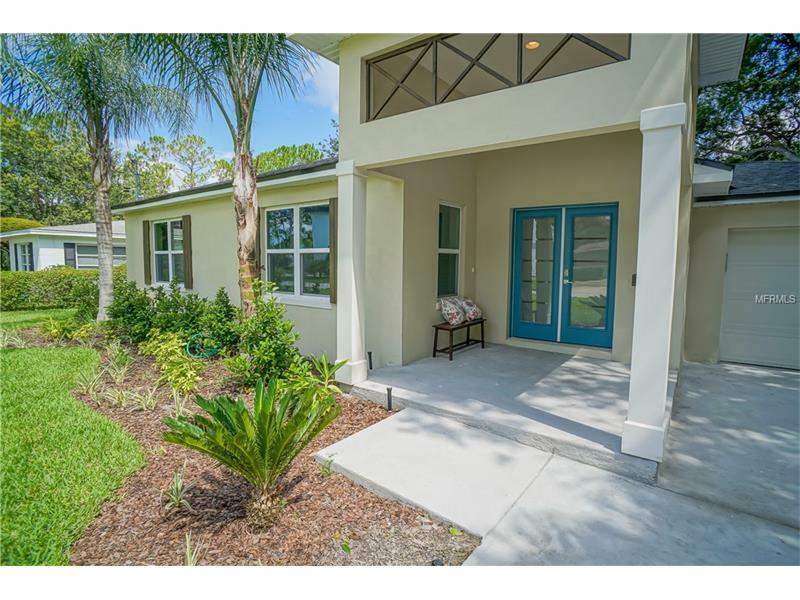 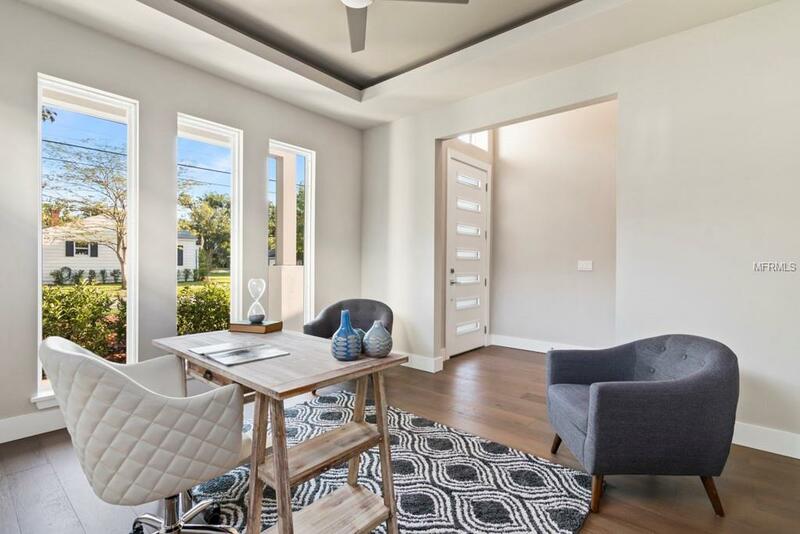 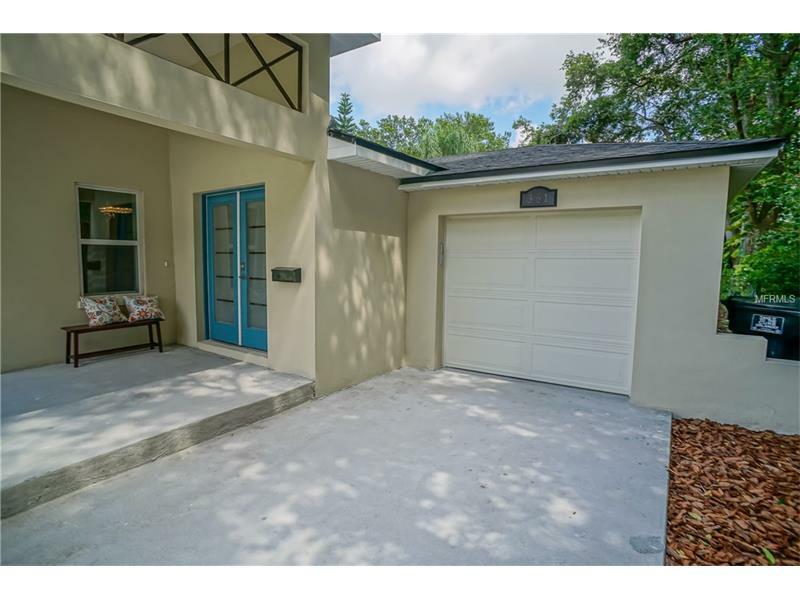 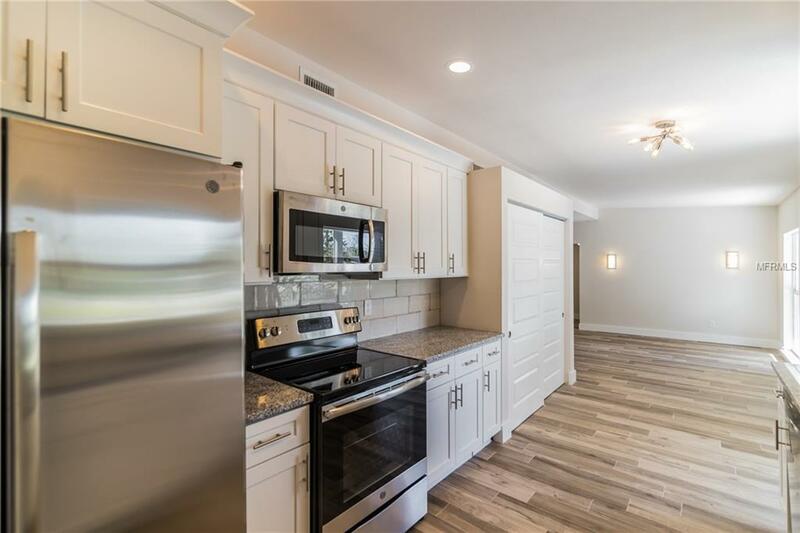 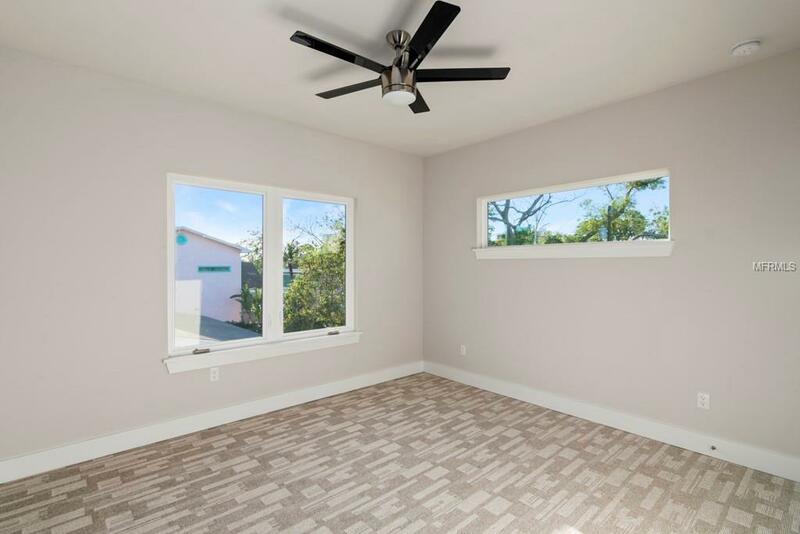 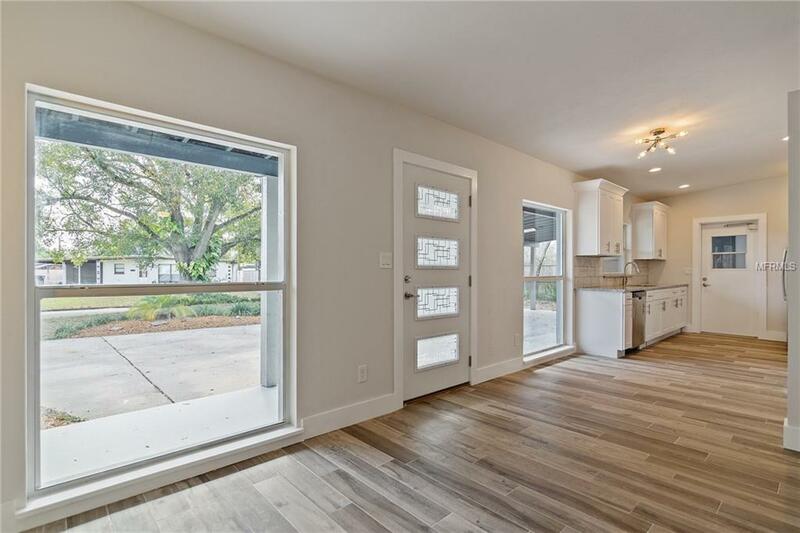 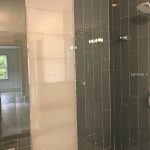 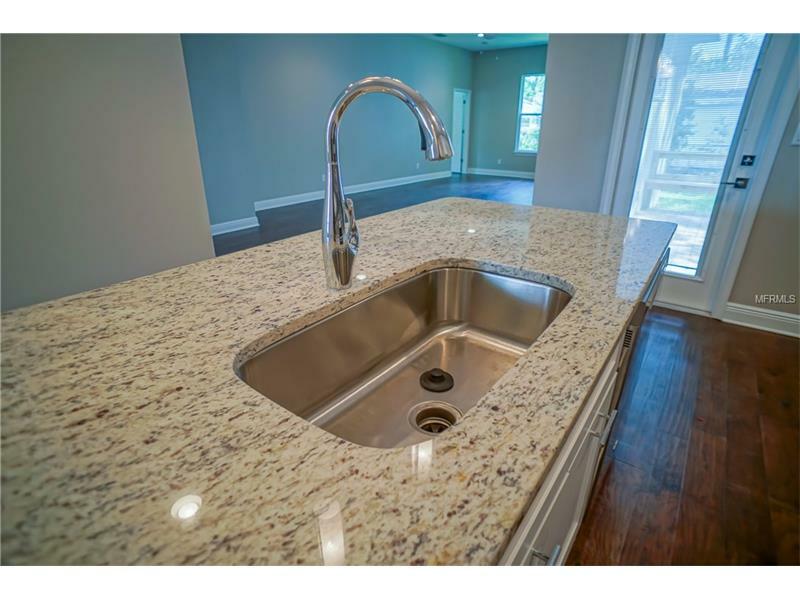 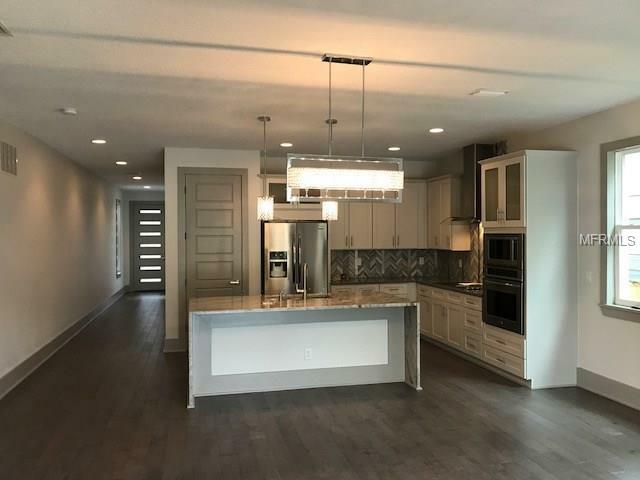 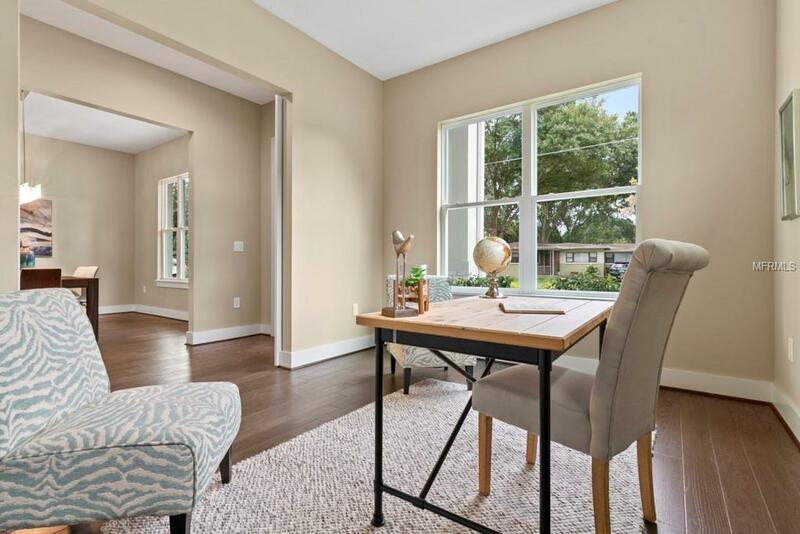 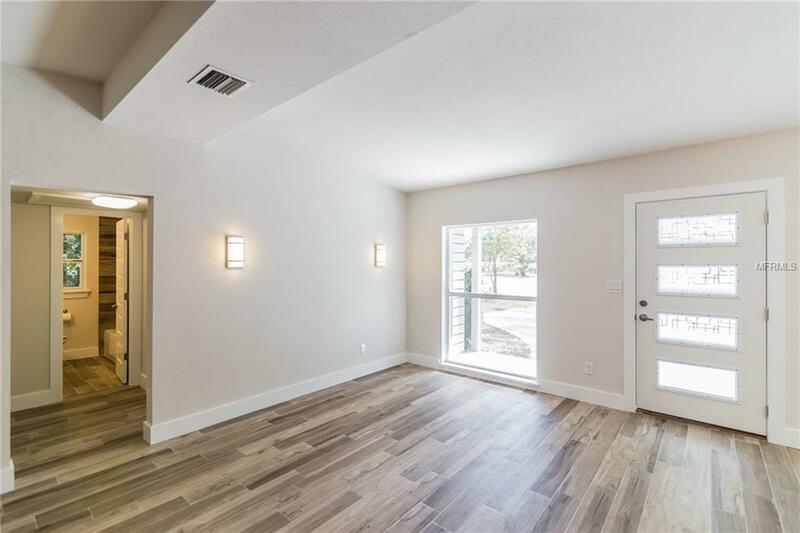 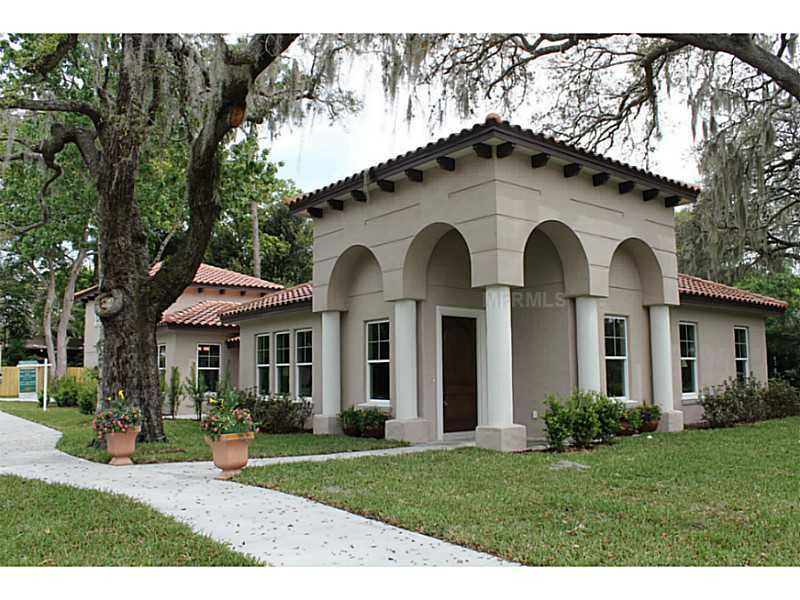 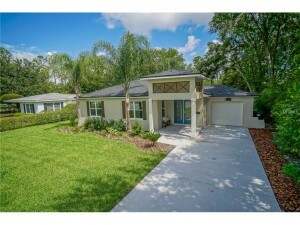 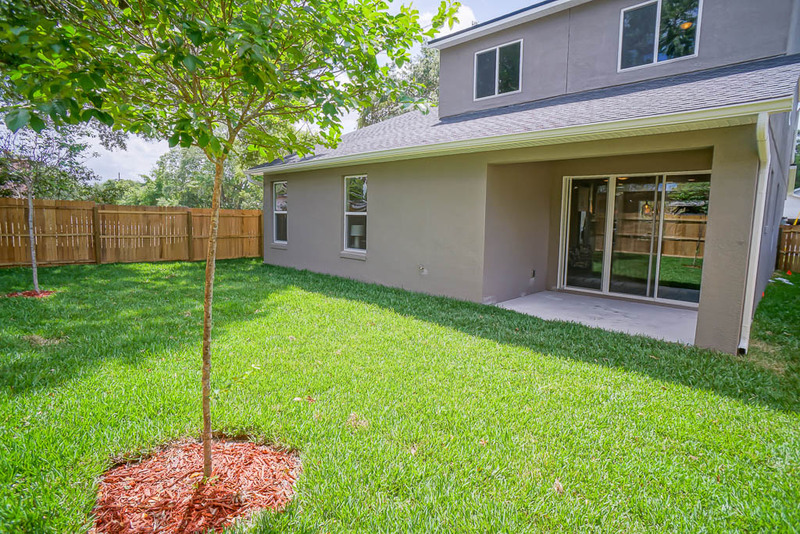 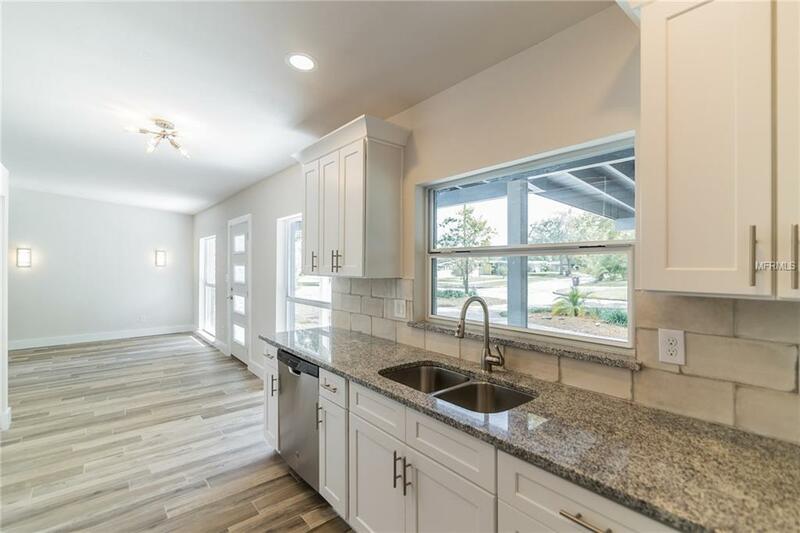 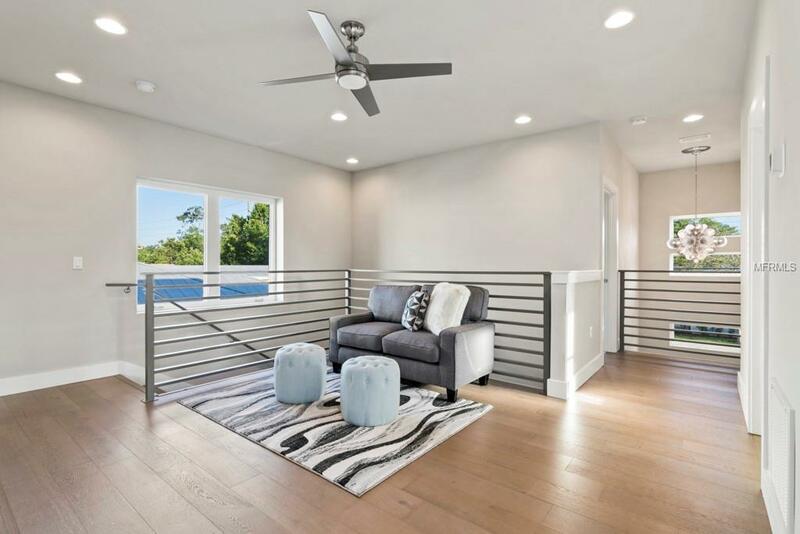 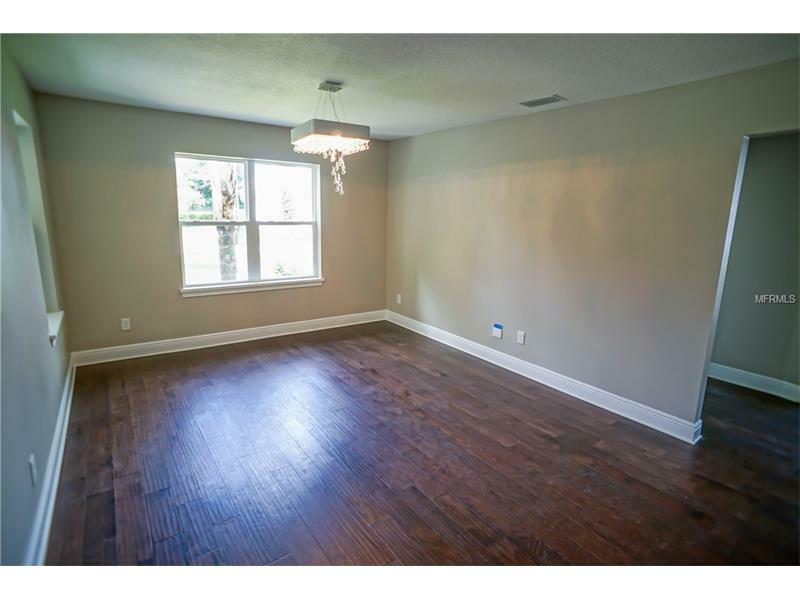 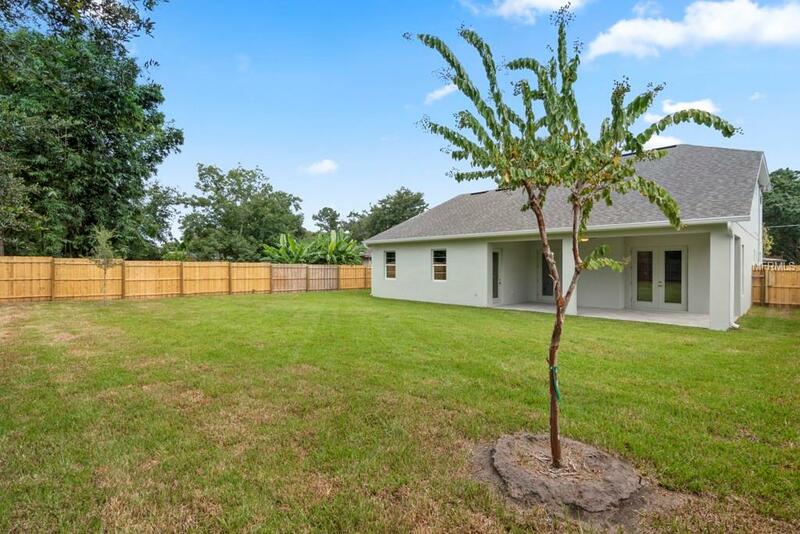 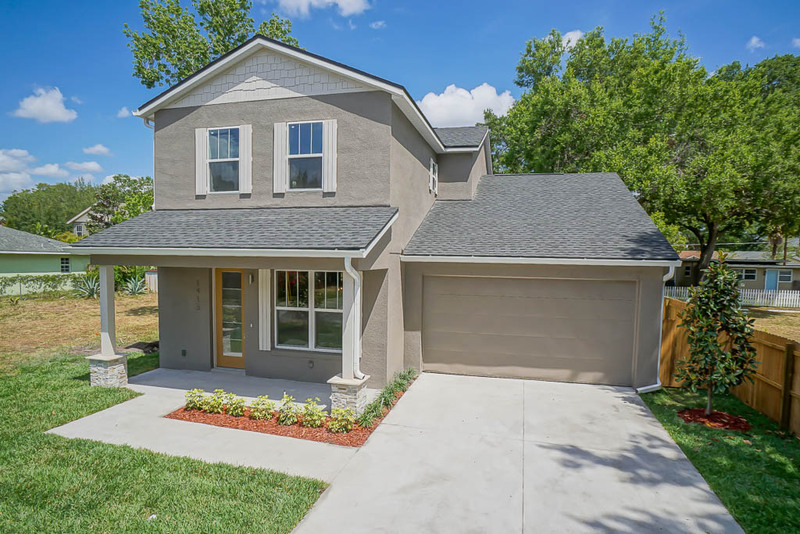 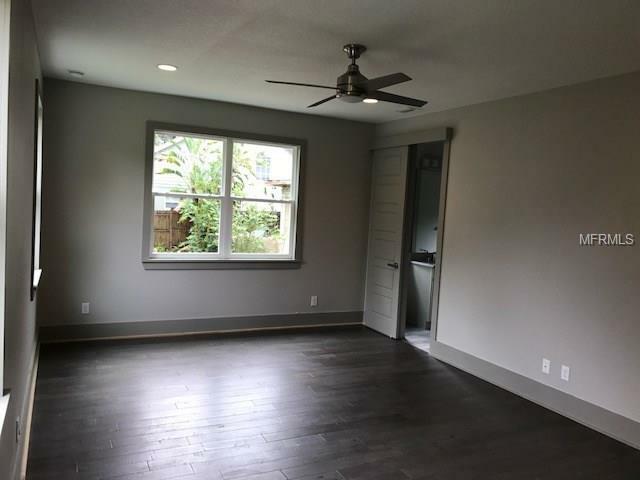 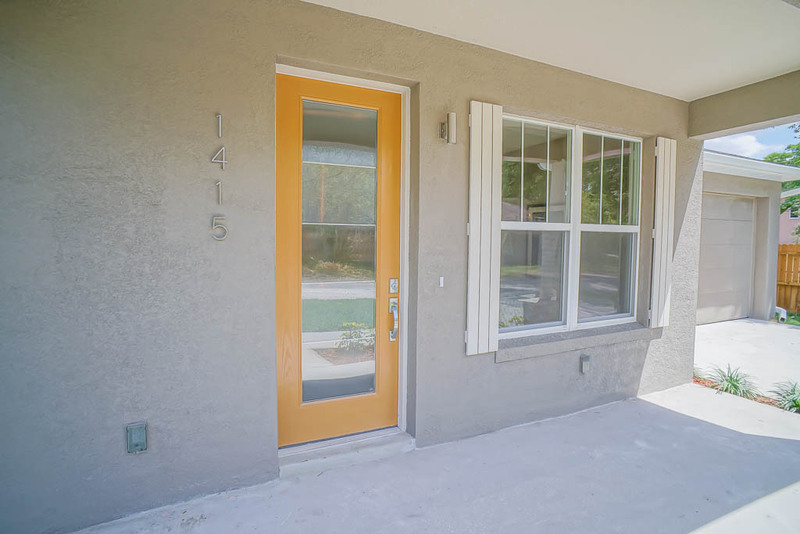 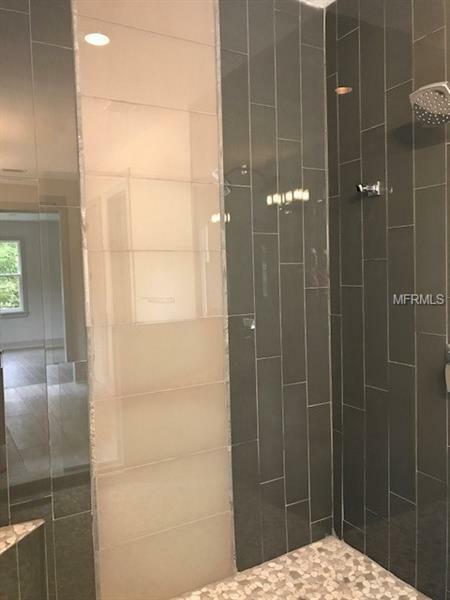 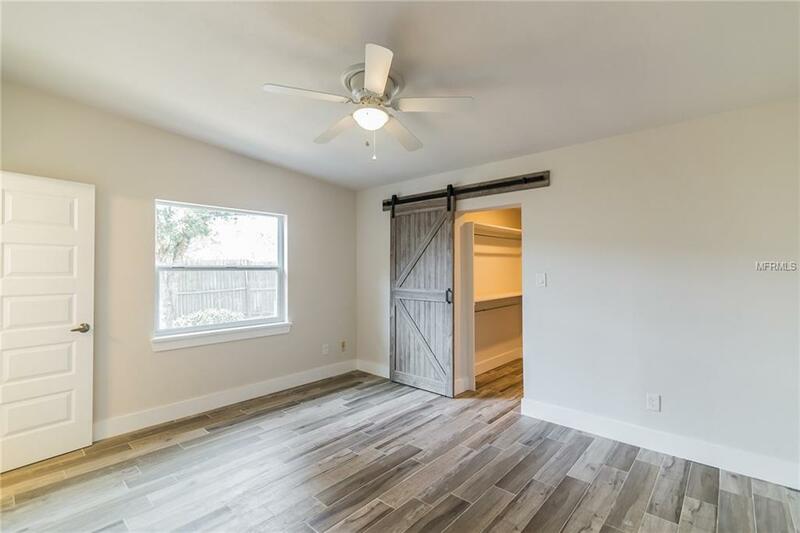 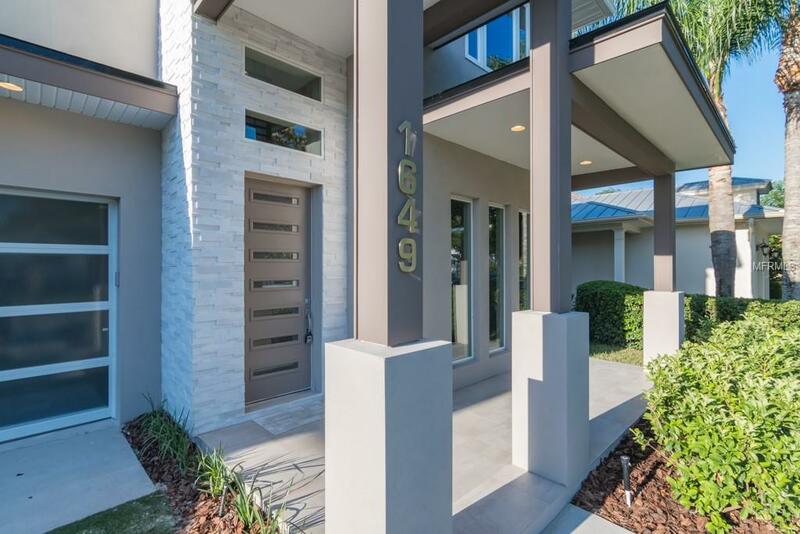 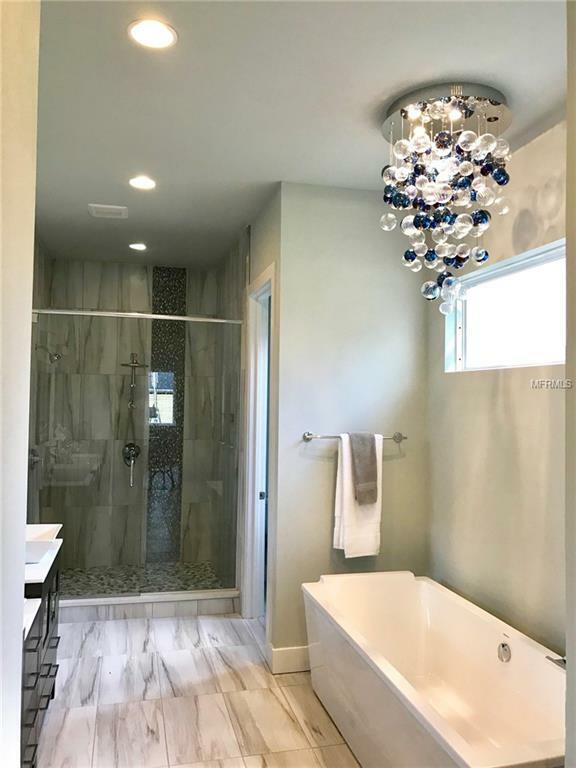 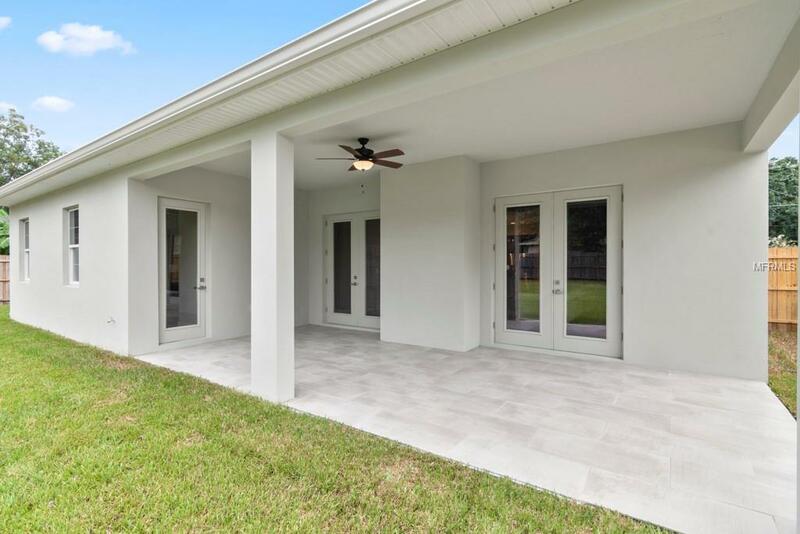 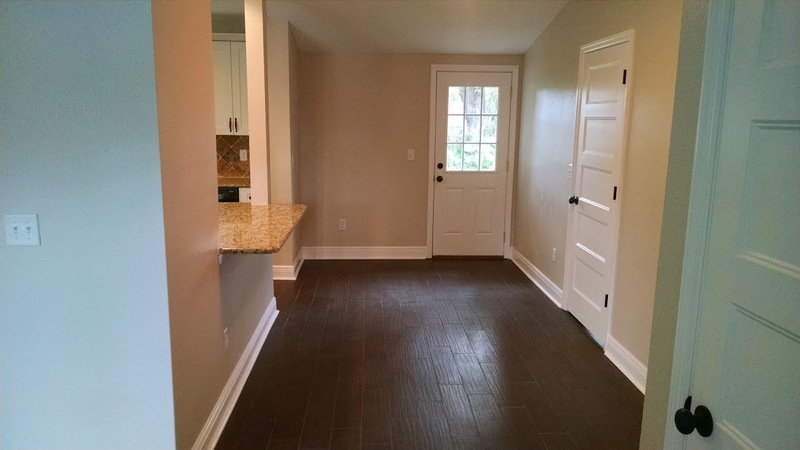 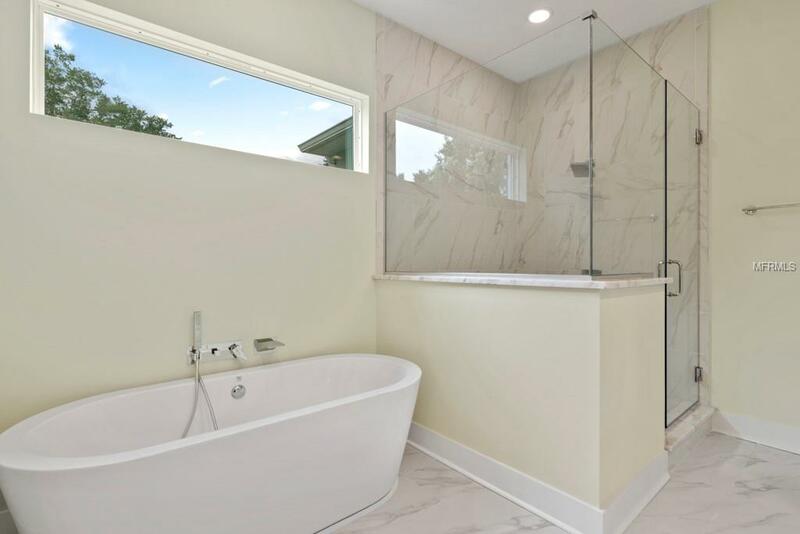 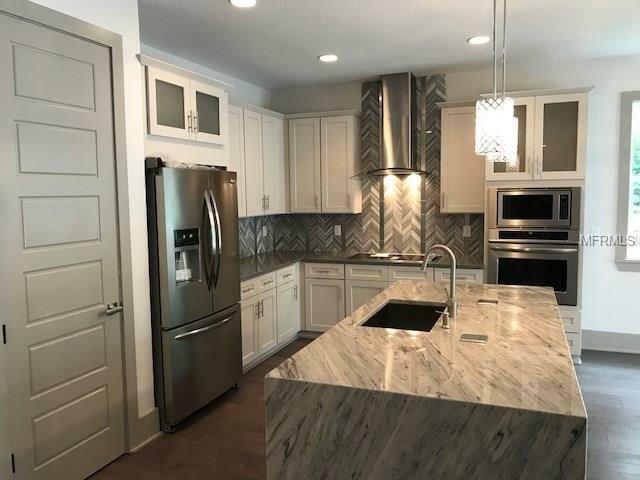 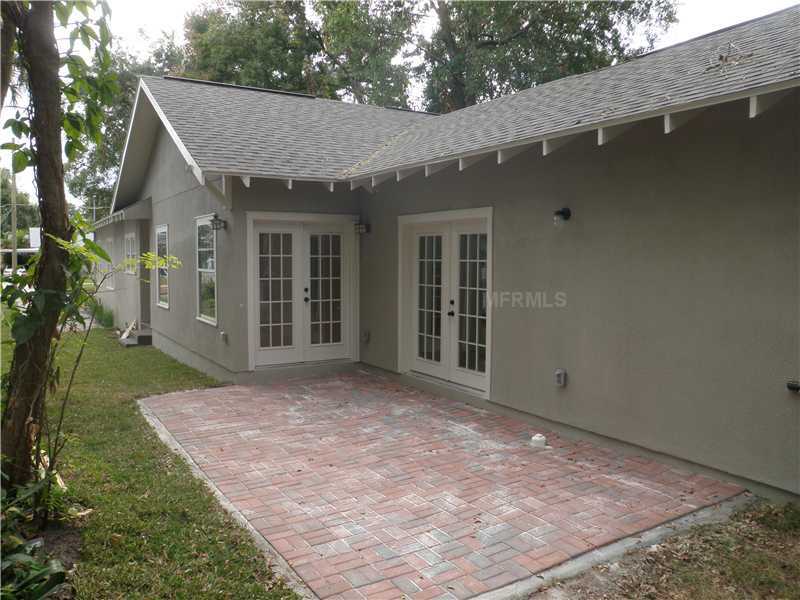 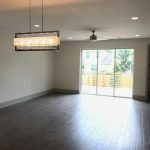 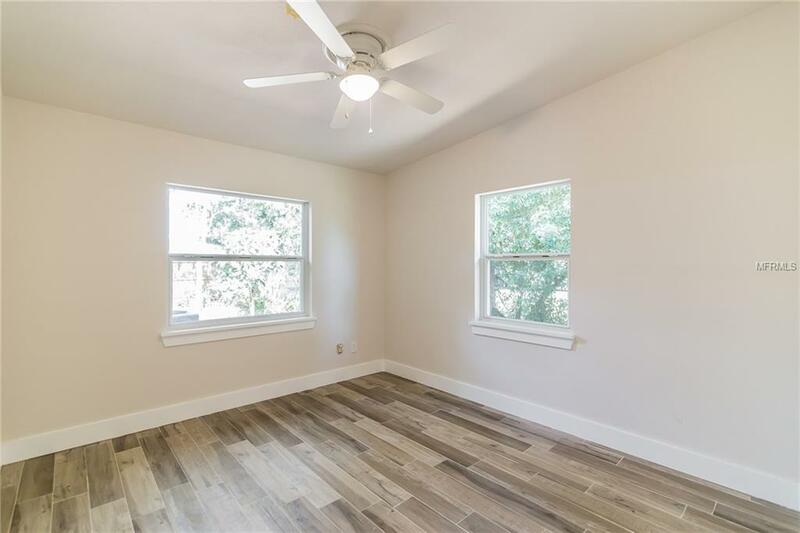 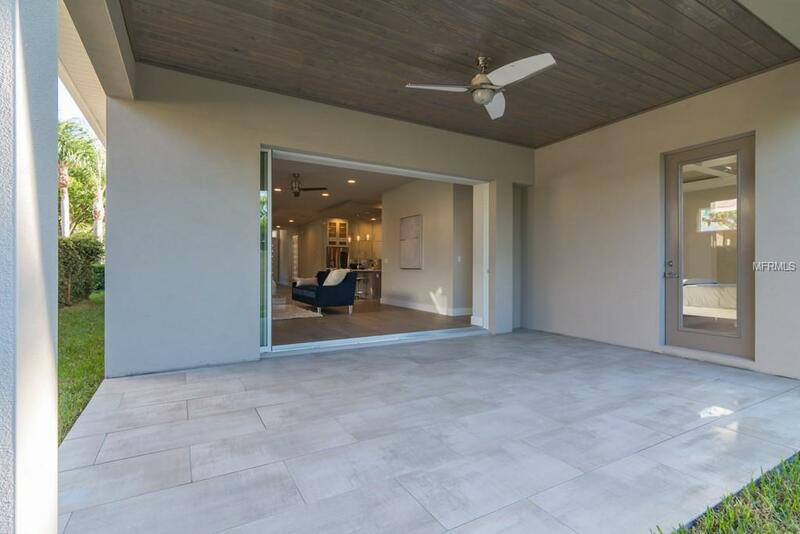 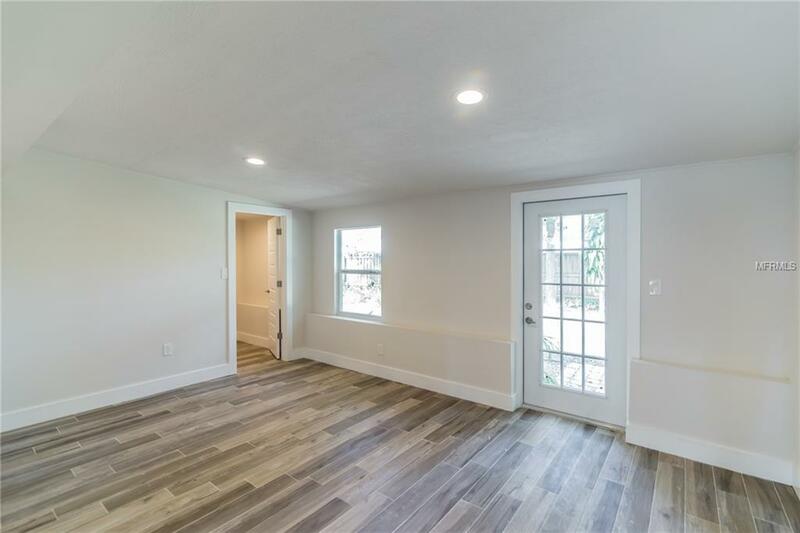 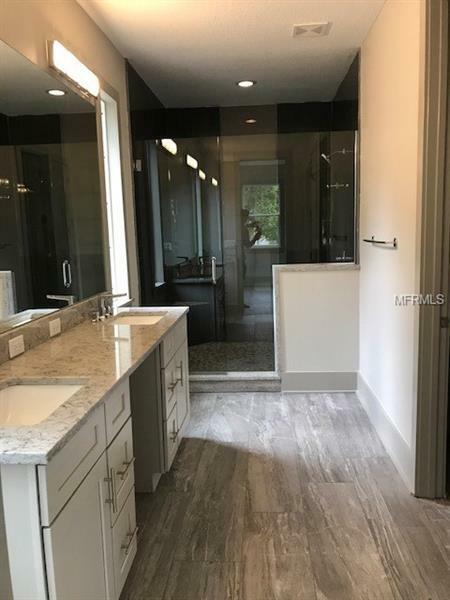 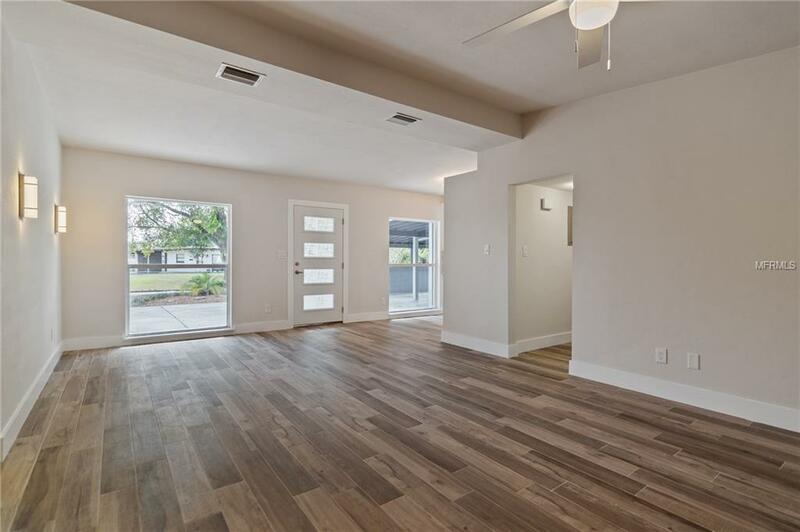 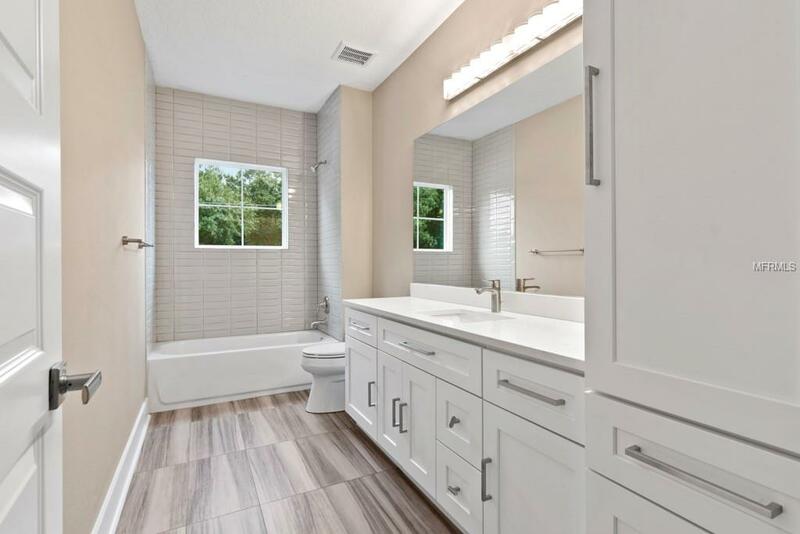 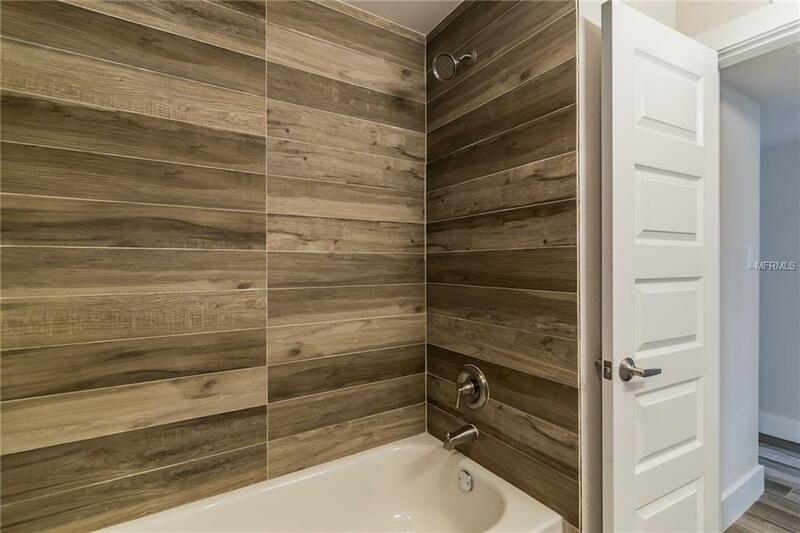 New Construction downtown Orlando home located close to Lake Como/Bel Air Heights and the new Hourglass District, this home has a HUGE lot and a 3 car garage. 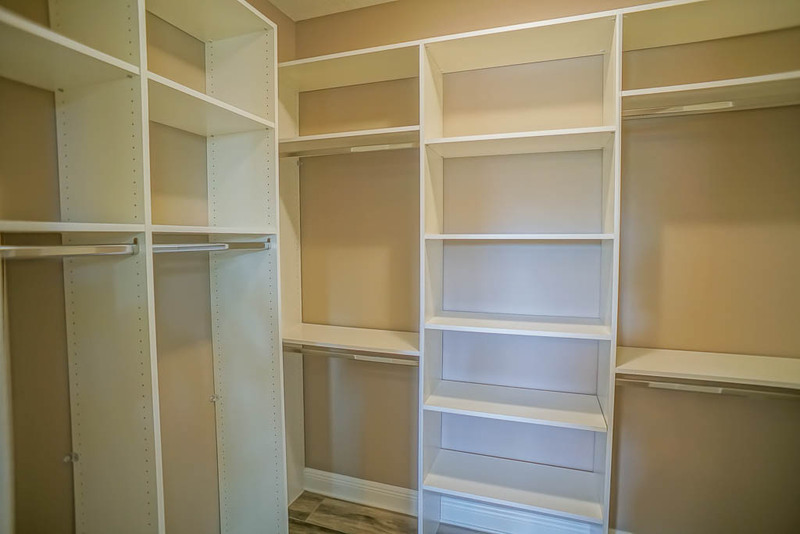 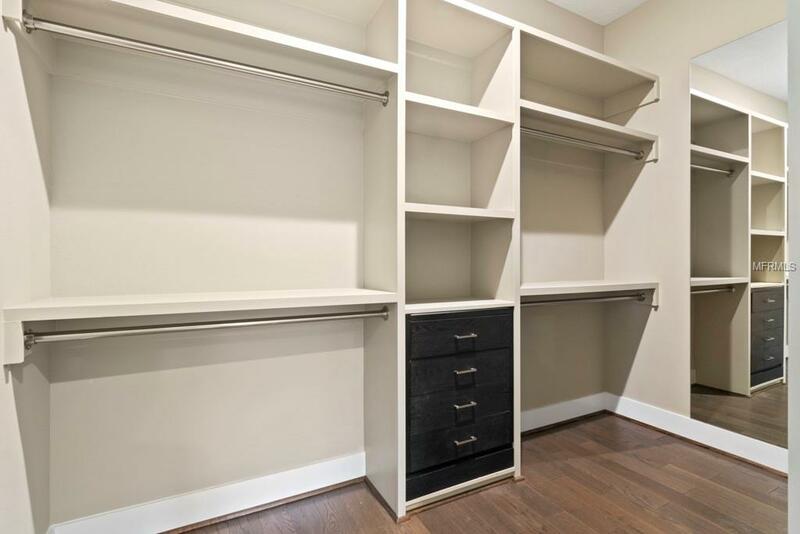 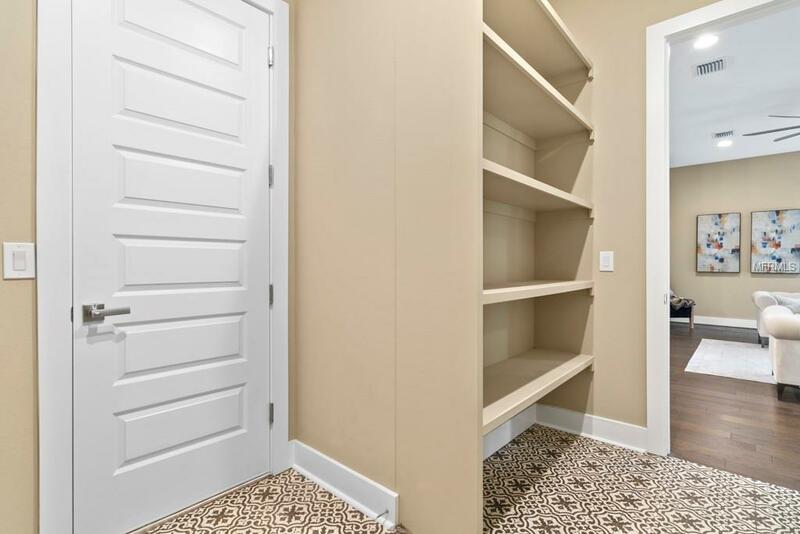 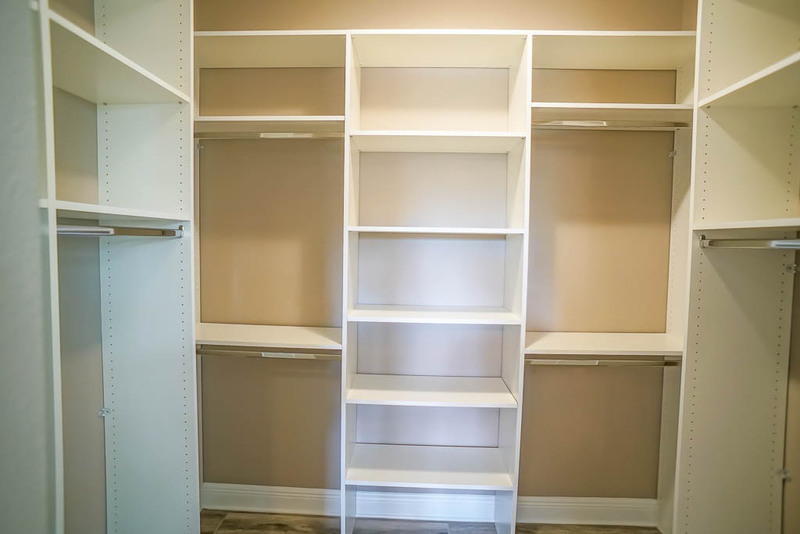 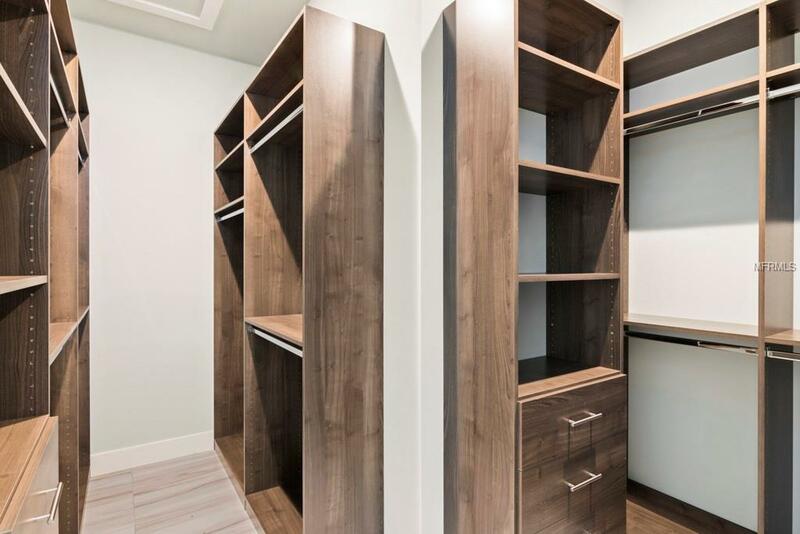 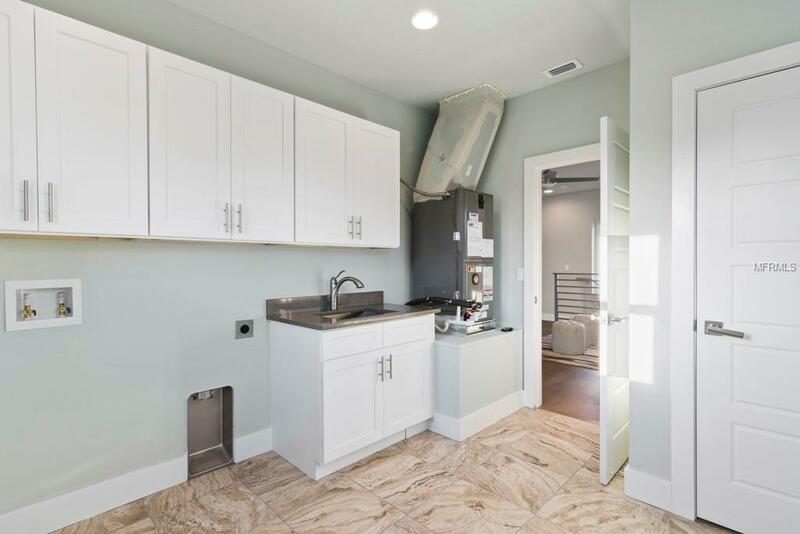 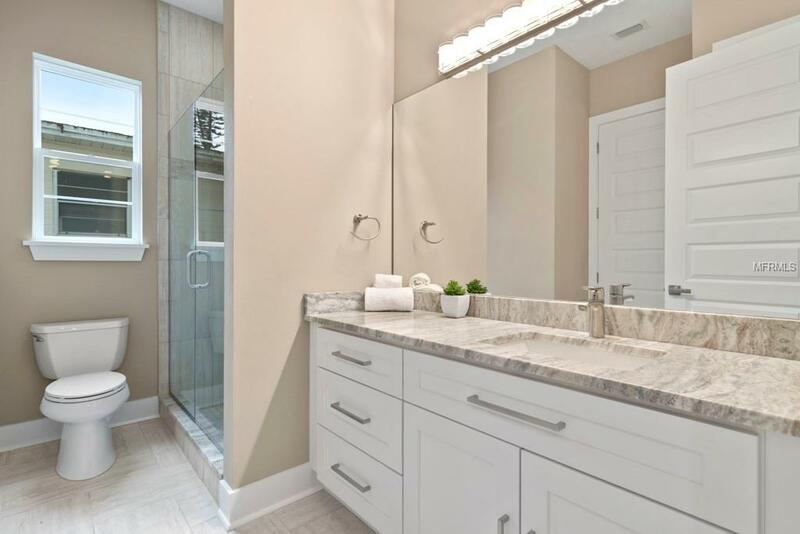 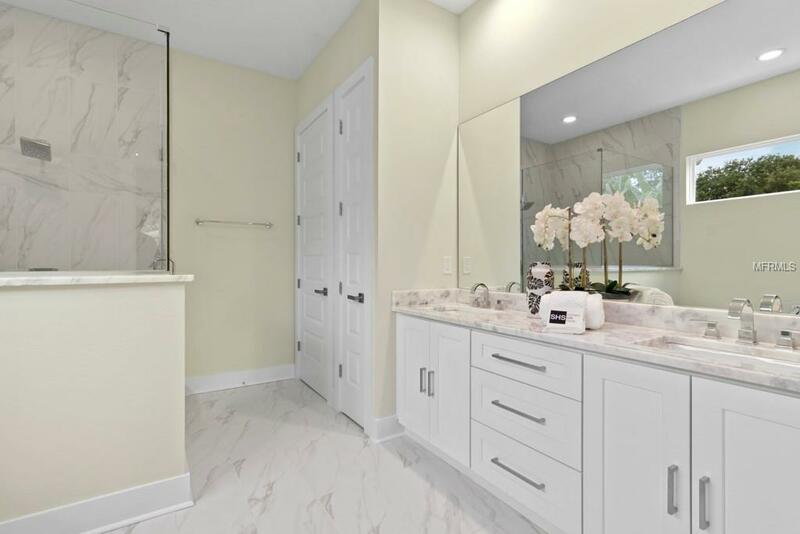 The downstairs master bedroom has a large walk-in closet with custom shelving for one and a second closet for the other, a large free-standing tub in the master bath as well as a double vanity. 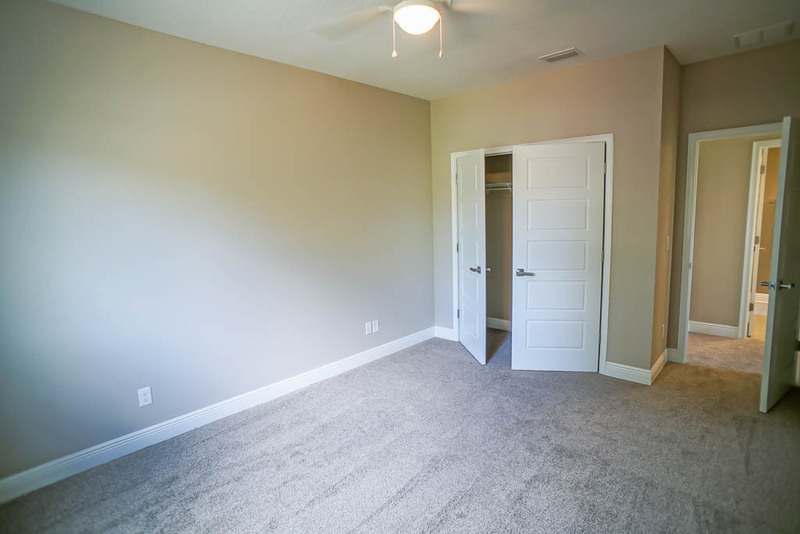 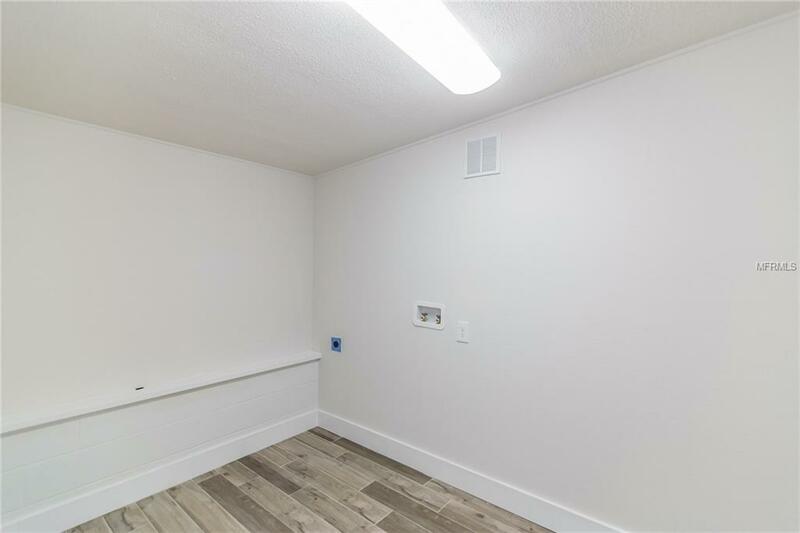 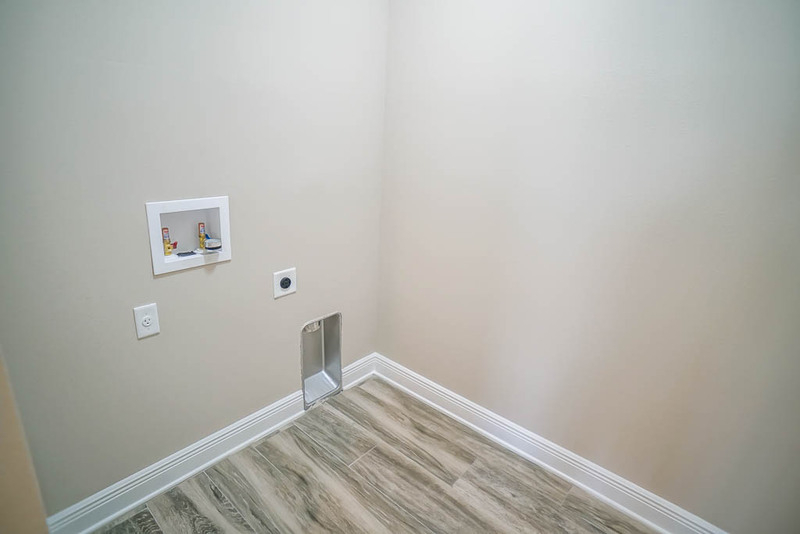 There is also a guest room with connected bathroom downstairs that can double as a office and a full laundry room. 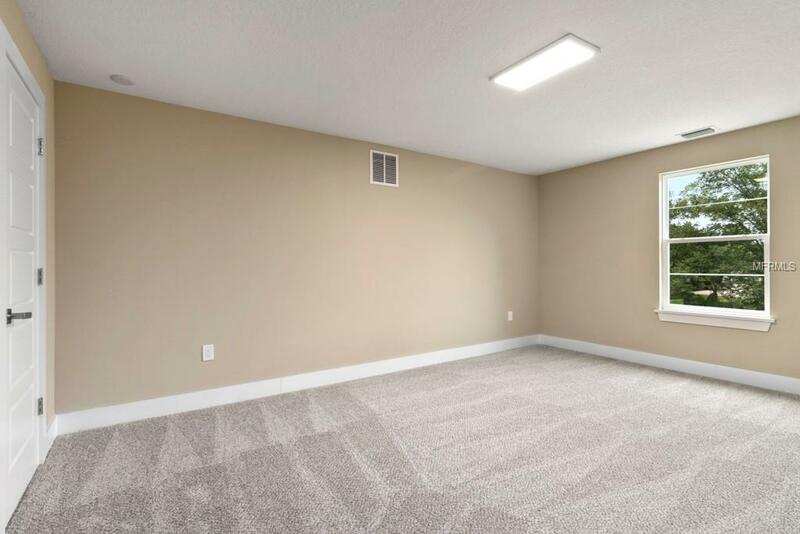 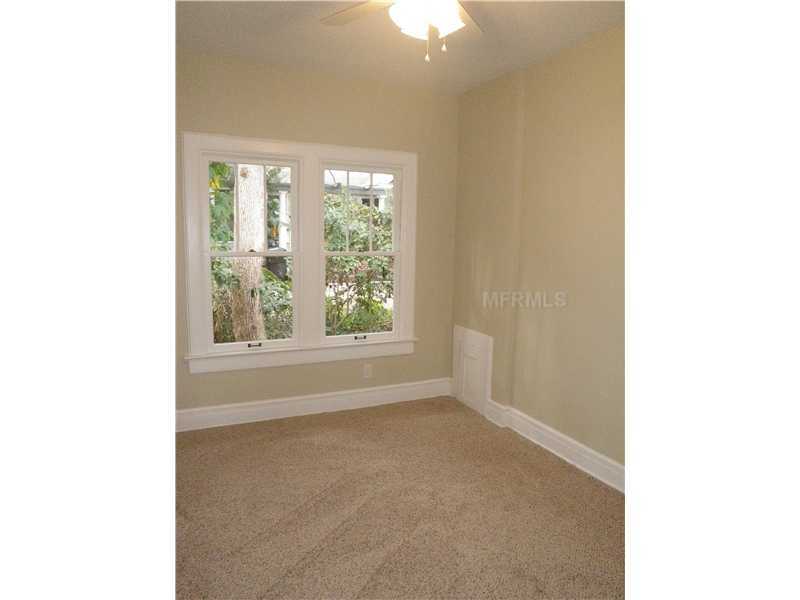 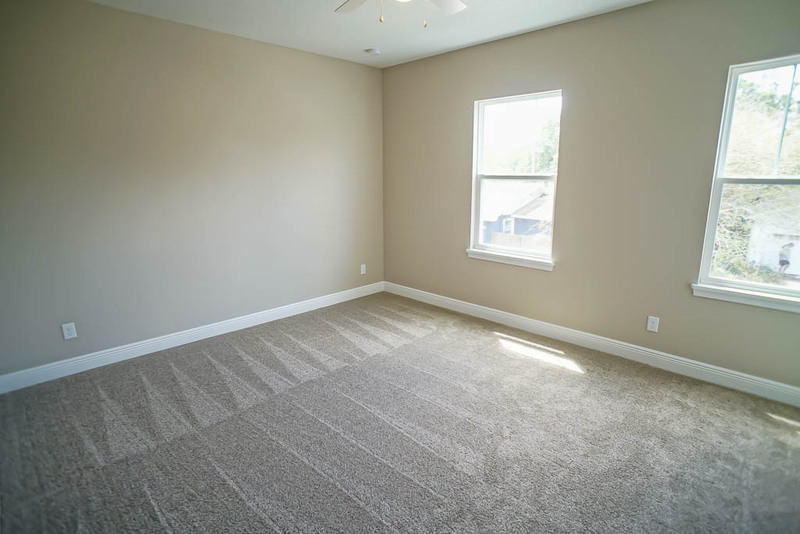 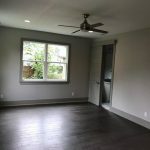 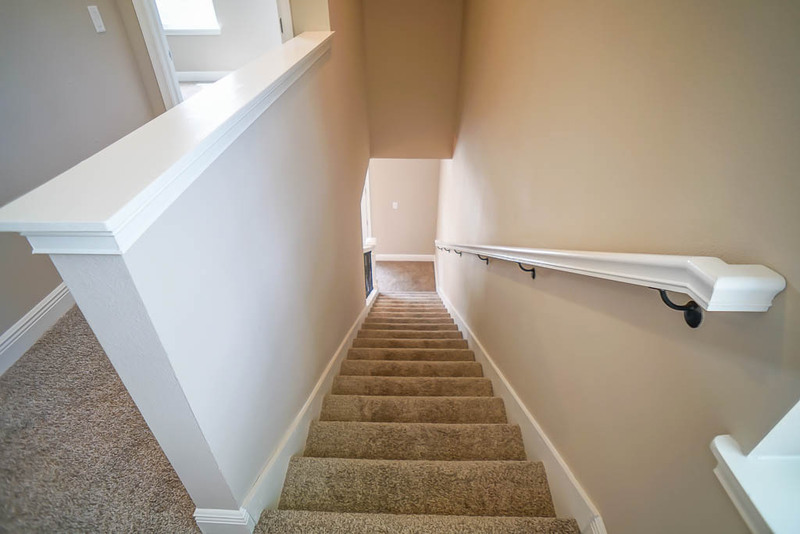 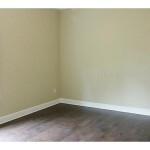 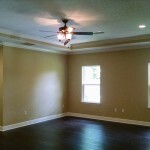 Upstairs has 2 bedrooms, a bath, a large loft and an extra bonus room that would be great as a game room or media room. 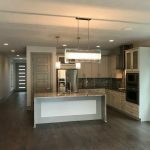 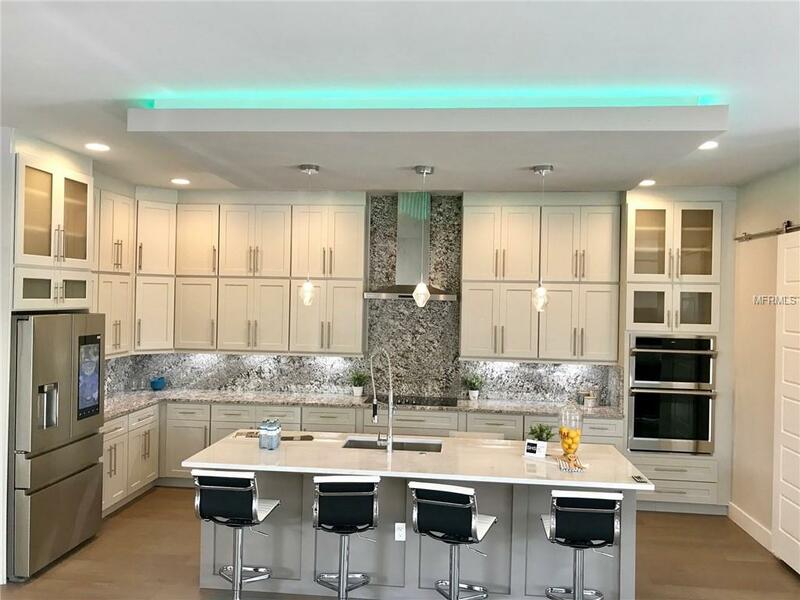 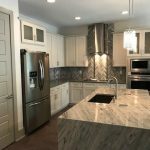 This home has been professionally designed and is beautiful in every way from the 2 tone cabinets with large island to the quartz counters and Samsung smart appliances and wall mounted fireplace. 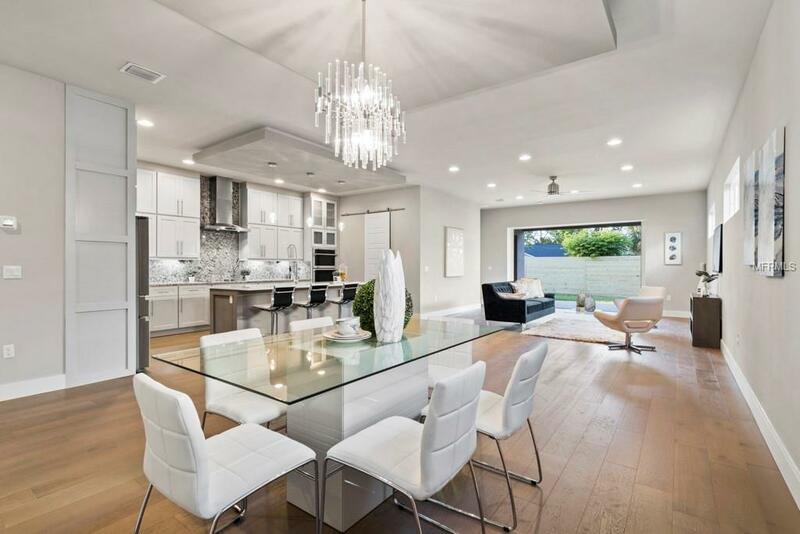 This modern home is absolutely gorgeous from the top to bottom. 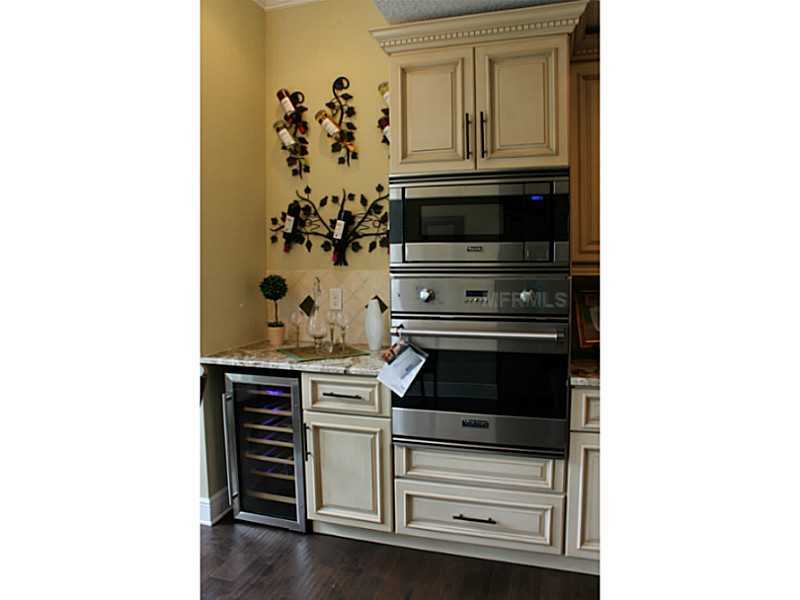 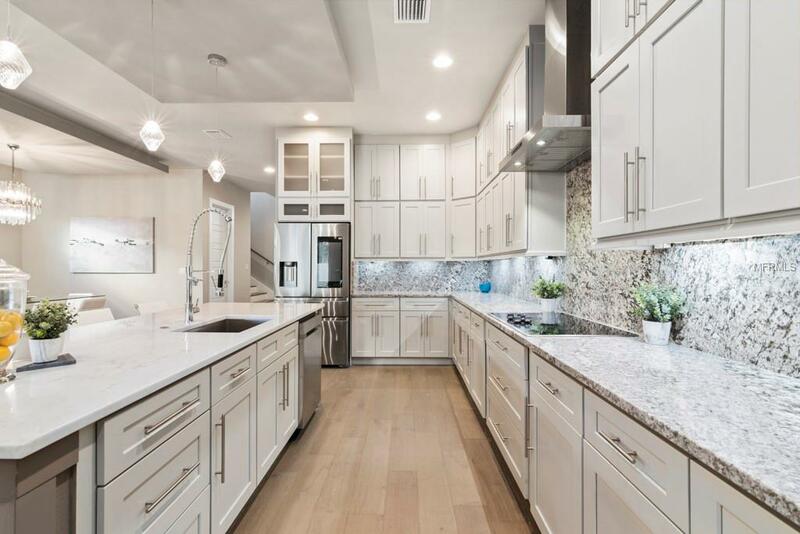 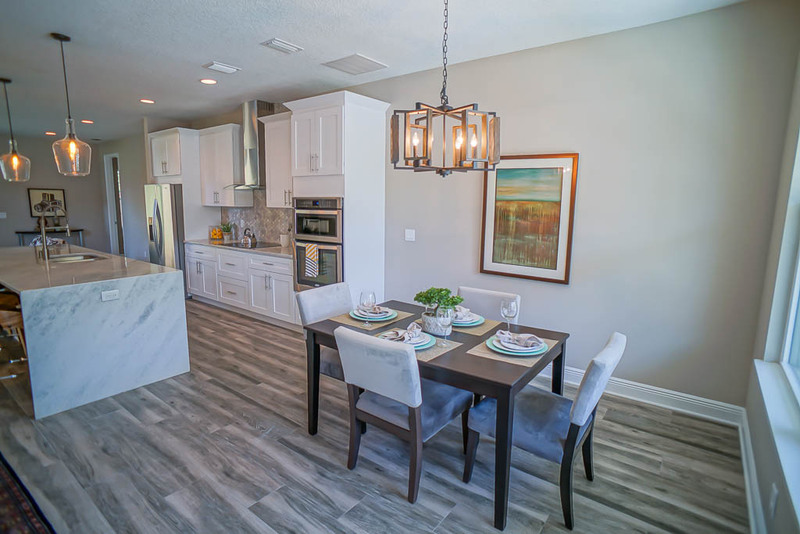 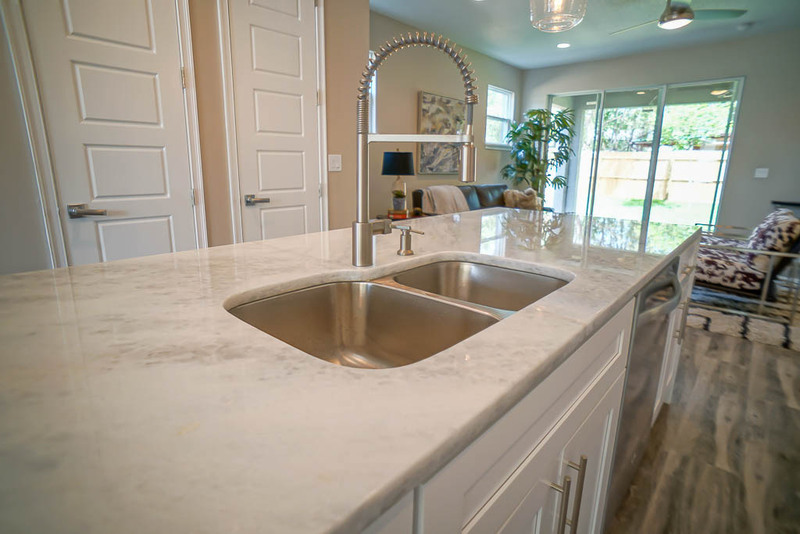 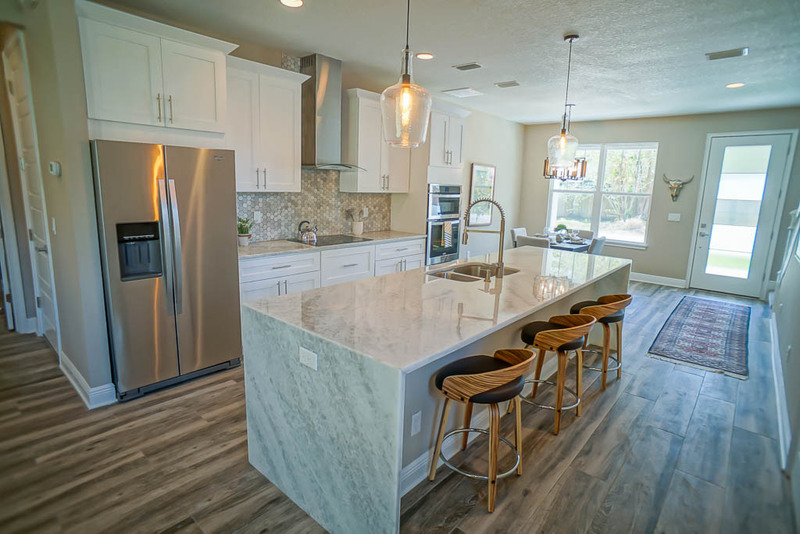 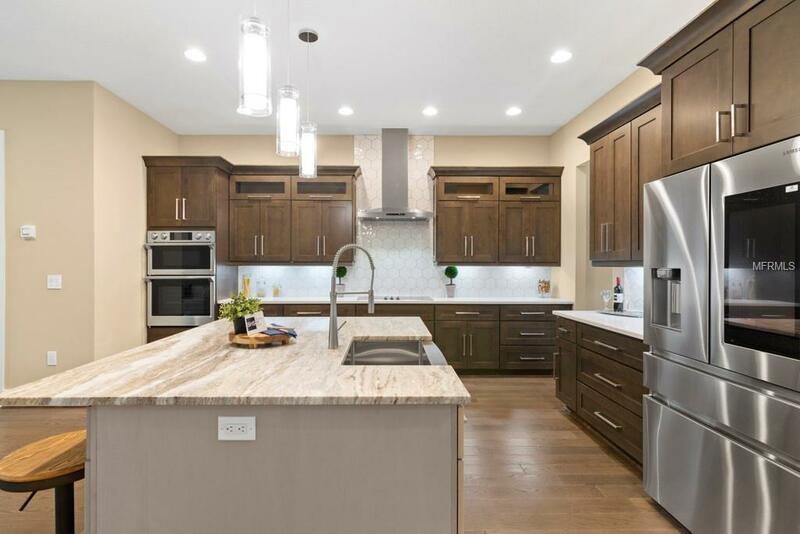 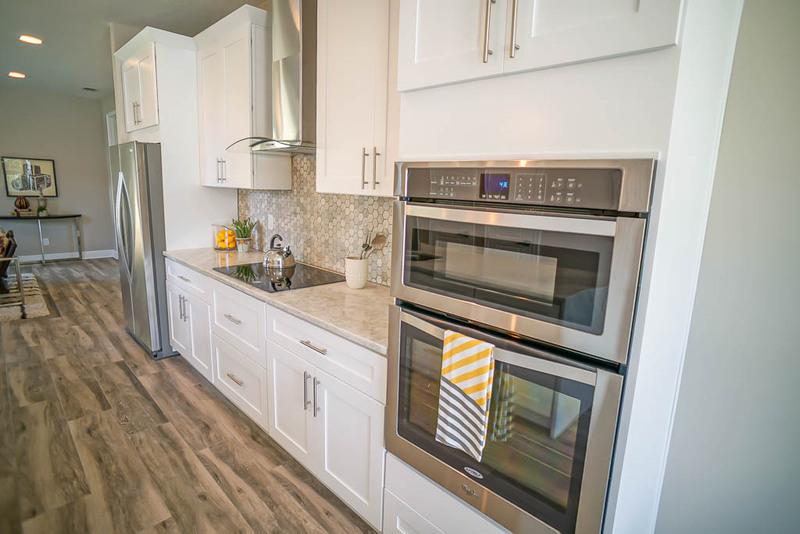 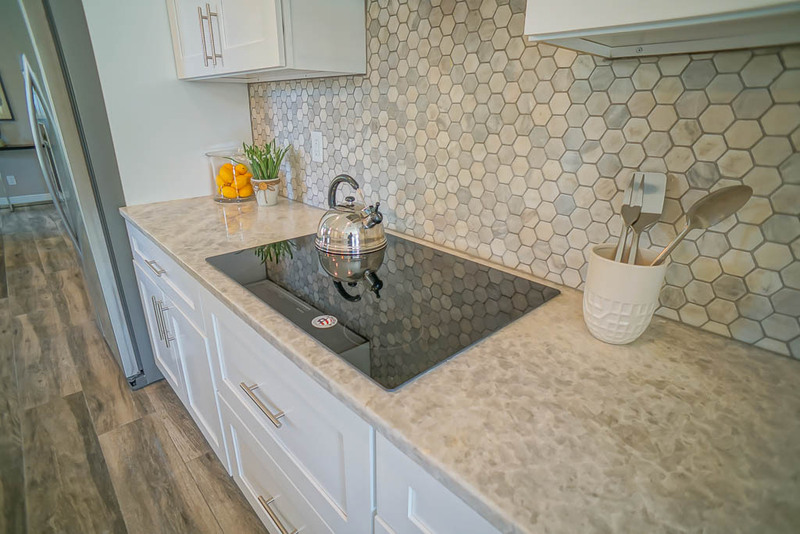 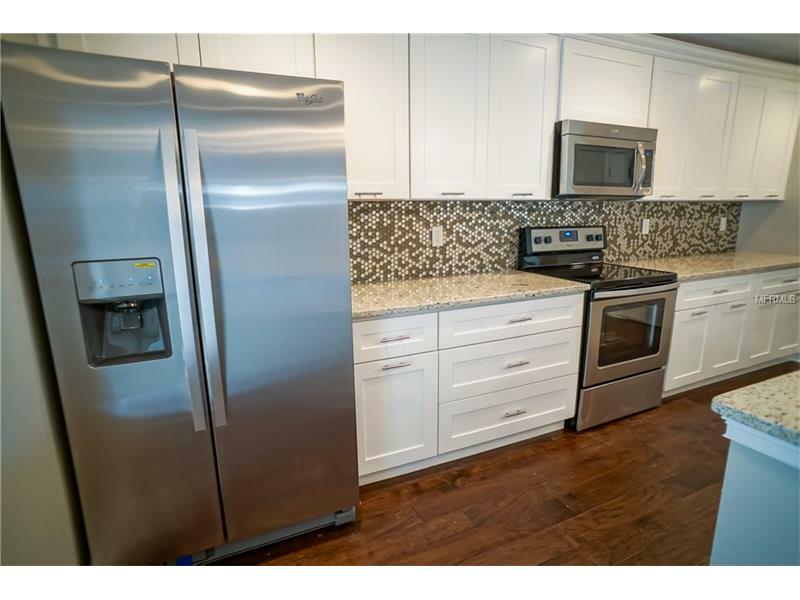 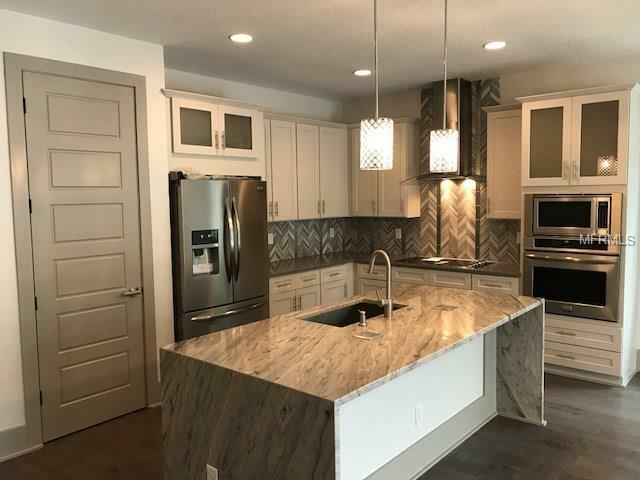 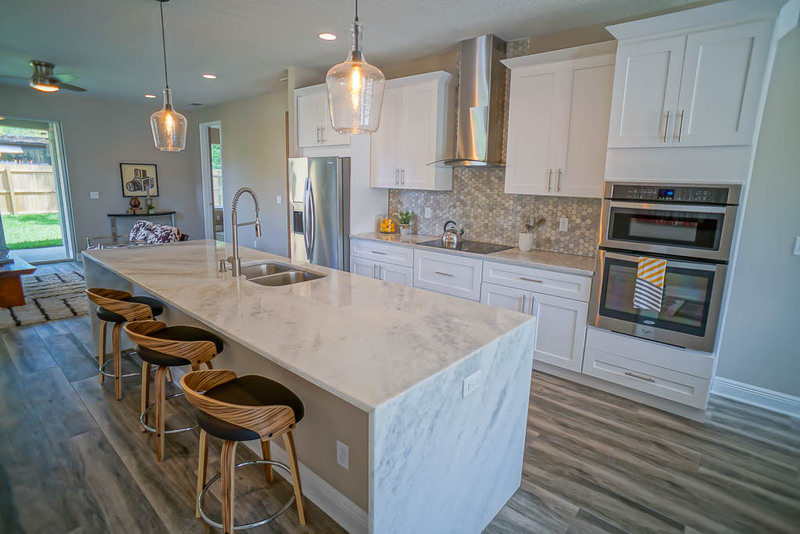 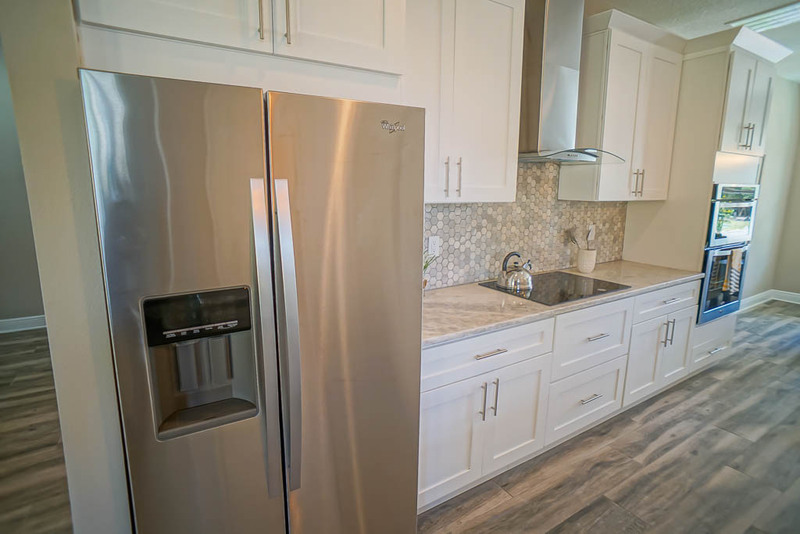 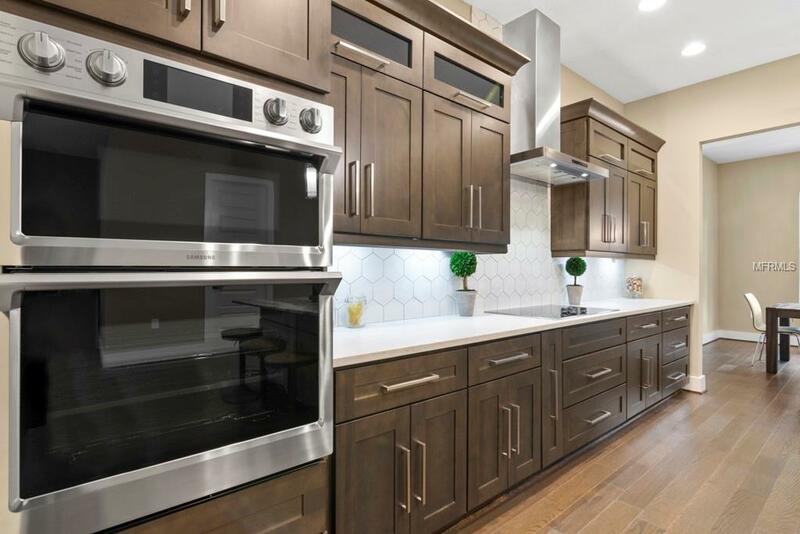 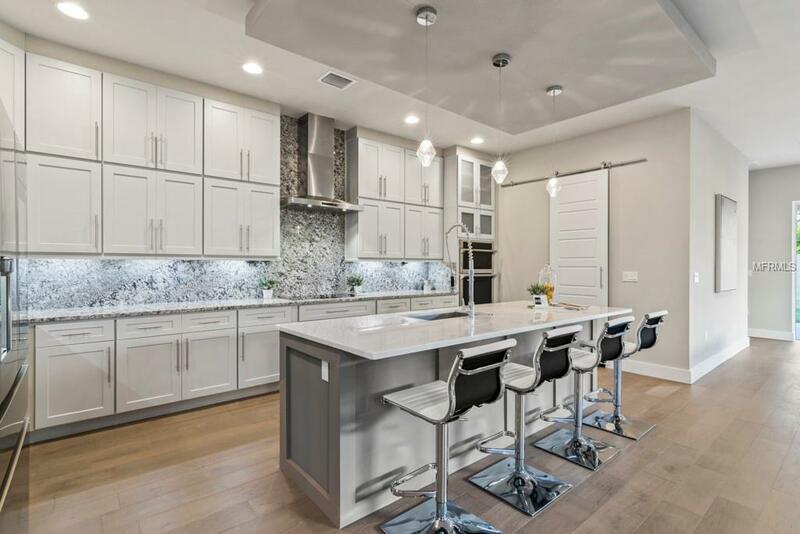 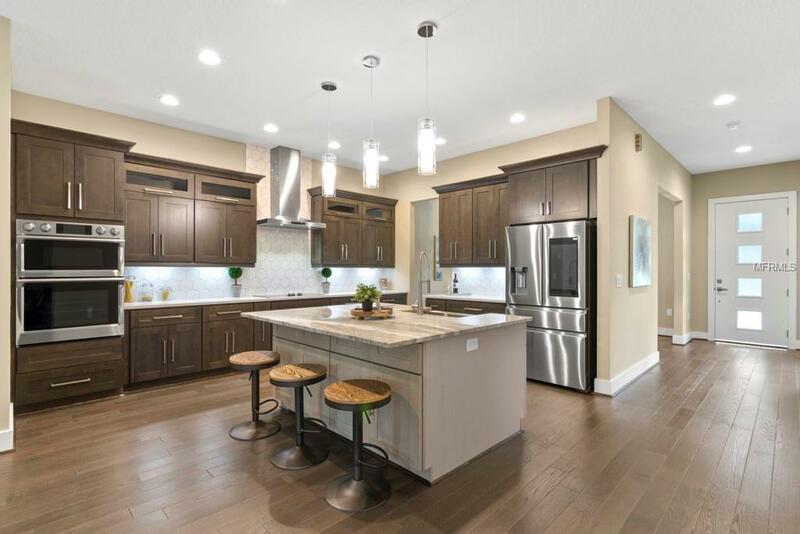 The kitchen is stacked with top to bottom cabinets, granite counters and granite backslash, Samsung high end Smart appliances and a huge island finish it off. 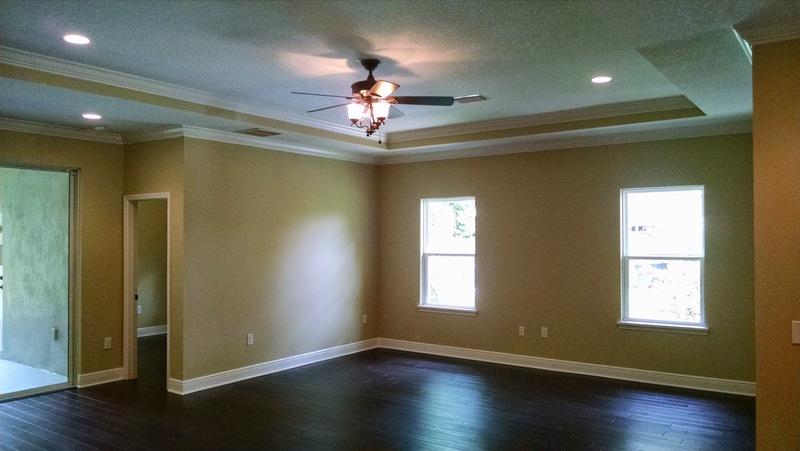 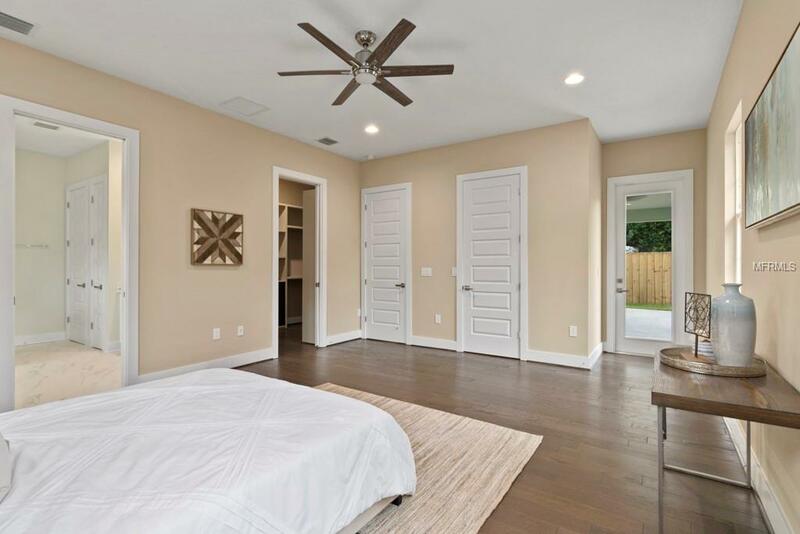 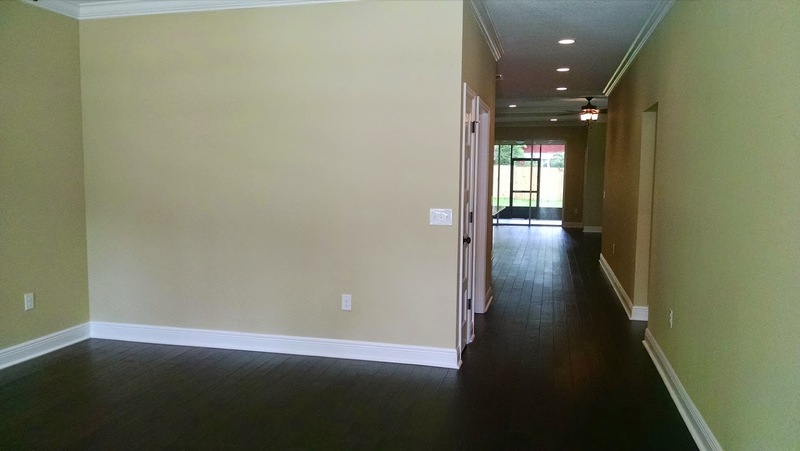 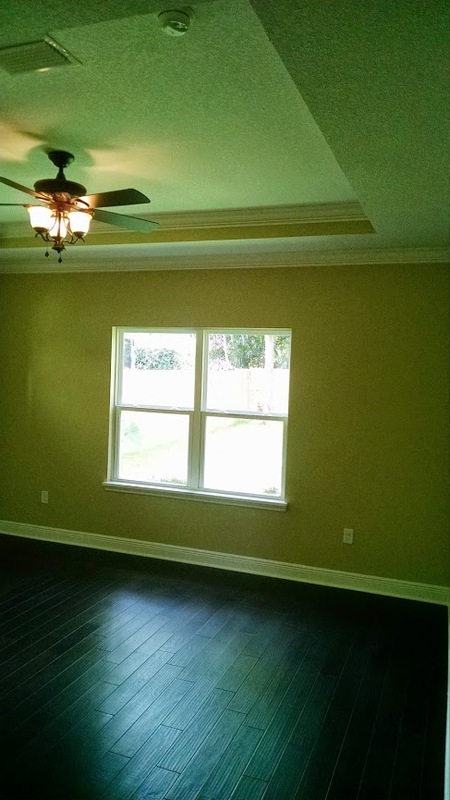 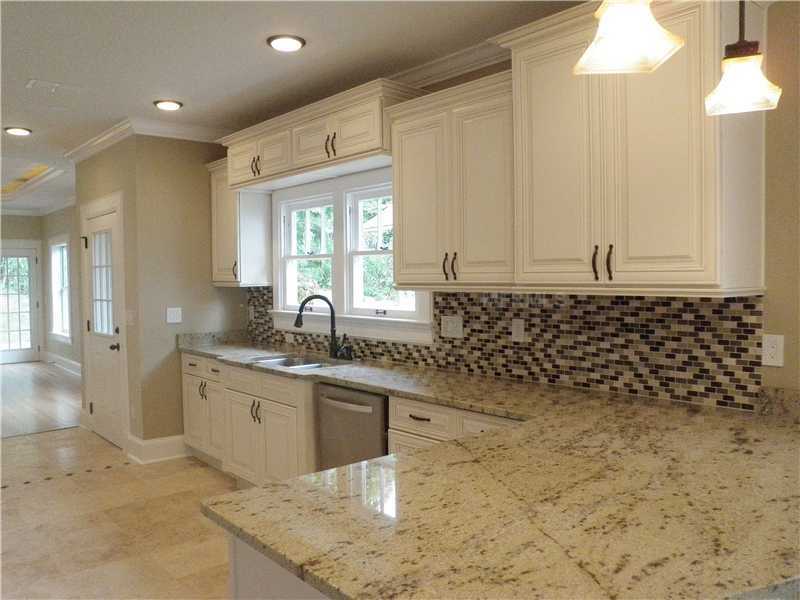 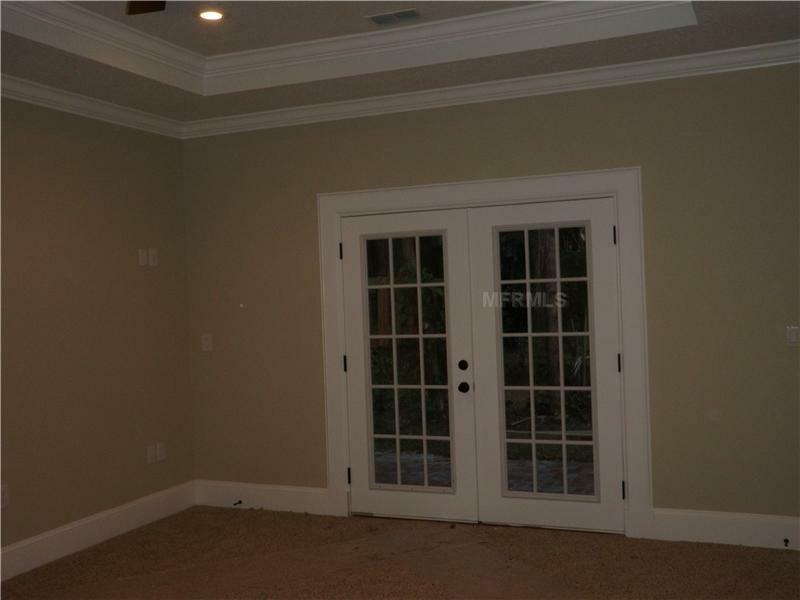 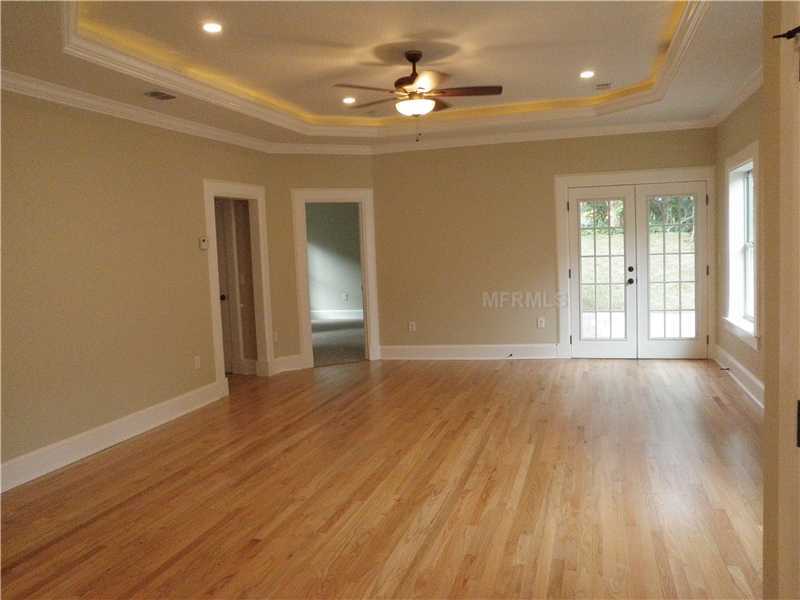 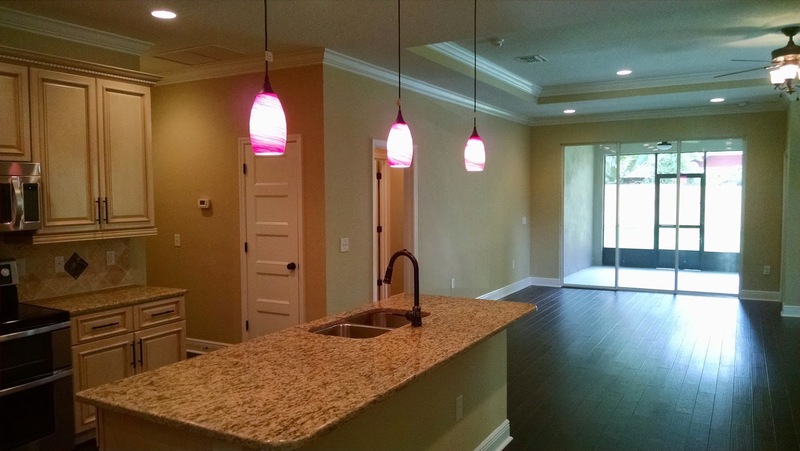 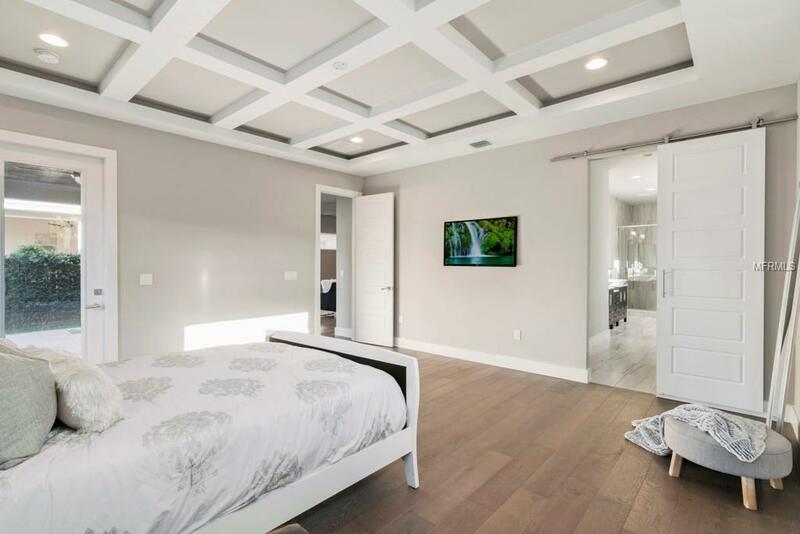 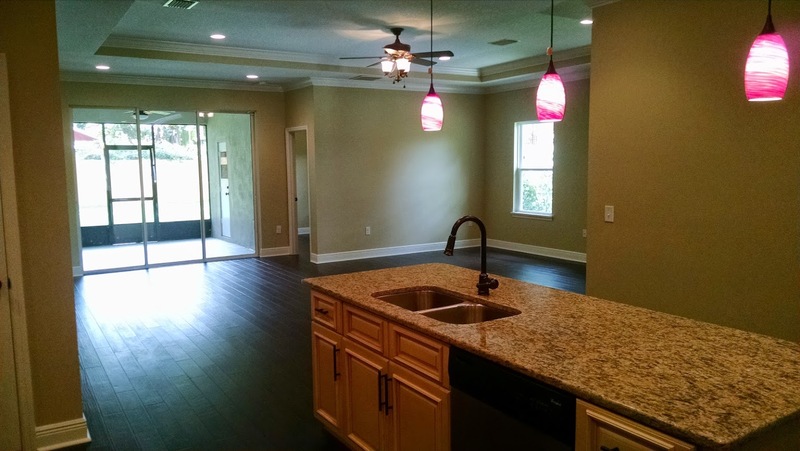 The home has custom Coffered ceilings throughout with LED accent lighting and the master bathroom is HUGE. 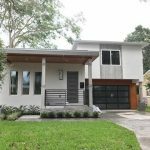 This beautiful contemporary home in Orlando Florida was a project we completed over the summer of 2017. 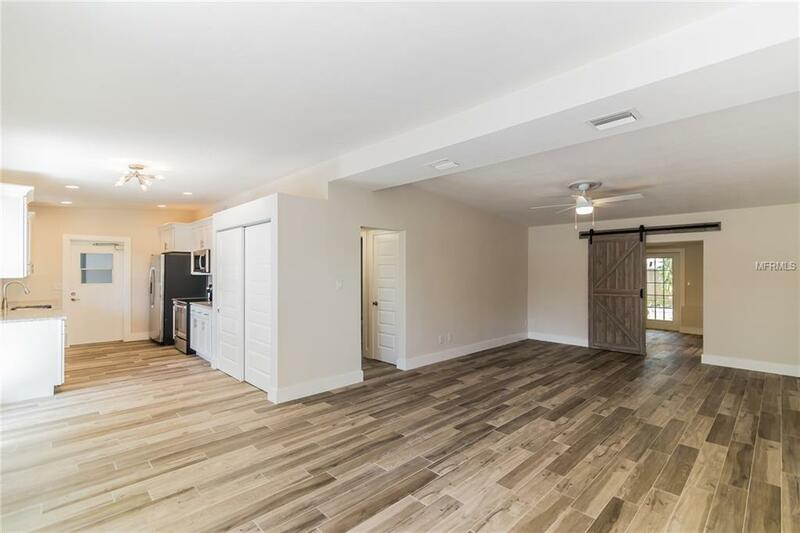 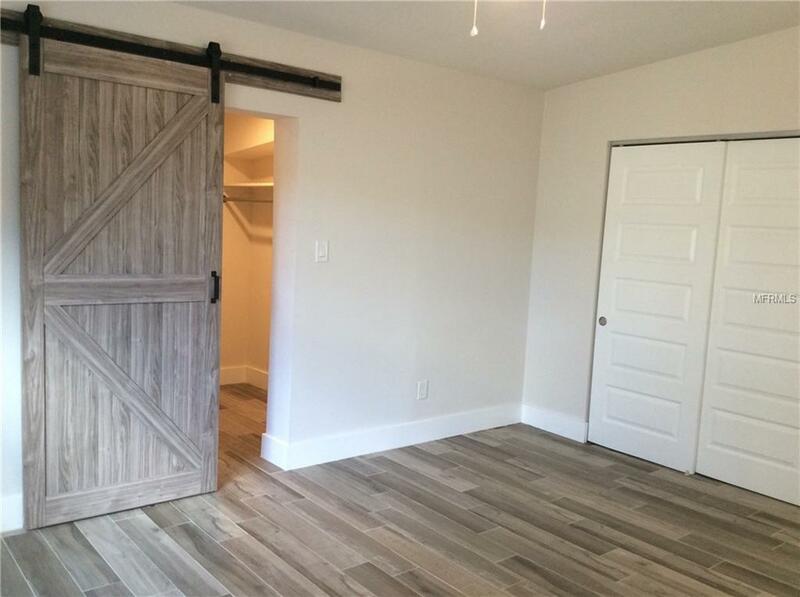 From the Oversized garage with custom door, to the quartz counters and built in appliances, this is truly what you want a new home to be. 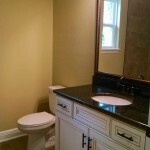 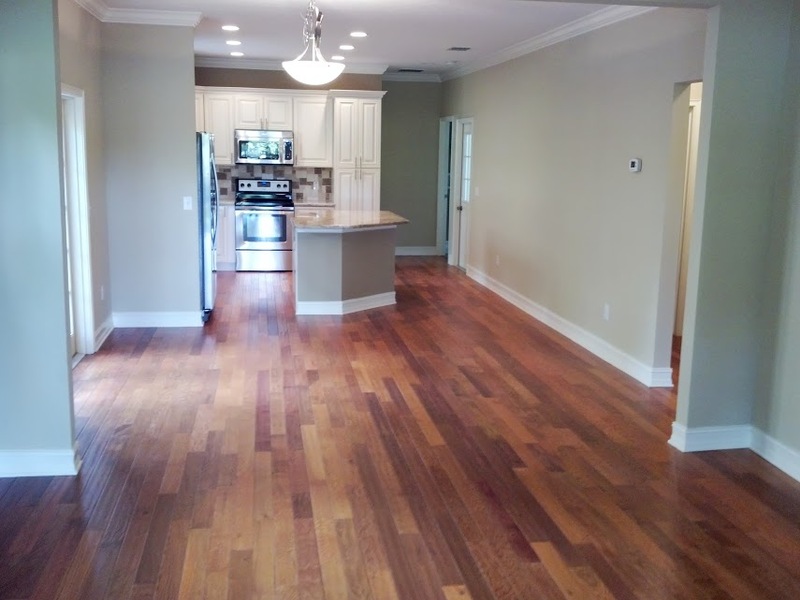 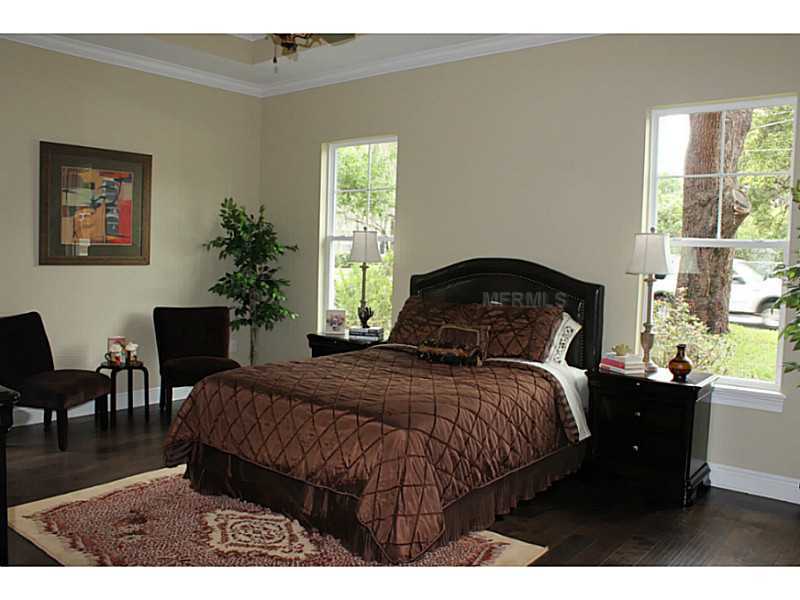 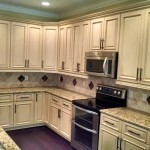 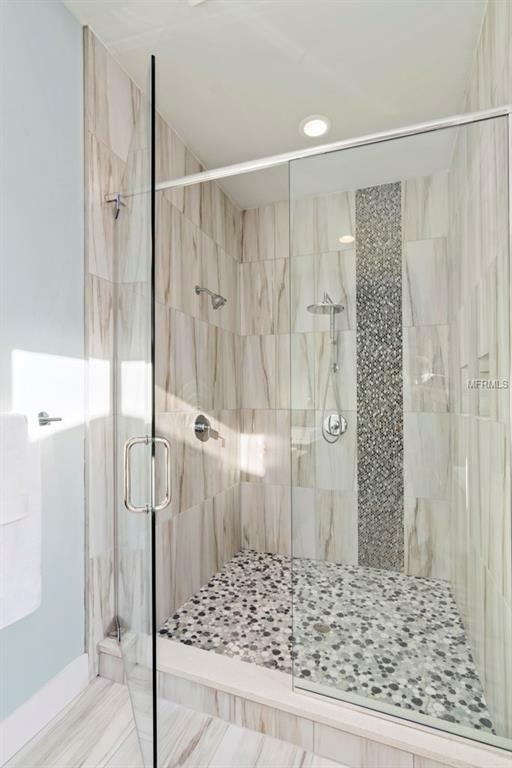 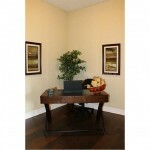 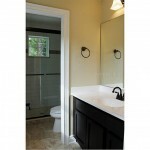 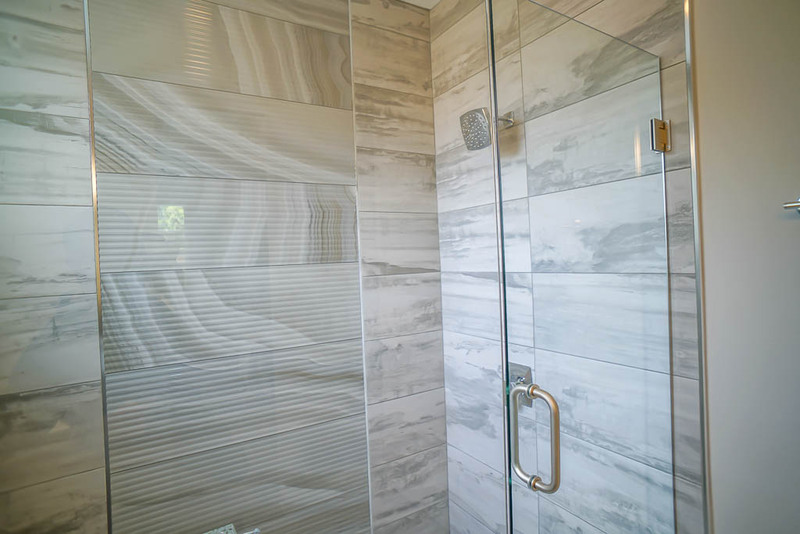 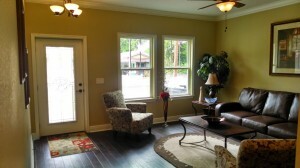 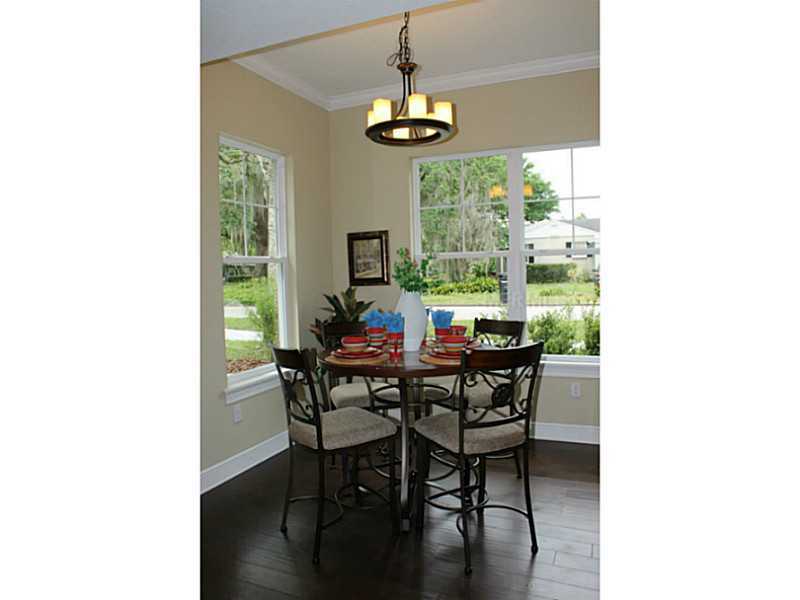 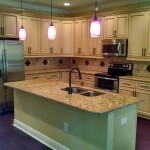 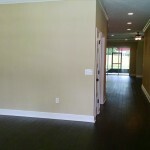 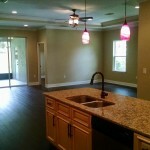 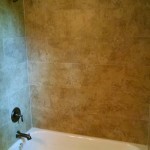 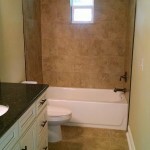 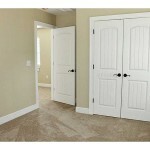 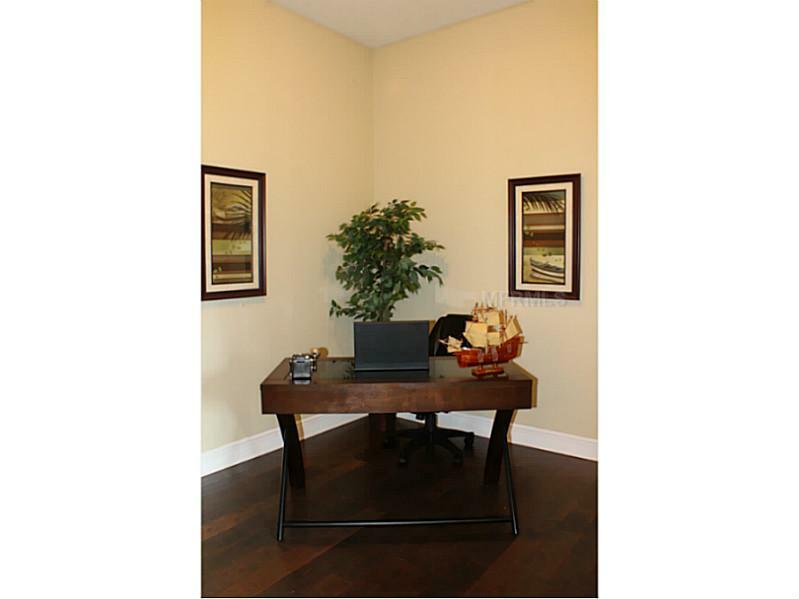 The home will has wood floors throughout with custom designs in all bathrooms and all done by a professional designer. 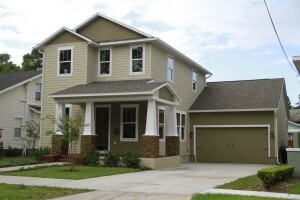 New Construction home completed and ready for it’s new owner. 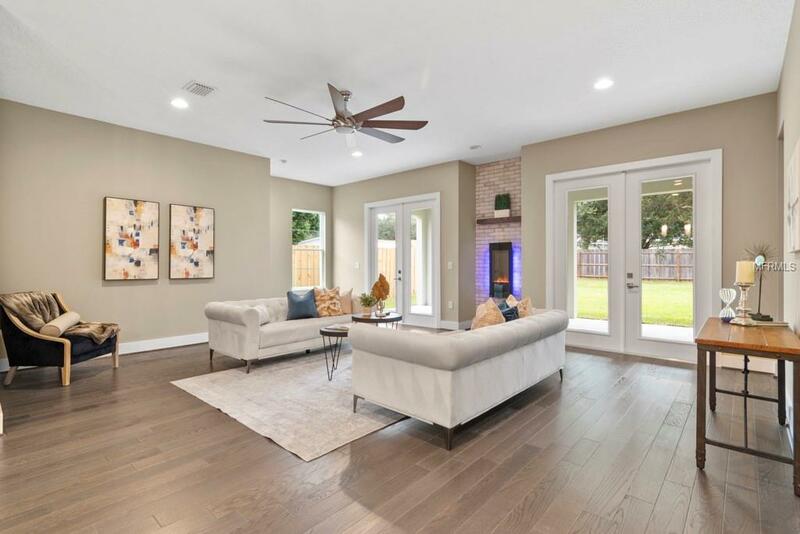 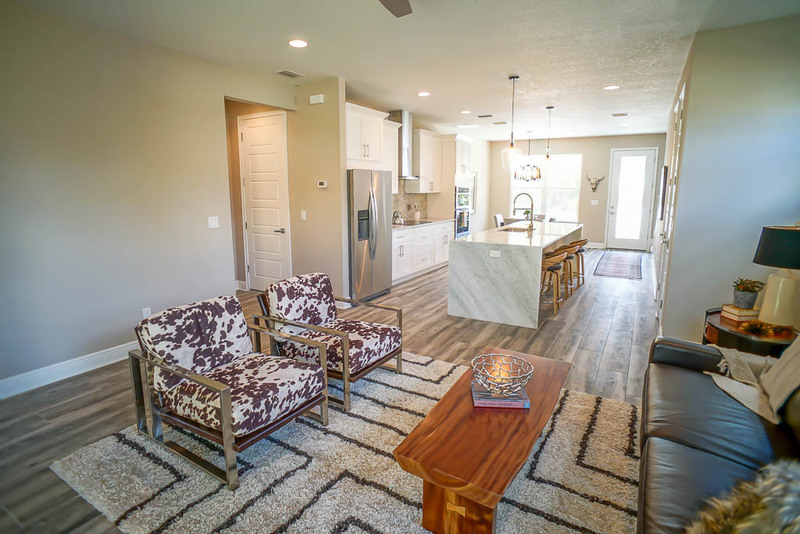 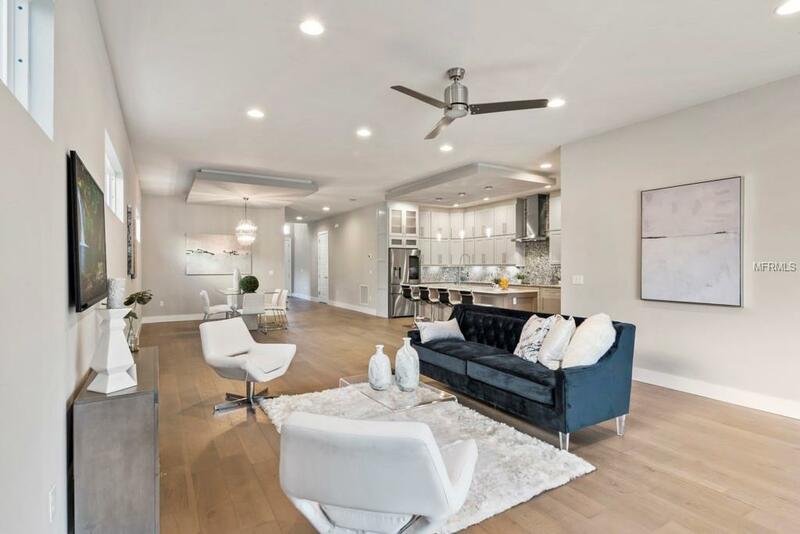 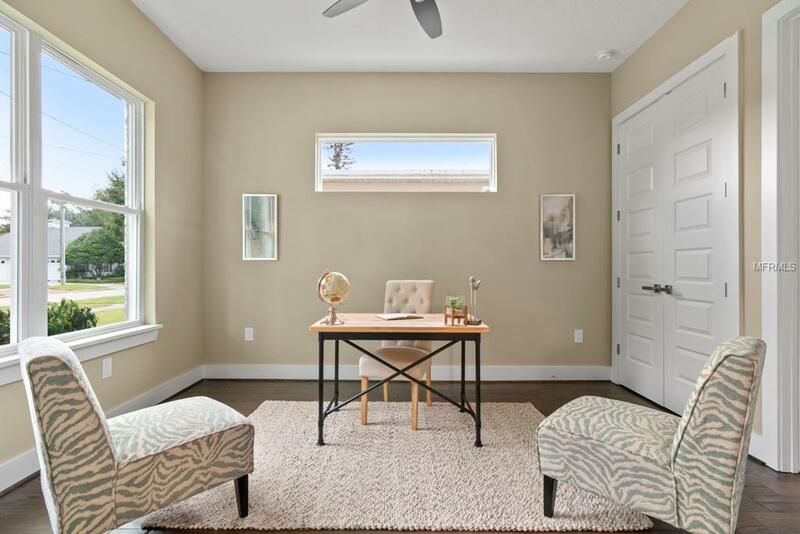 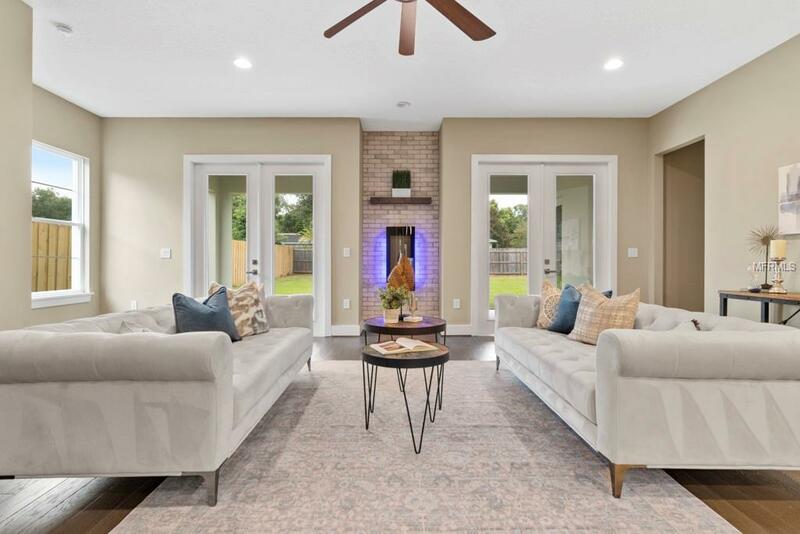 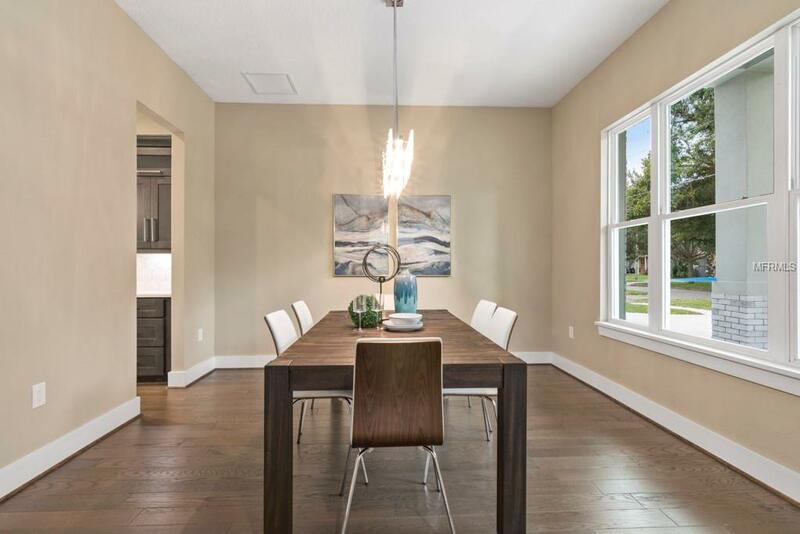 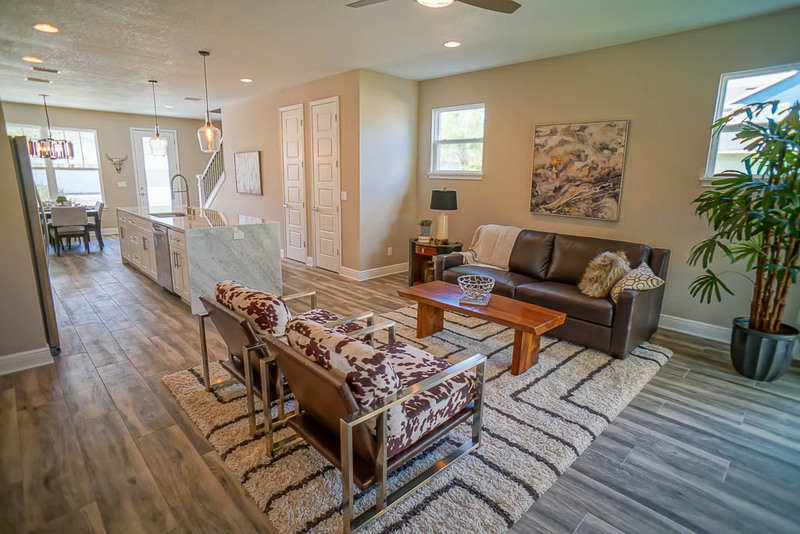 Located in the Boone and Blanker School district, this 2 story custom home was professionally designed to fall in love with the moment you walk in. 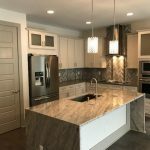 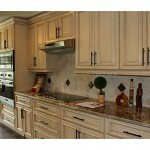 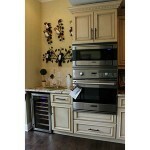 From the massive island to the marble backsplash no detail was overlooked. 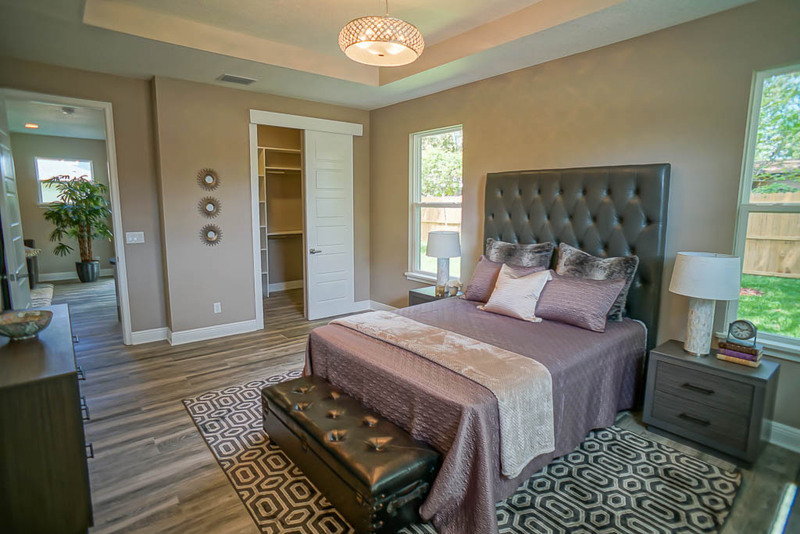 The master suite is located downstairs and the other 3 bedrooms are upstairs as well as a full bath with double sinks and a separate shower/ water closet. 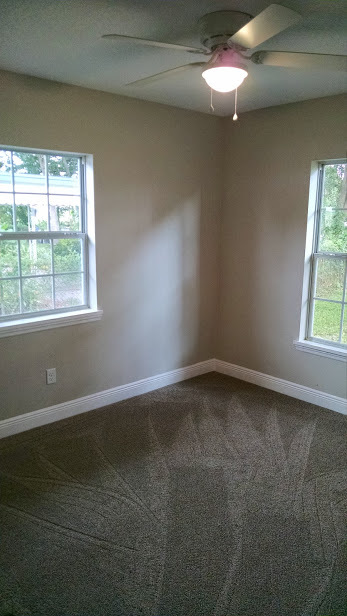 Here is our Thunder trail flip that we did the summer of 2015. 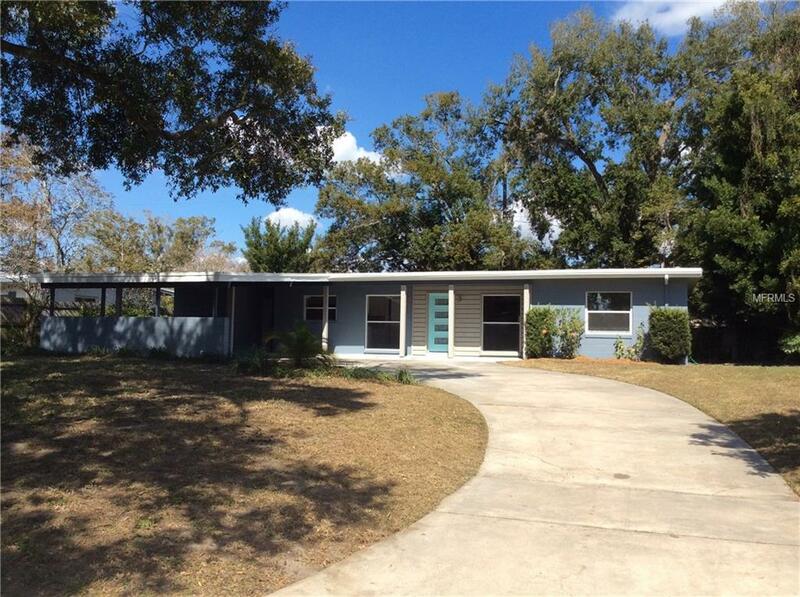 We did a major face lift on the front of this ugly mid-century modern home. 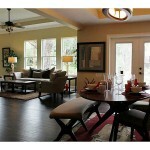 We used the existing lines and feel of the original plan on the interior. 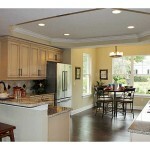 The main changes on the inside was the drop ceilings everywhere that is common with a flat roof. 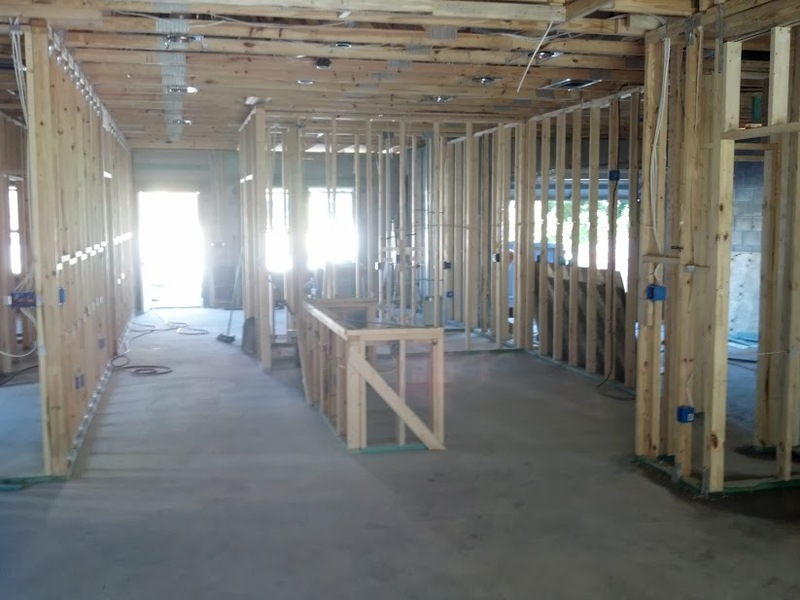 We removed all the boxes used for the AC duct work in the living areas and ran them on the inside wall of the bedrooms to help conceal them. We also built a drop ceiling for the AC ducts over the kitchen bar top. 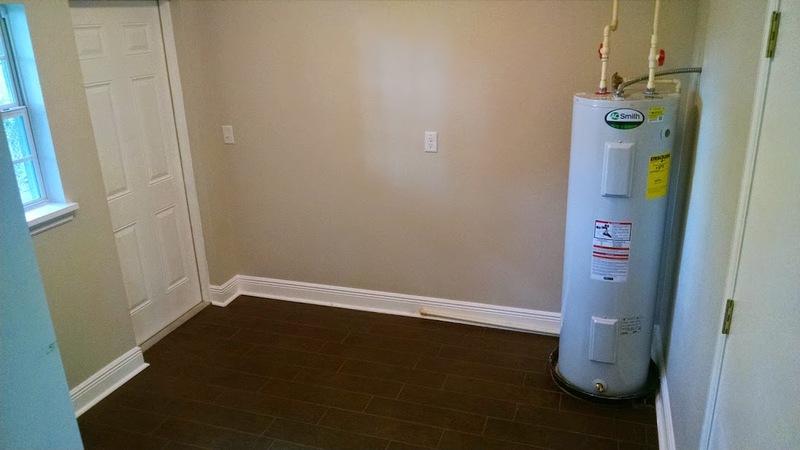 This helped get air to the kitchen, living and dining. 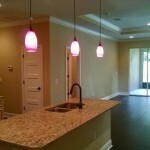 We hung lights from the drop ceiling and made it the same size as bar top in the kitchen. 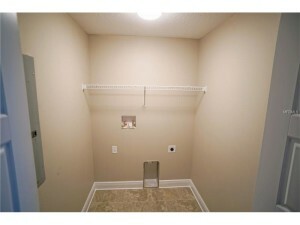 This created an illusion that the drop ceiling was meant to be there. 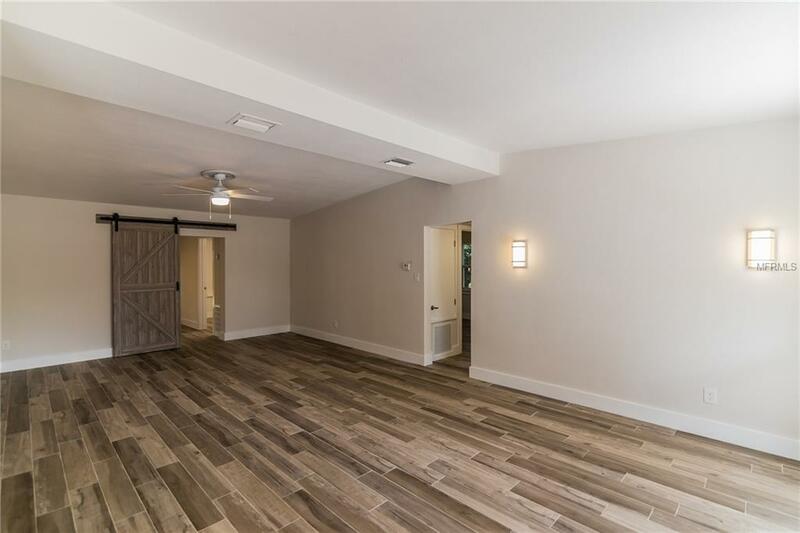 The front of the home we created a stained wood wall to match the wood grain garage door. 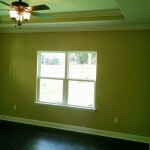 The rest of the home was cosmetic repairs. 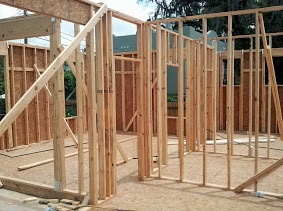 Here is another new construction project. 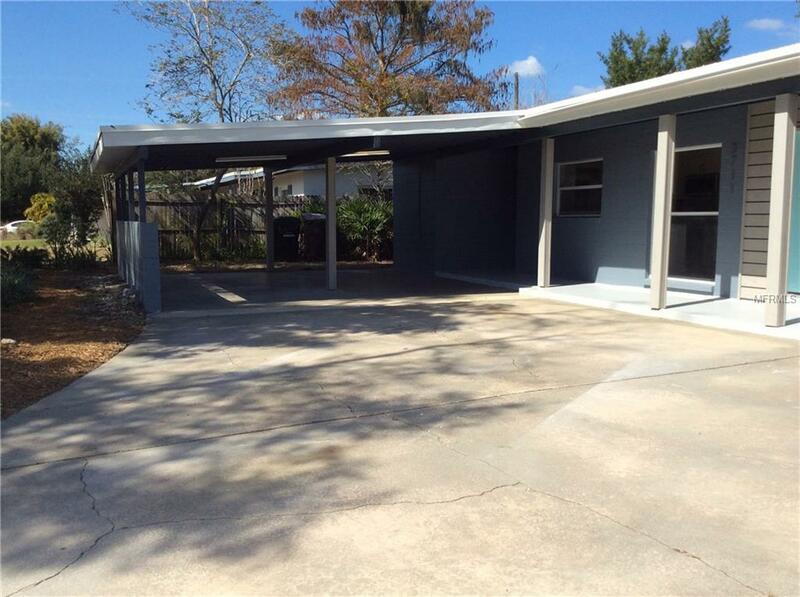 We purchased this property on 2/27/14 and sold on 8/11/14. 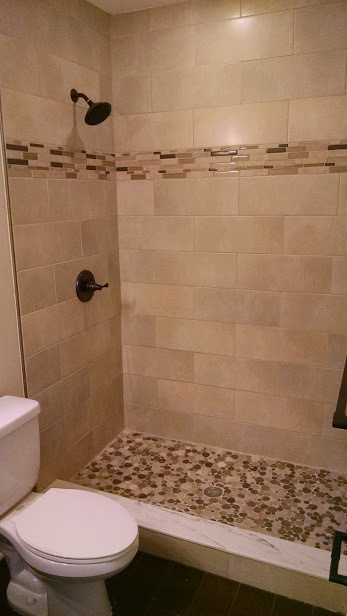 This project took 5 1/2 month’s to complete from start to finish. 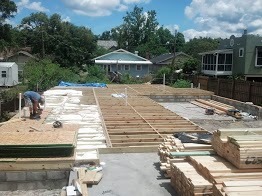 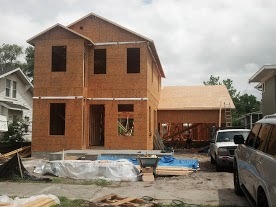 The total construction time after we demolished home and received our permit was just over a 100 days. 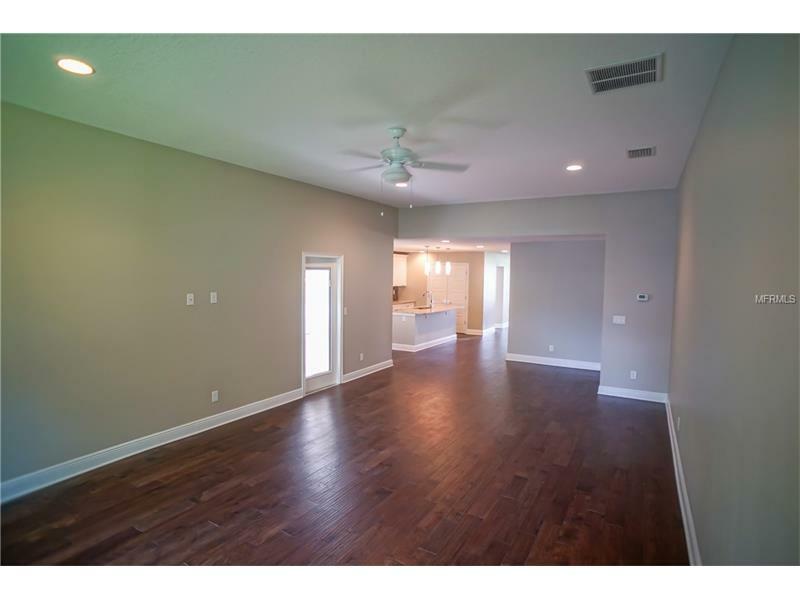 The single story block home is 2250sqft, 4 bedrooms, 3 bathrooms and has deep 1 car garage. 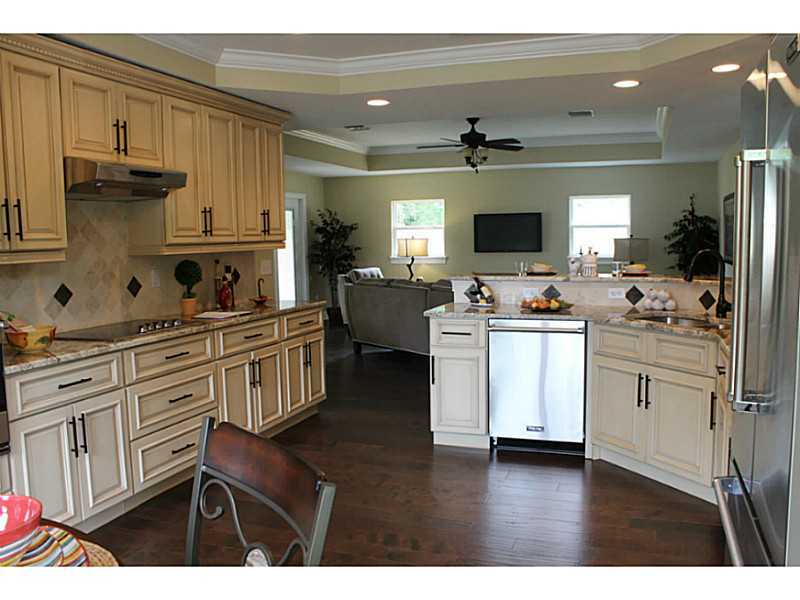 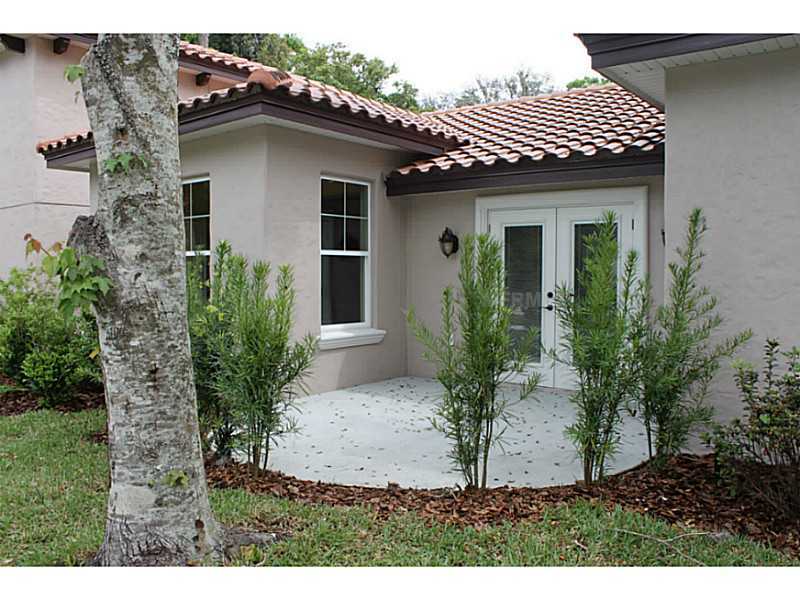 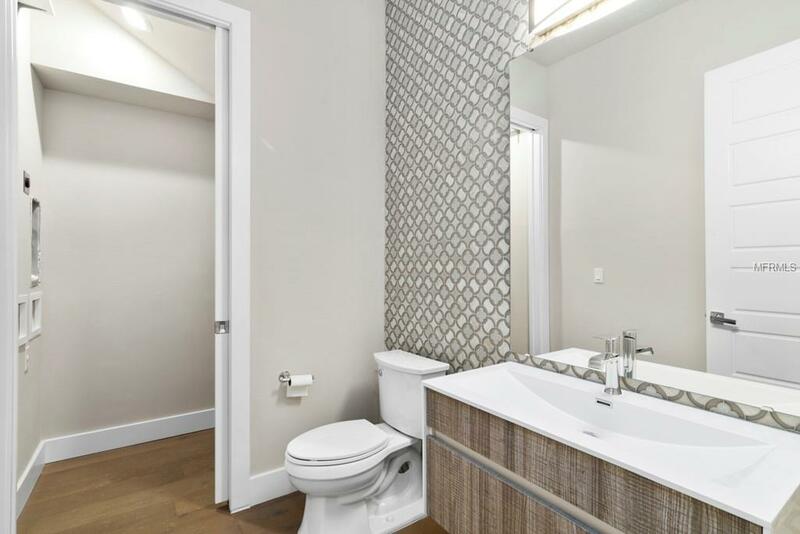 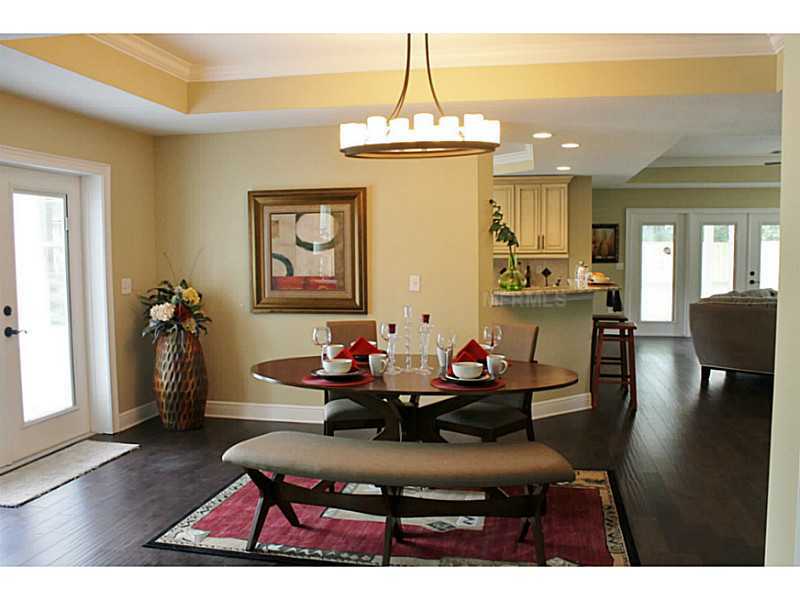 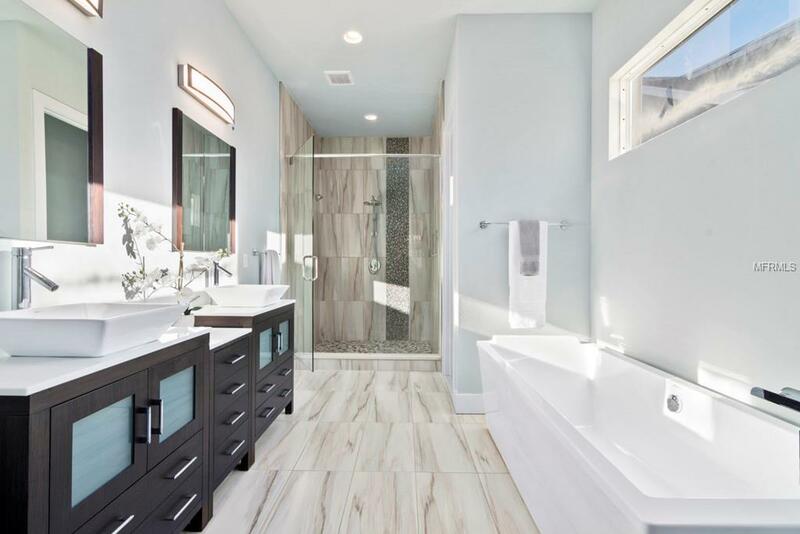 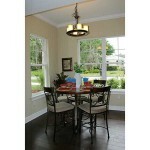 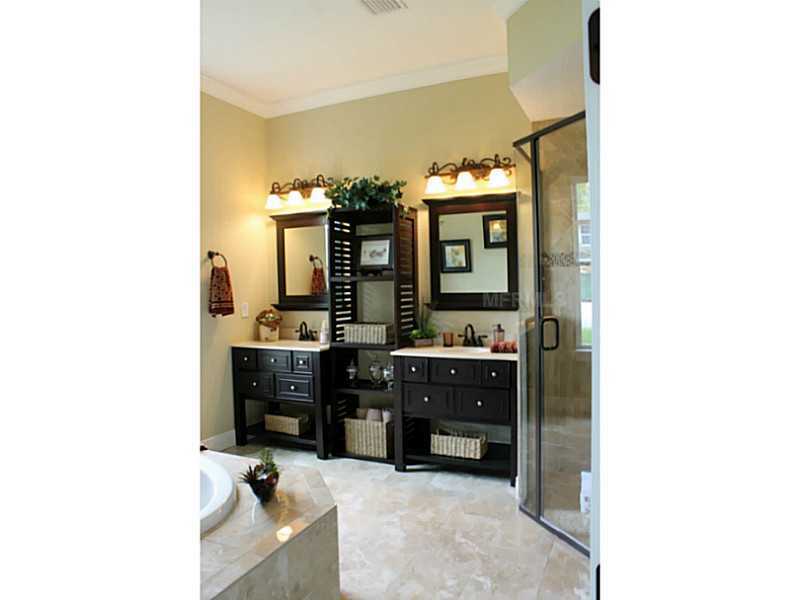 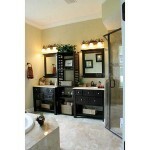 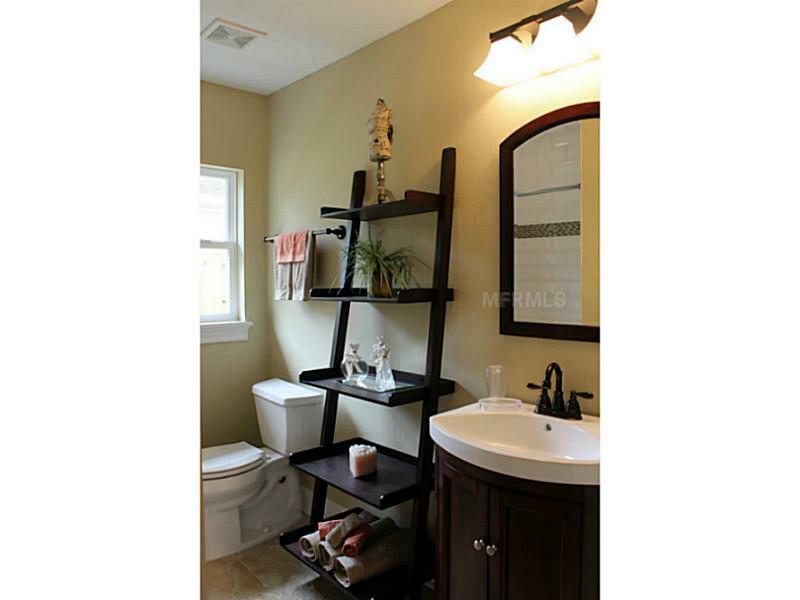 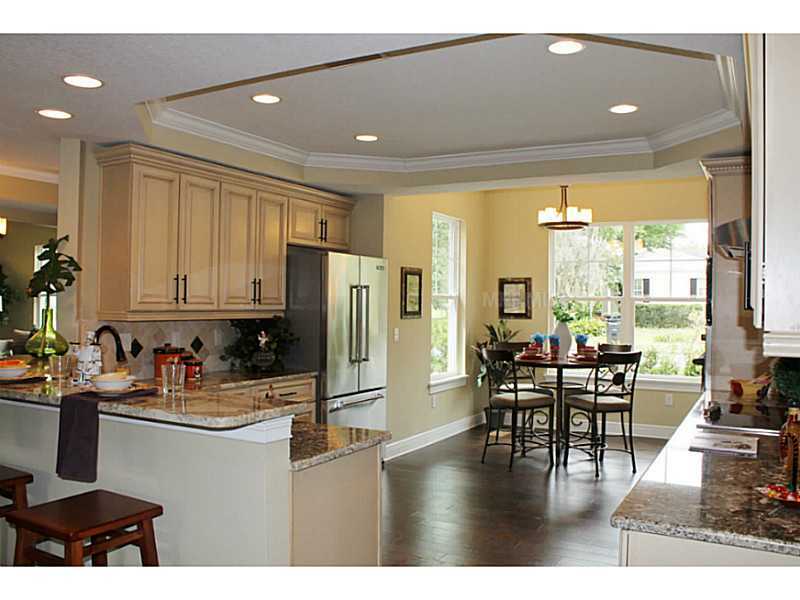 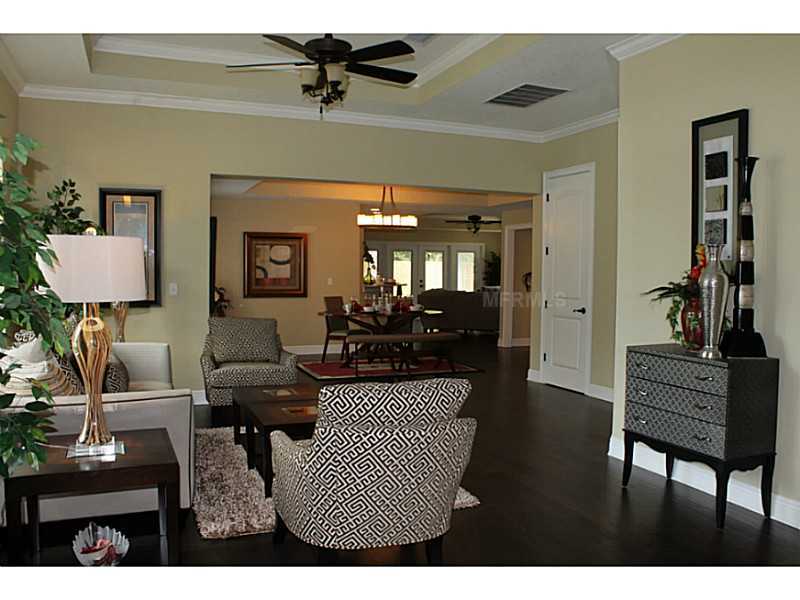 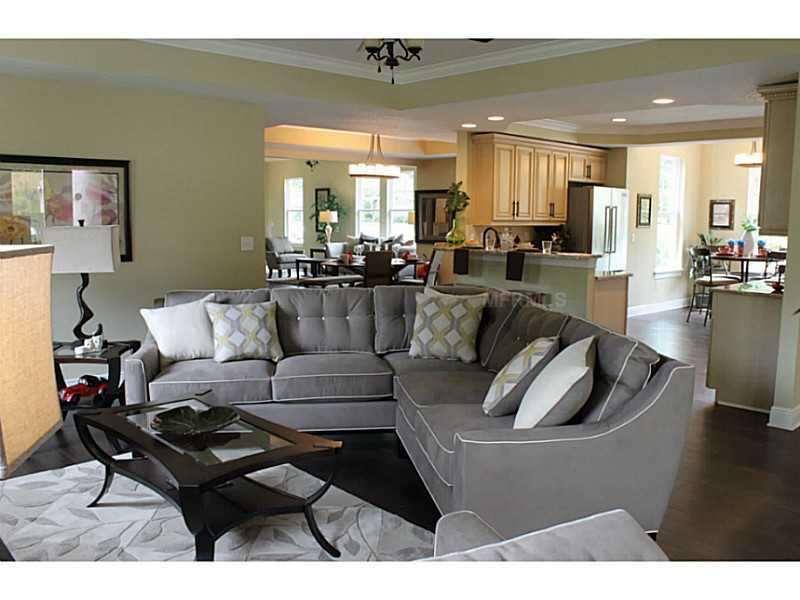 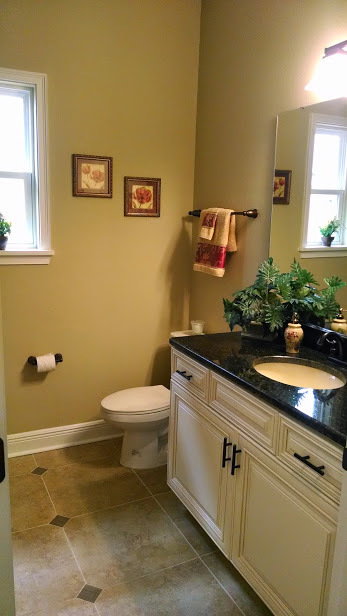 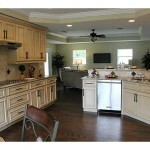 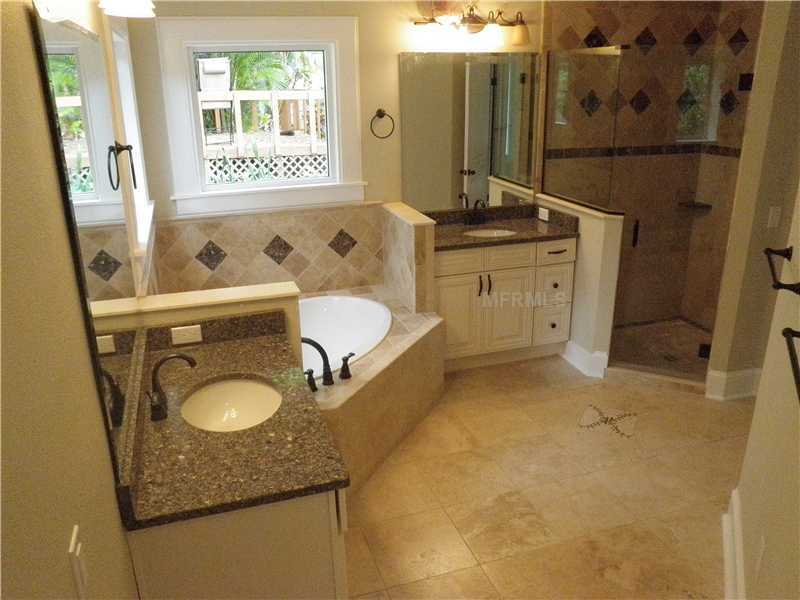 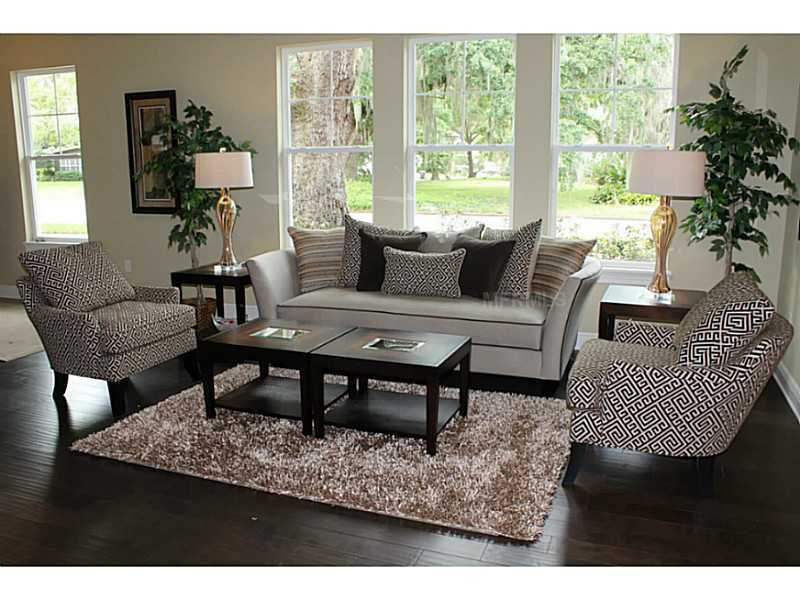 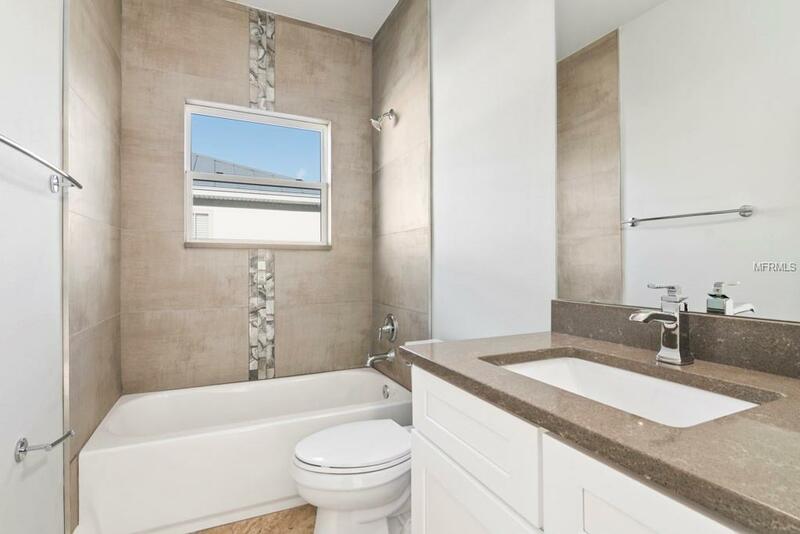 This home is the same model as the Pinecrest home with a few changes to the bathroom areas. 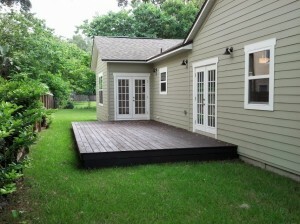 Here is one of our latest flips in Colonialtown. 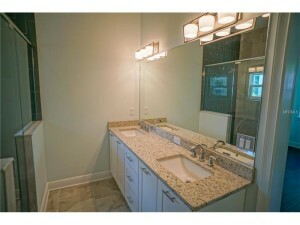 This was originally a 3 bedroom and 1 bathroom home with outdoor laundry area. 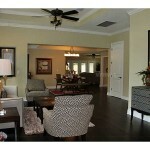 We changed the floor plan on this home making the living room and master larger. 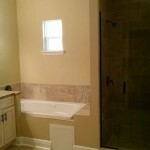 We also added a bath to the master and created indoor laundry area. In order to make indoor laundry we had to use part of the garage, so we built out the front of the garage. 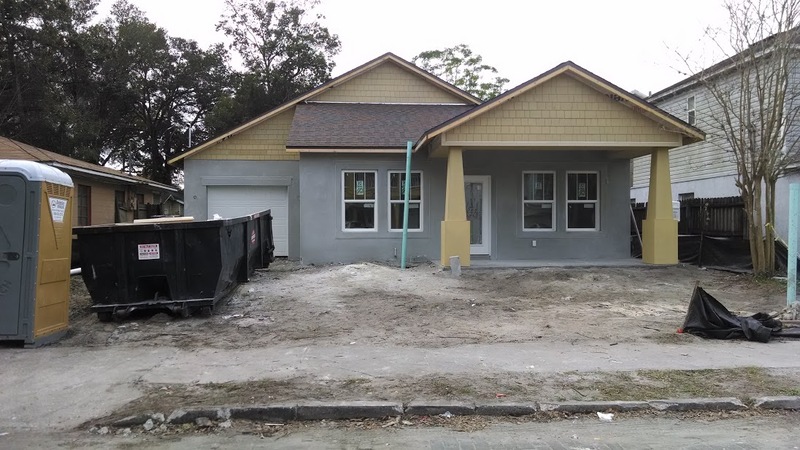 In the before and after you can see the changes to front. 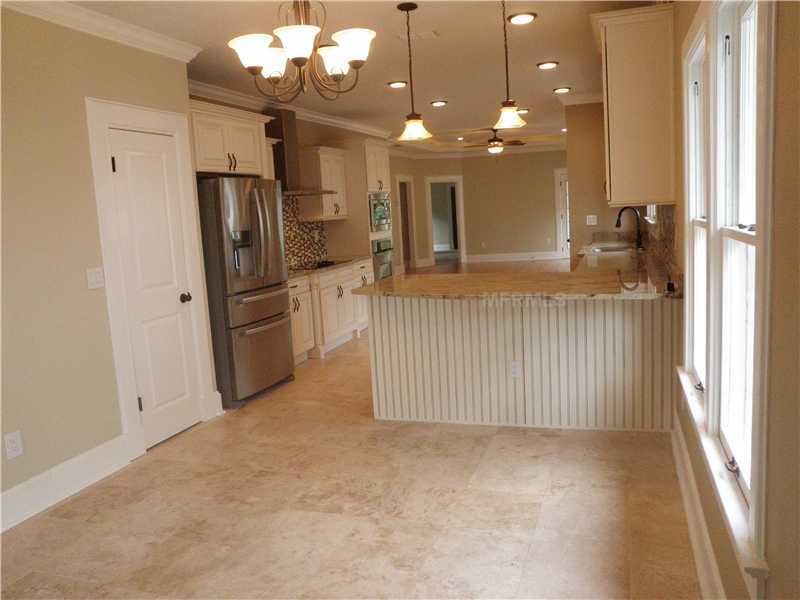 This 1333 sqft home recently sold for $257,000, that is $192 per sqft. 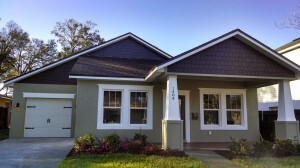 This property was on our wholesale list at 135k and we had an ARV of 225k. 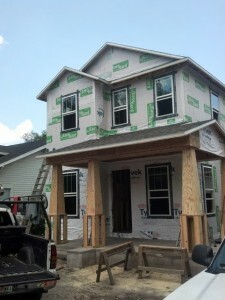 We were told by several investors that we would never get 225k. This property was on the market 22 days. 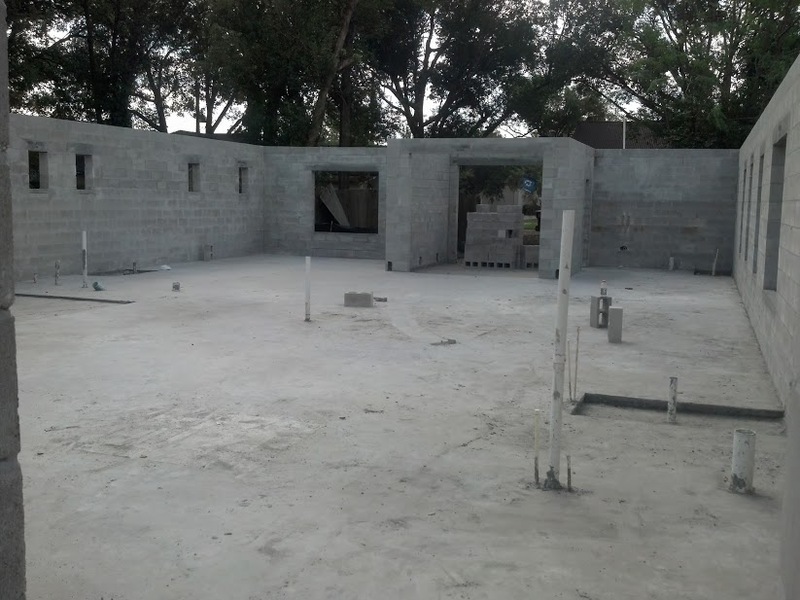 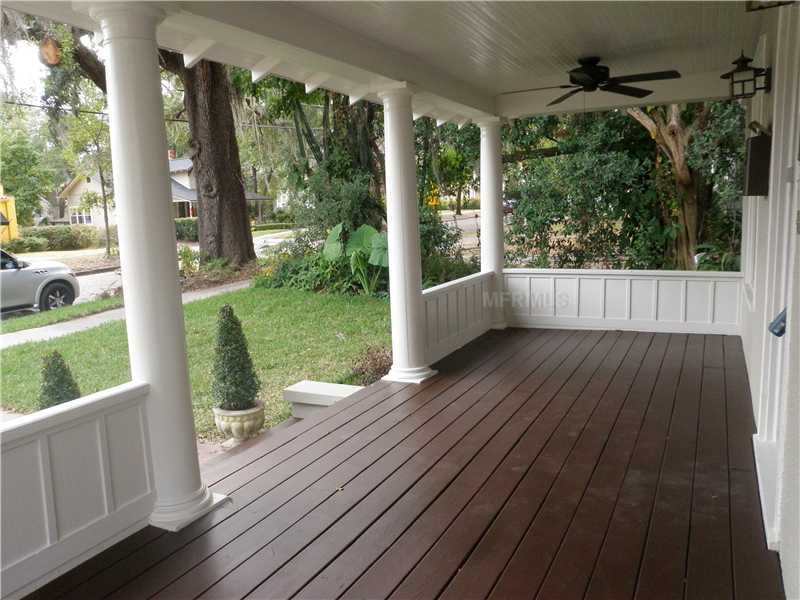 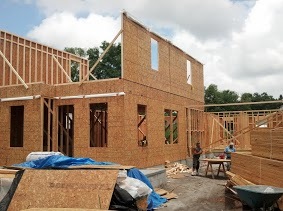 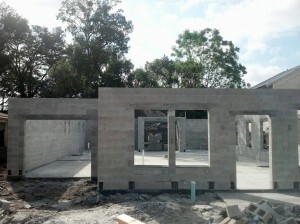 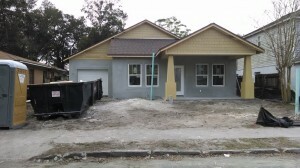 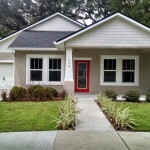 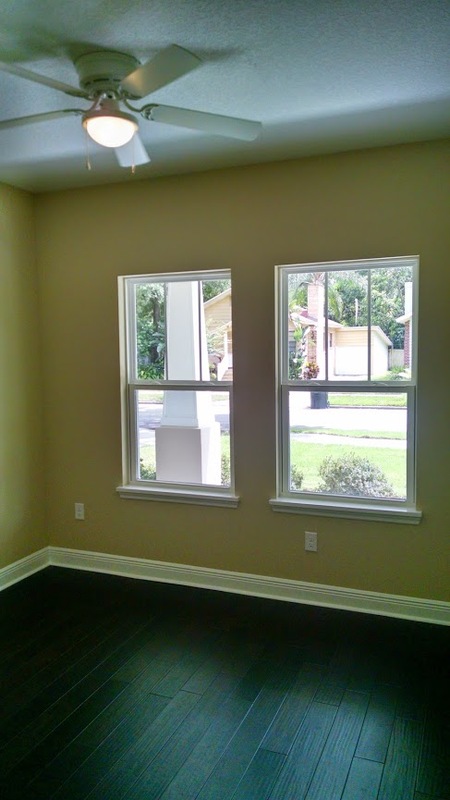 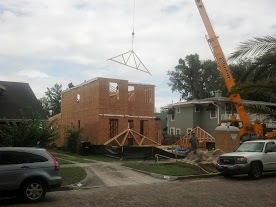 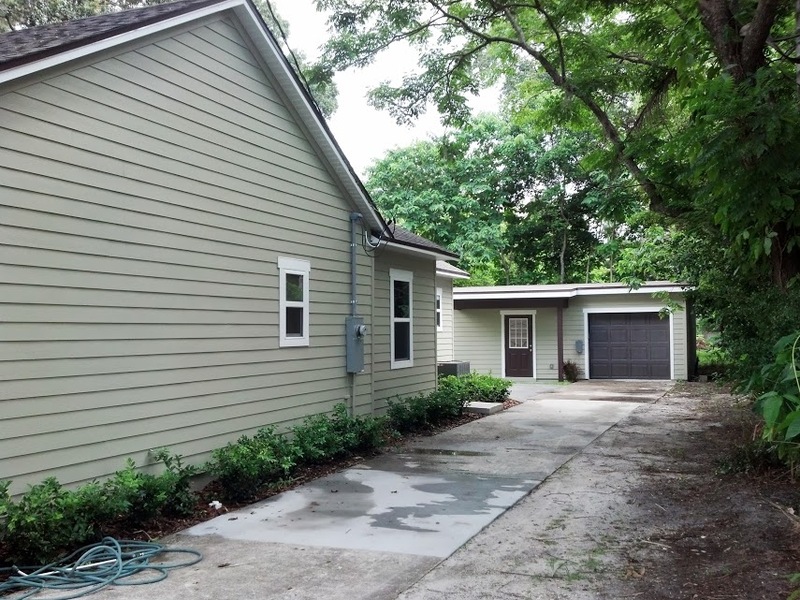 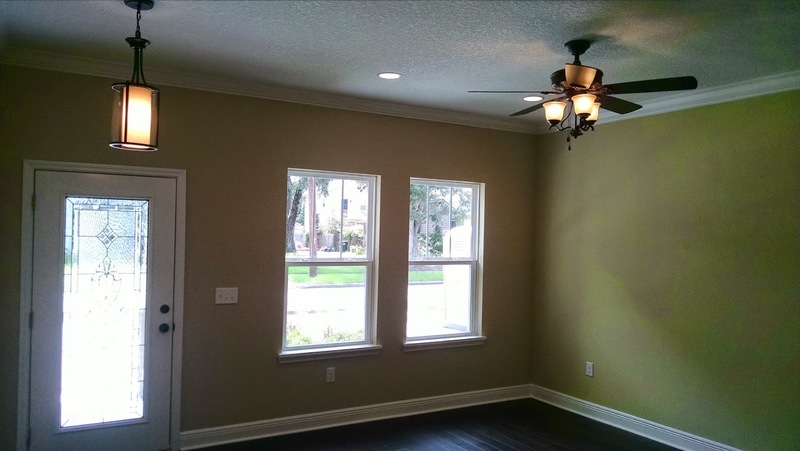 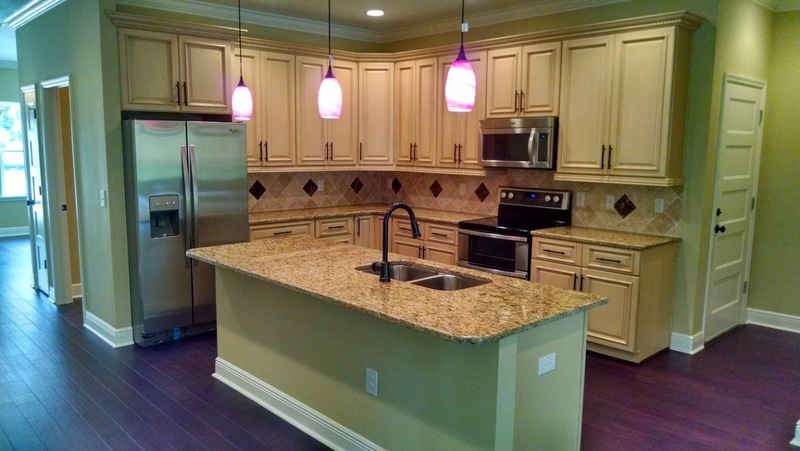 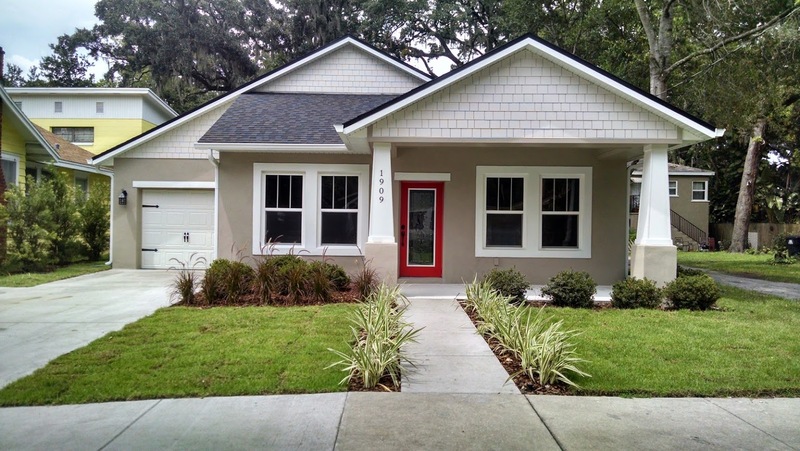 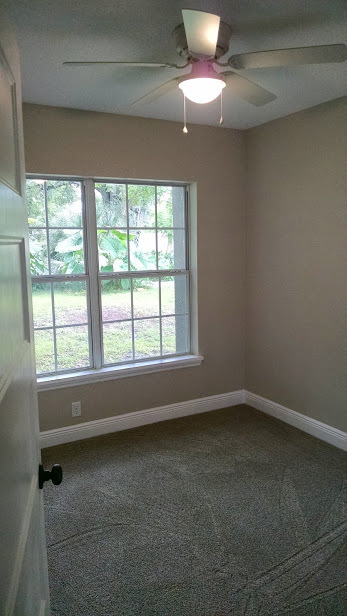 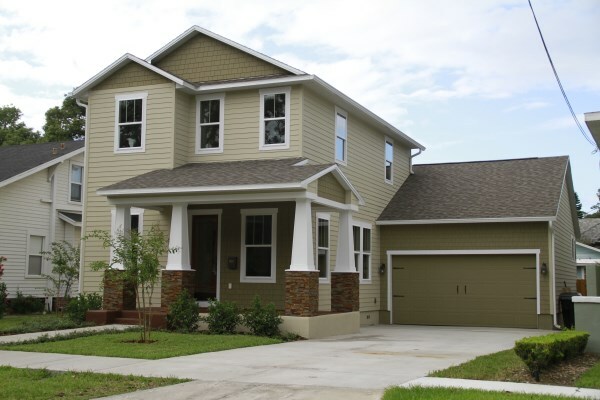 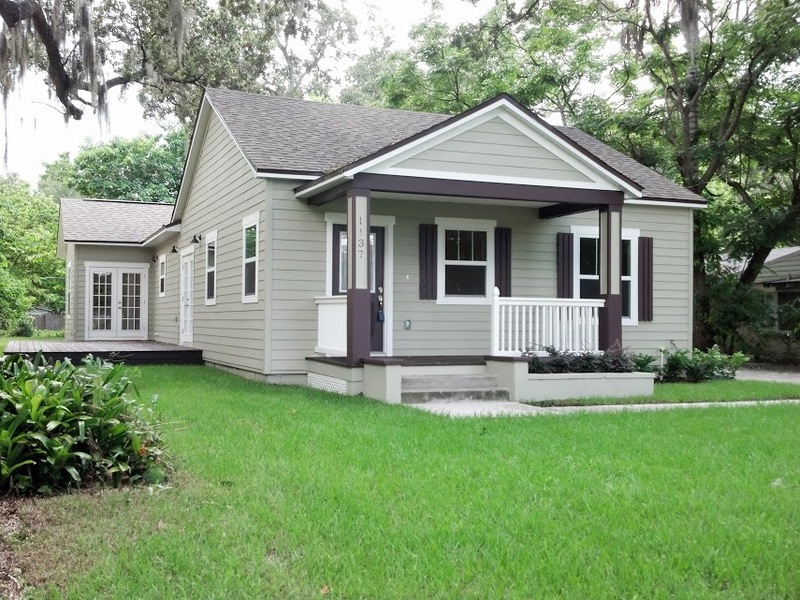 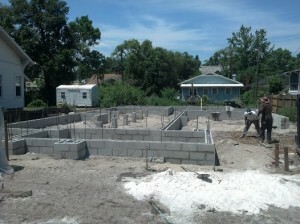 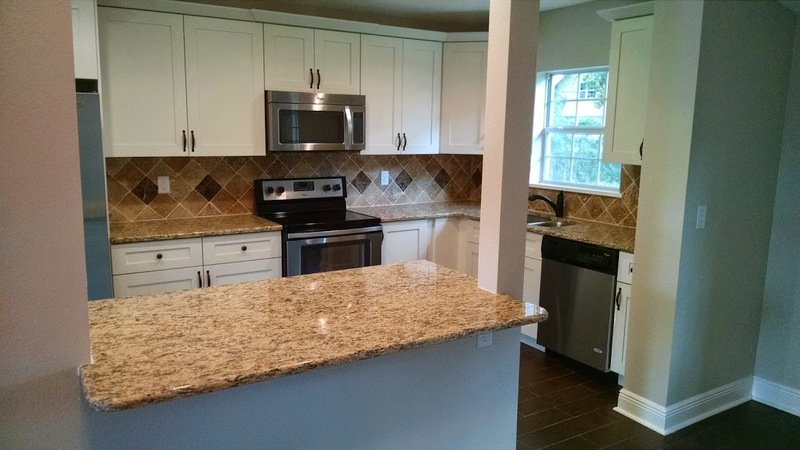 Here is our latest new construction project located in the Colonial town area of Orlando. 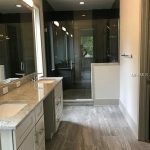 This home took under 120 days from start to finish. 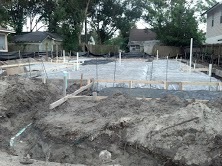 We were able to keep the old driveway and their was an old block building in the back with a caved in roof. 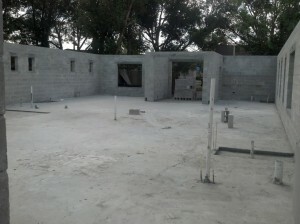 We used part of that building to build guest house and garage. 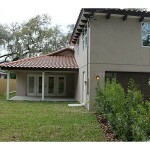 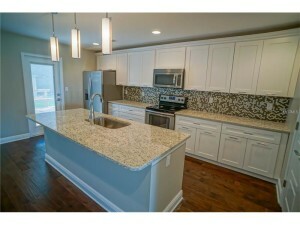 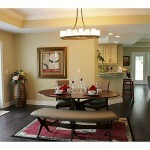 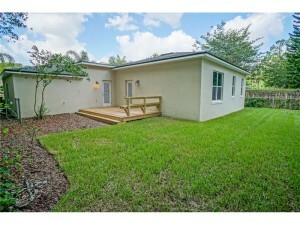 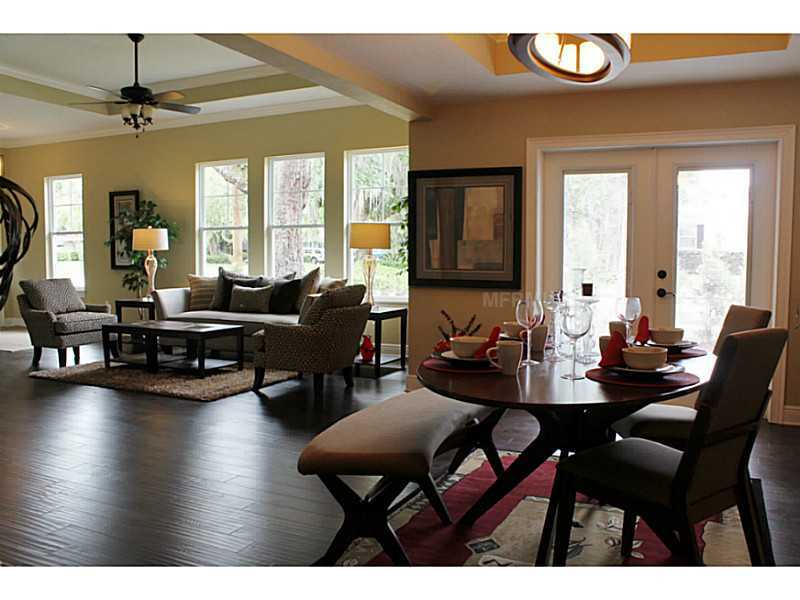 The main home was rebuilt from it’s original 1100 sqft to a brand new 1530 sqft home. 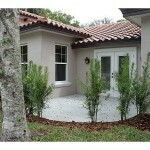 The main house has 3 bedrooms and 2 full bathrooms. 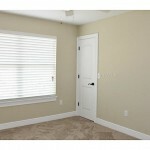 The guest house has 1 bedroom, 1 bathroom and 560 sqft. This property is currently listed at $349,900. 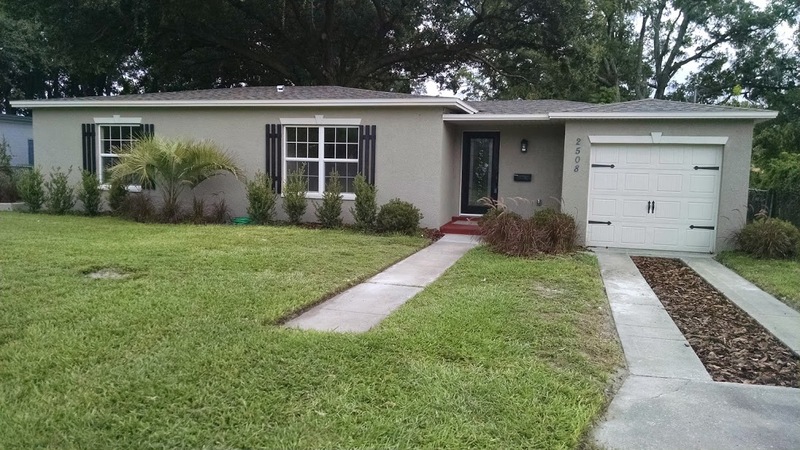 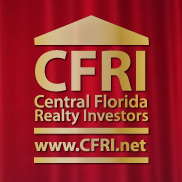 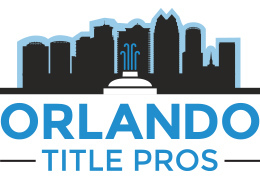 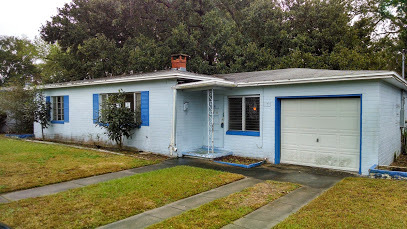 Here is an update on one of our latest investment properties that we are flipping down town Orlando. 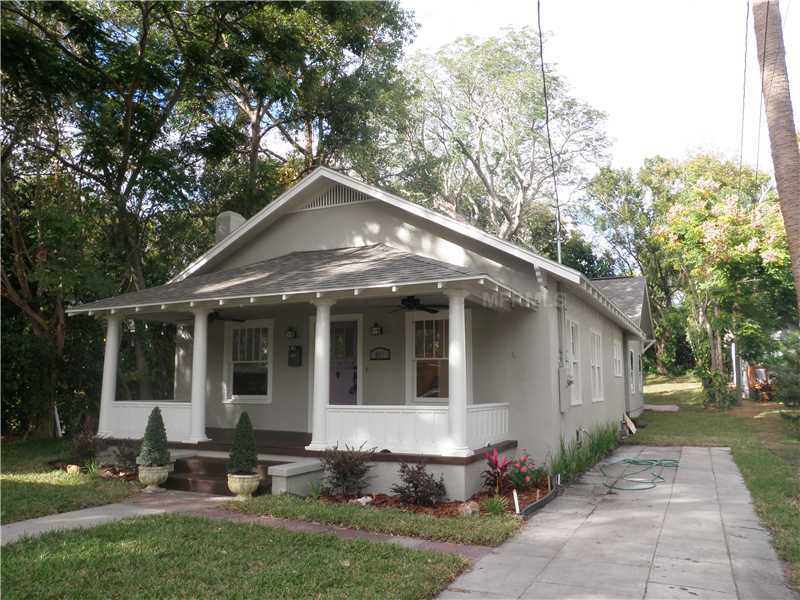 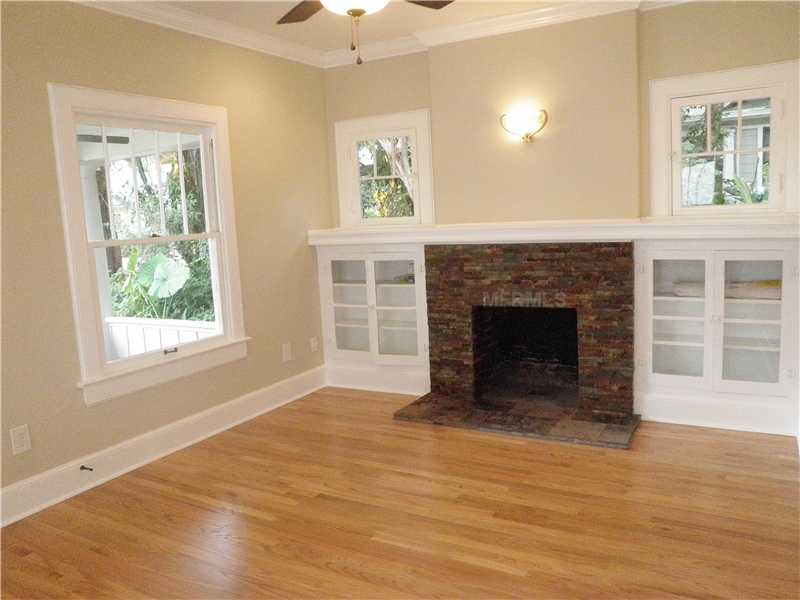 This home is located in the historic district so it has been a slow process of getting things approved and inspected. 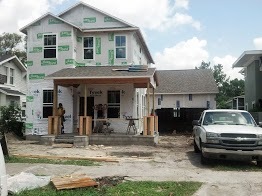 This home was 1100sqft when we bought it and we tore an old addition off the back. The new addition is over 1200sqft bringing the new square footage to over 2200sqft.